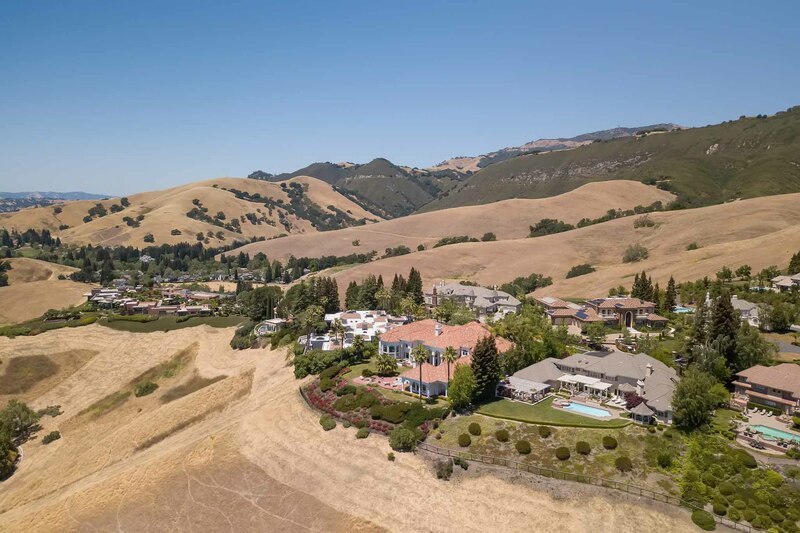 Exceptional hilltop estate within the gates at the exclusive Blackhawk Country Club sits on almost an acre of land boasting spectacular views from its beautifully designed interior to the resort-style backyard designed for year-round enjoyment. 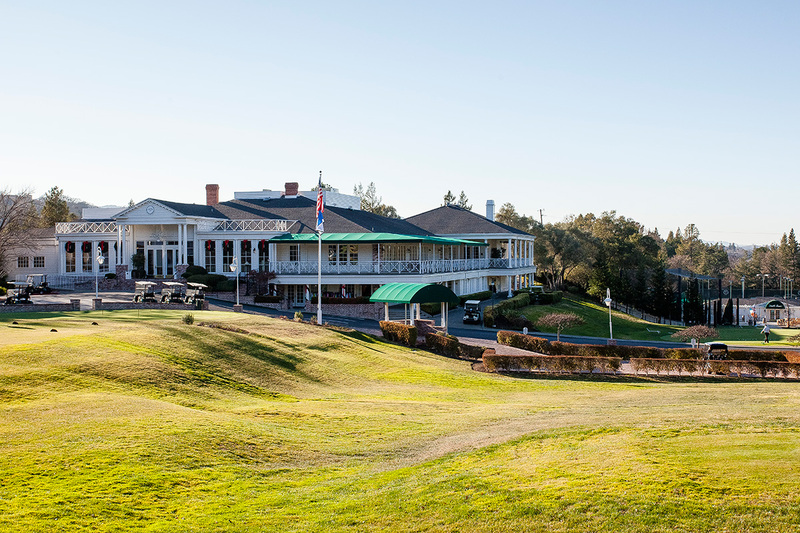 The Blackhawk Country Club sits at the foot of Mt. 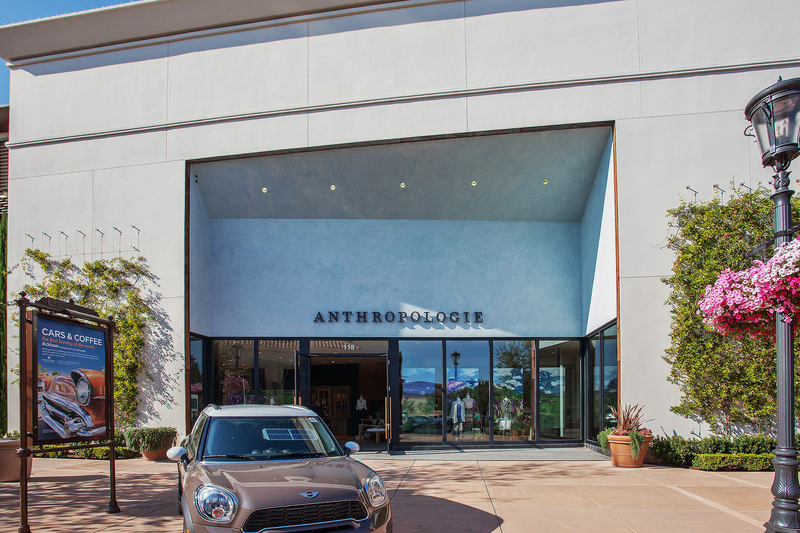 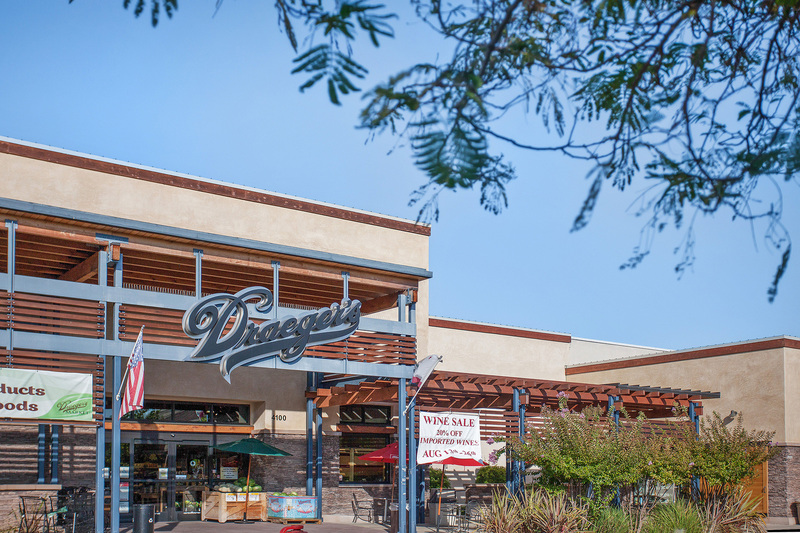 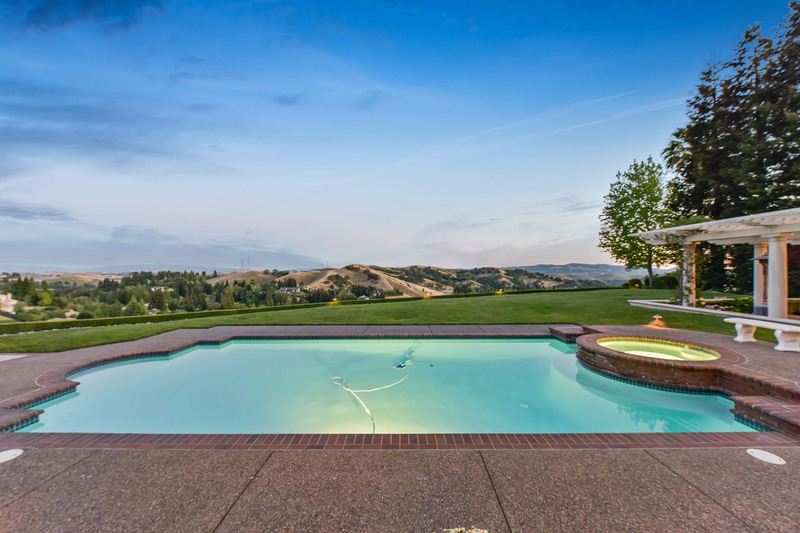 Diablo and is surrounded by acres of open space and views of the surrounding hillsides. 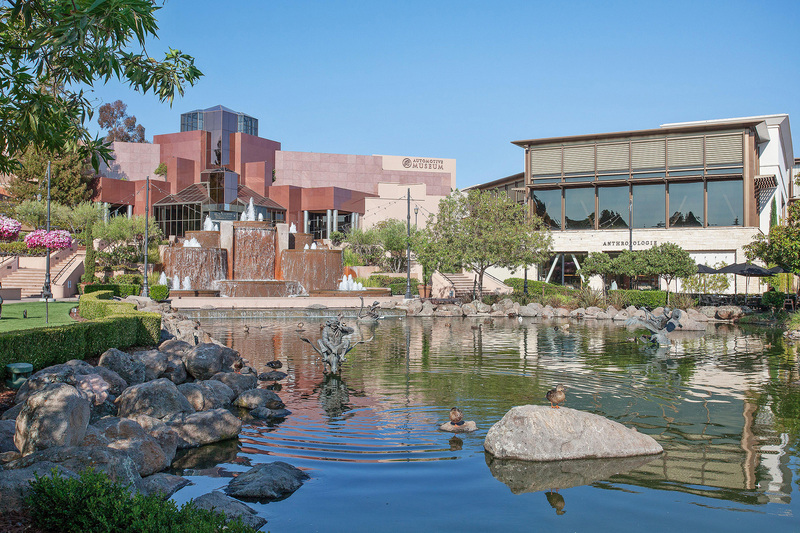 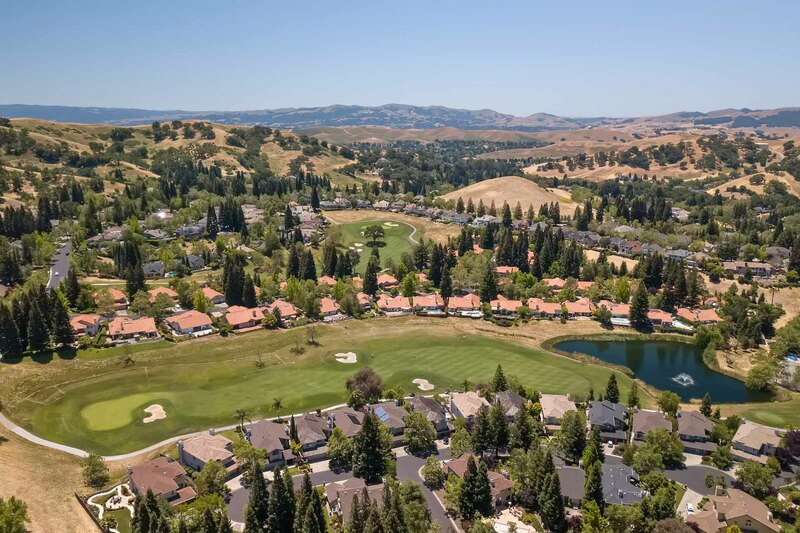 The Club features two 72-par championships golf courses, tennis courts, and clubhouses in addition to a newly expanded state-of-the-art fitness center slated to open this summer. 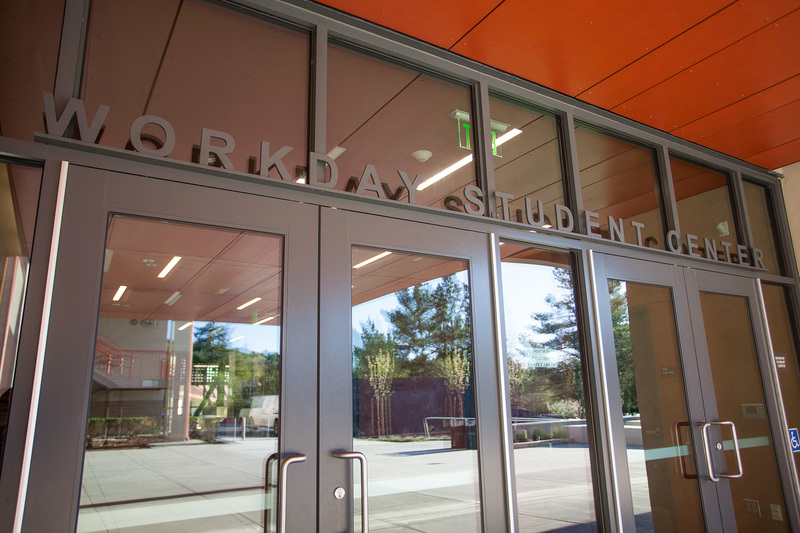 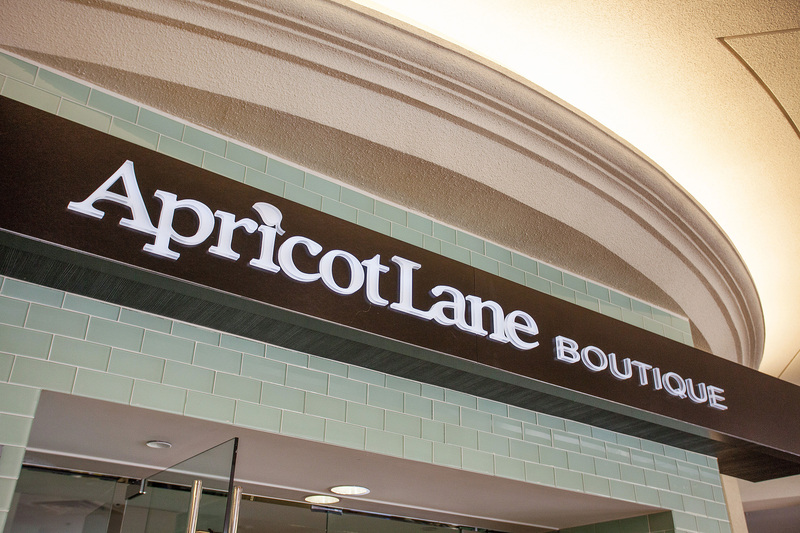 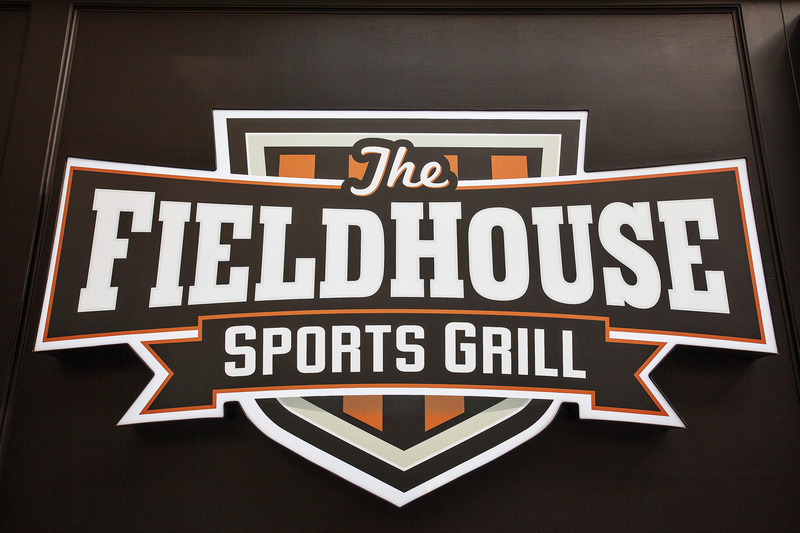 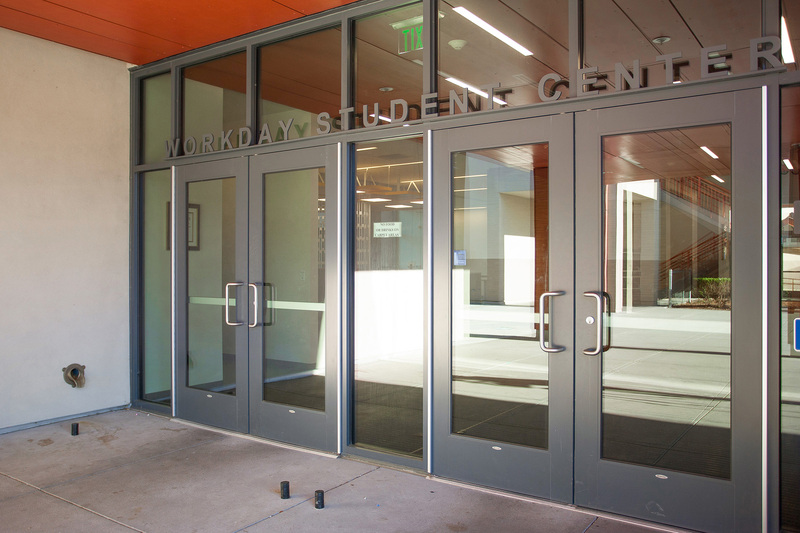 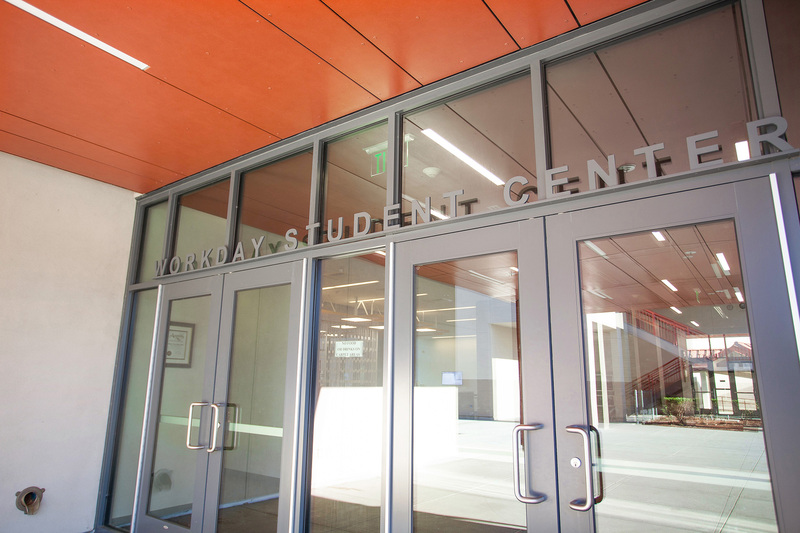 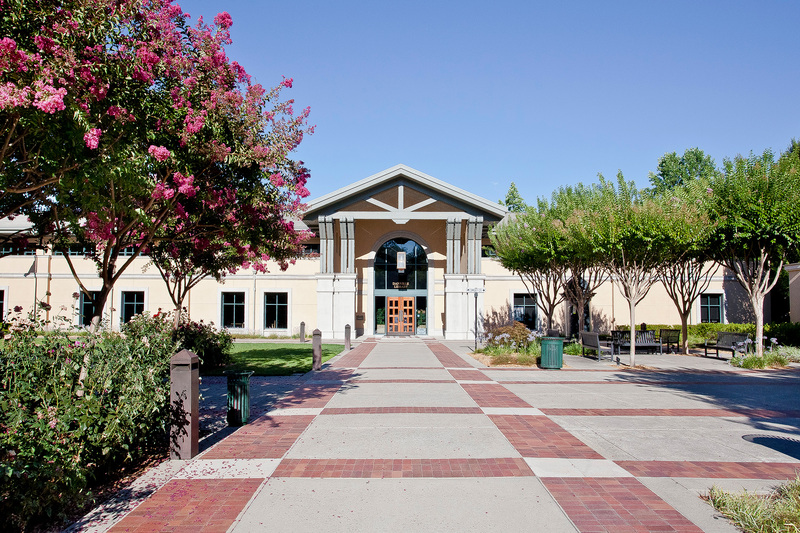 Located at the Sports Complex, near the pool, tennis, bocce and pickle ball courts, the new facility features more than 9,400 square feet with a 1,200-square-foot outdoor exercise patio, indoor classroom, men’s and women’s locker rooms, steam rooms, three wellness rooms, massage therapy, acupuncture, personal trainers, spin and yoga classes and kid care. 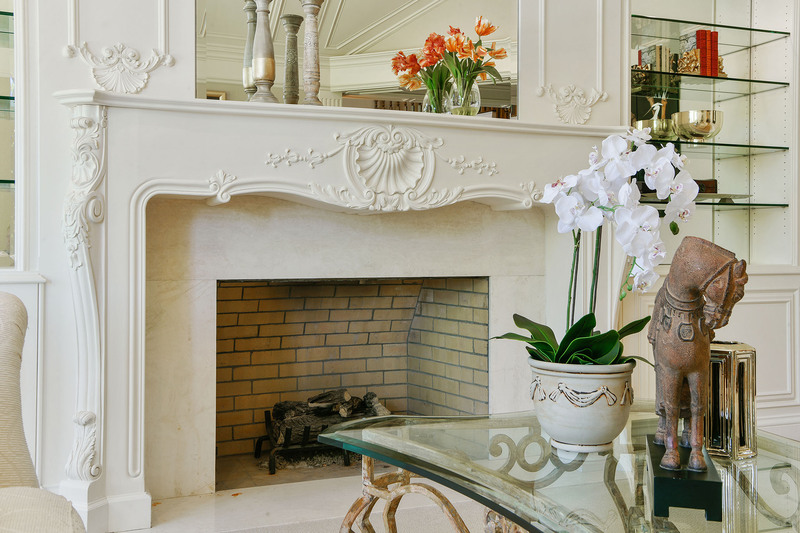 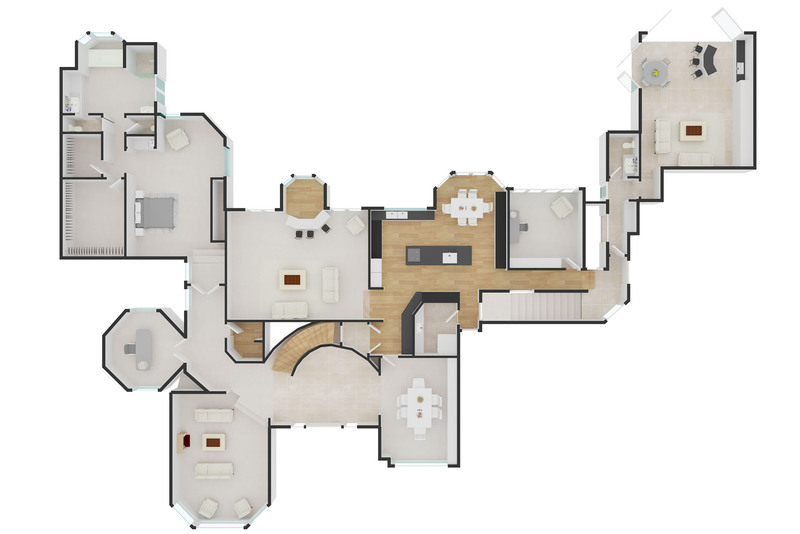 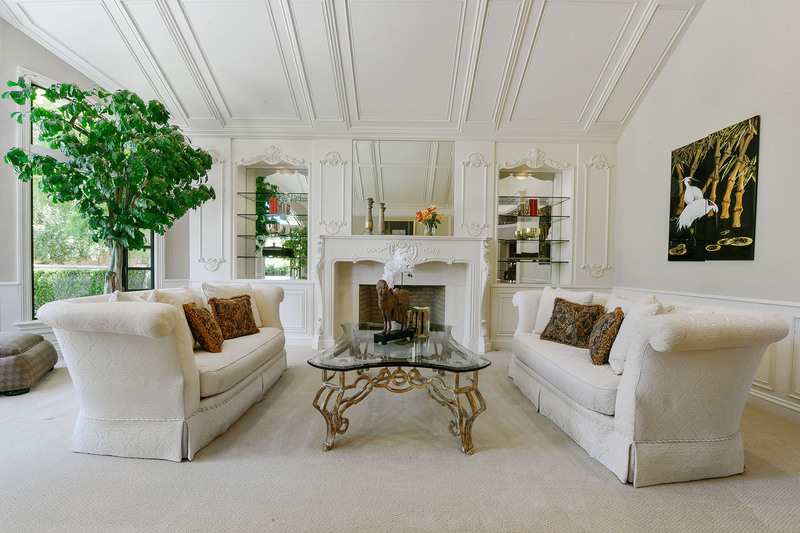 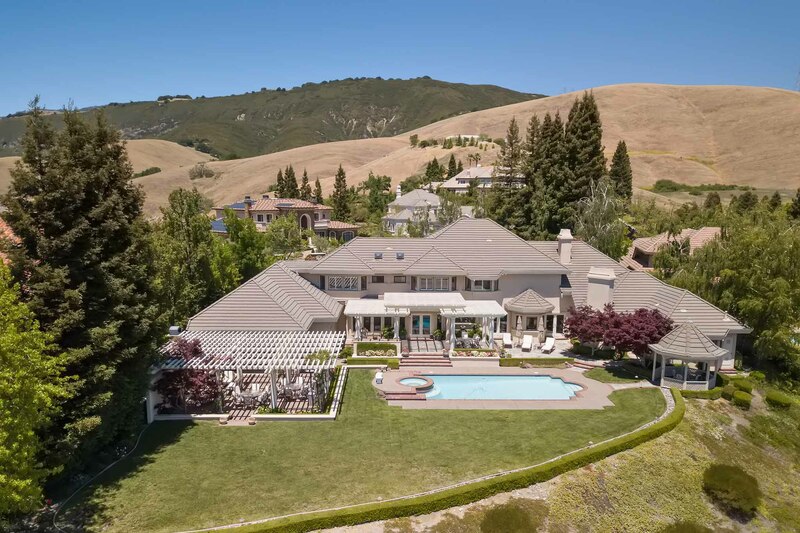 The more than 7,670 square feet of elegant and richly layered living space is most single level living with its main level luxurious master bedroom, formal rooms, library, game room, chef’s kitchen, custom wine cellar and expansive family room. 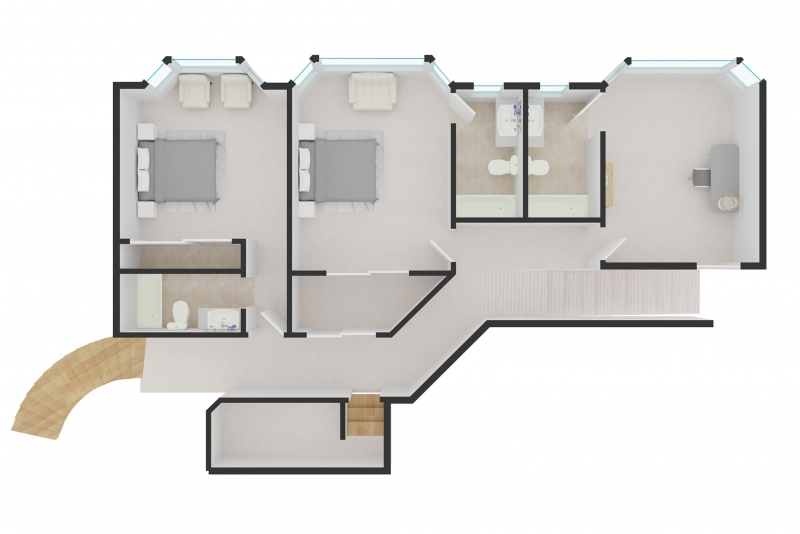 Three addition en suite bedrooms are located on the upper level. 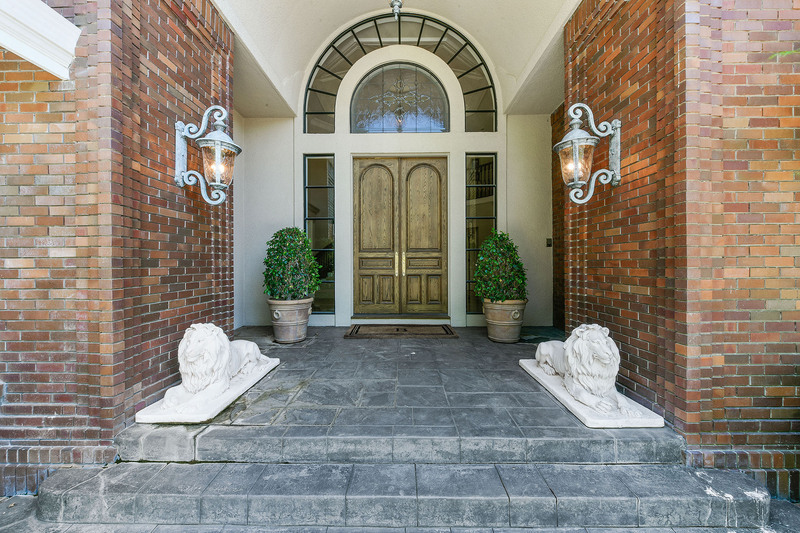 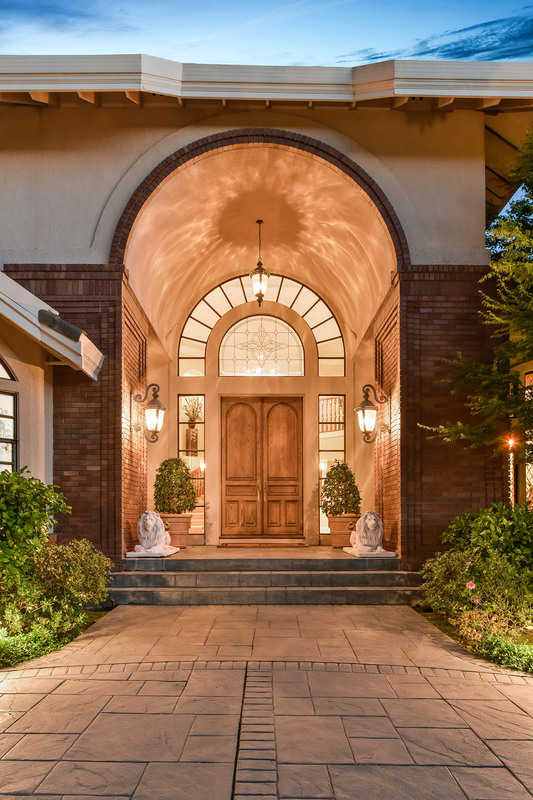 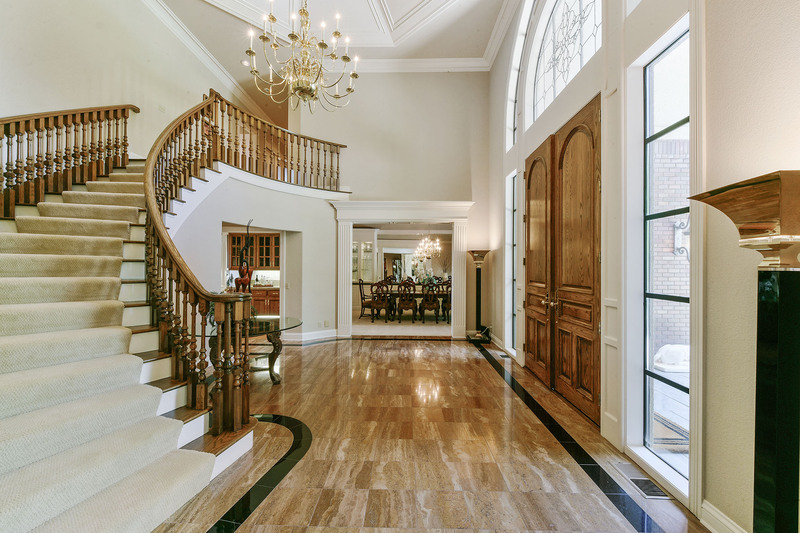 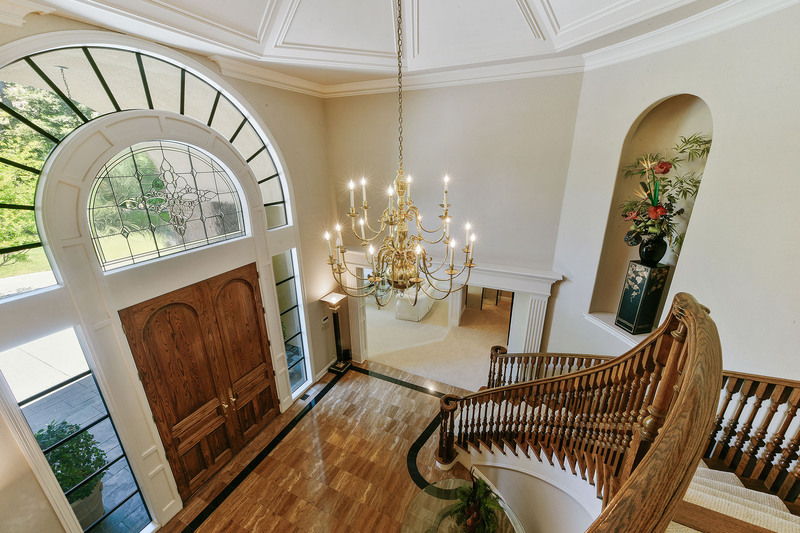 Behind the double door entry with leaded glass side panels and arch transom is a grand foyer featuring a dazzling chandelier suspended from the octagonal patterned coffered ceiling and a marble-tiled floor. 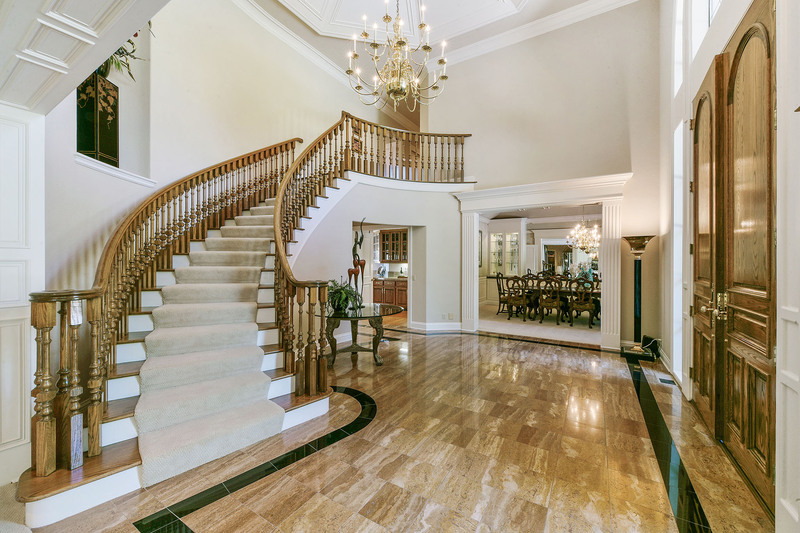 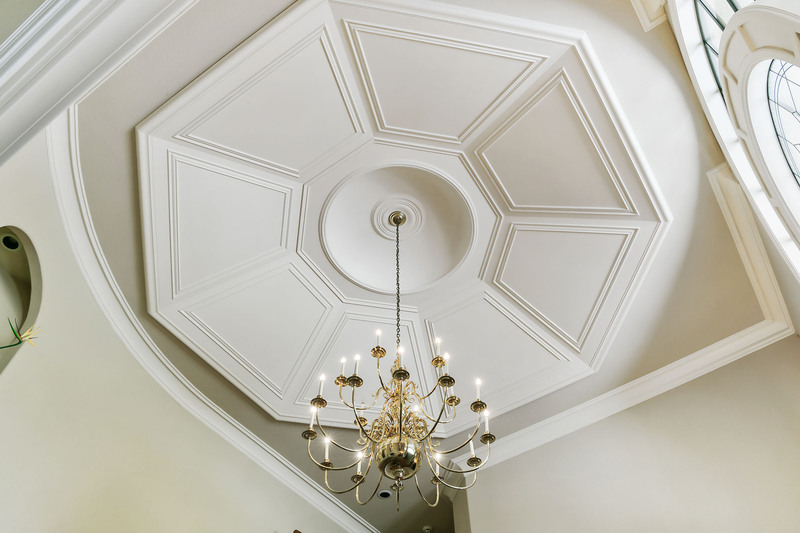 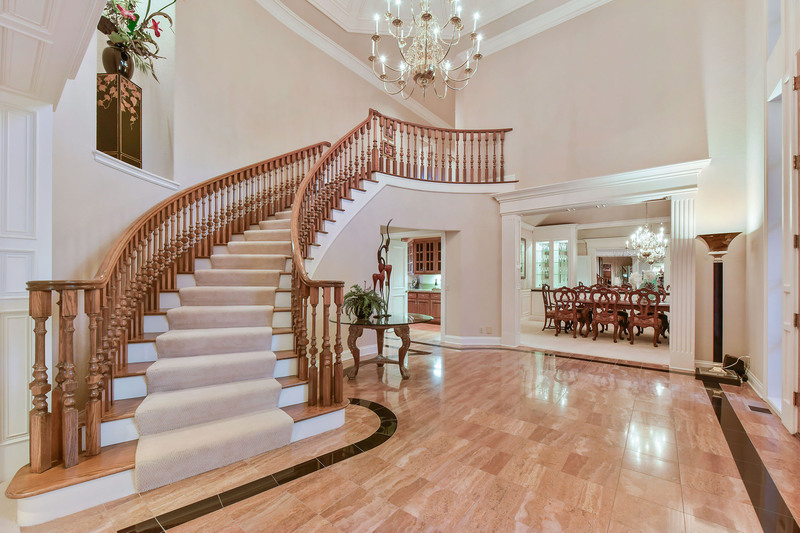 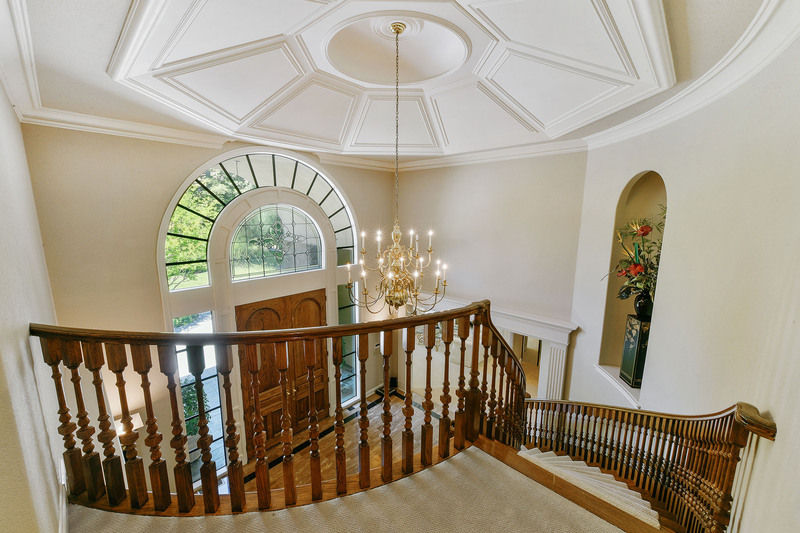 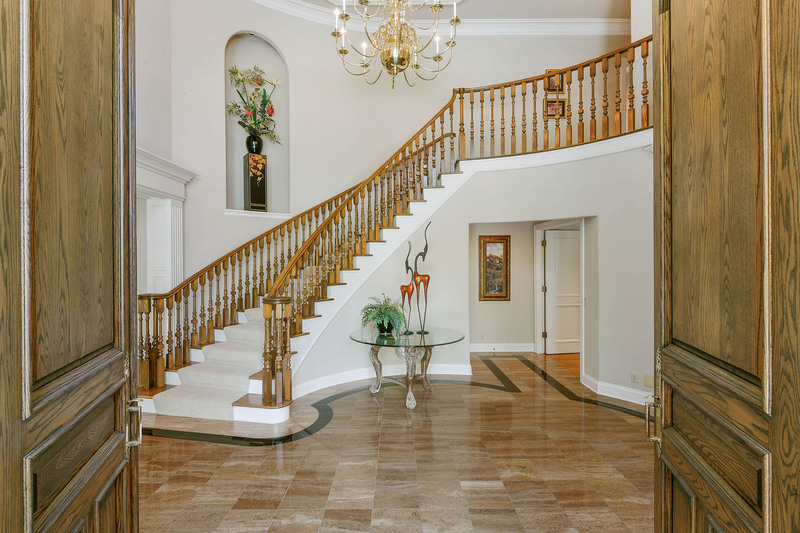 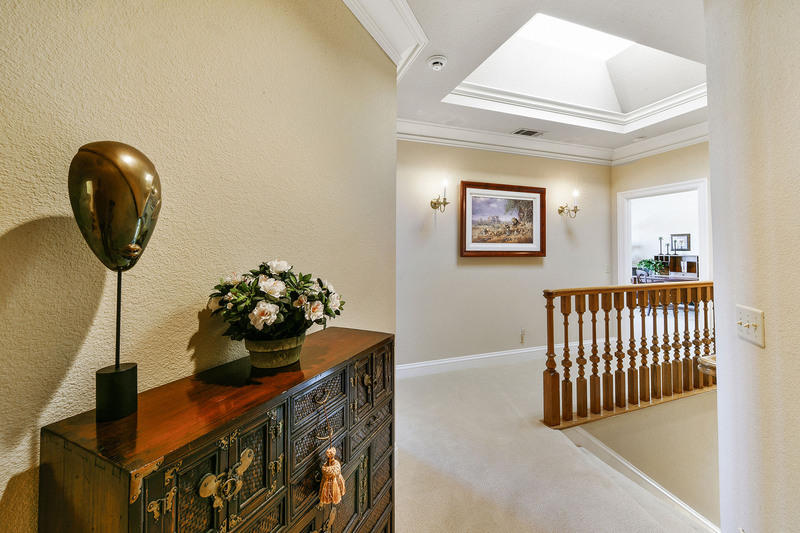 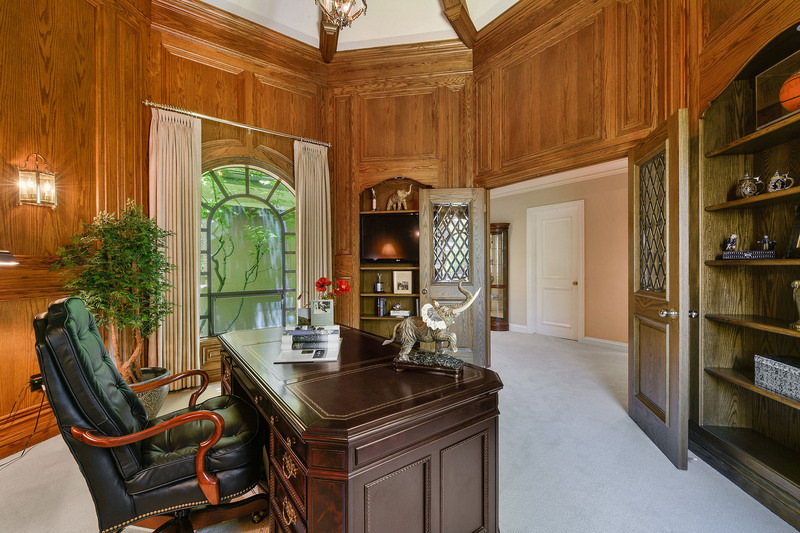 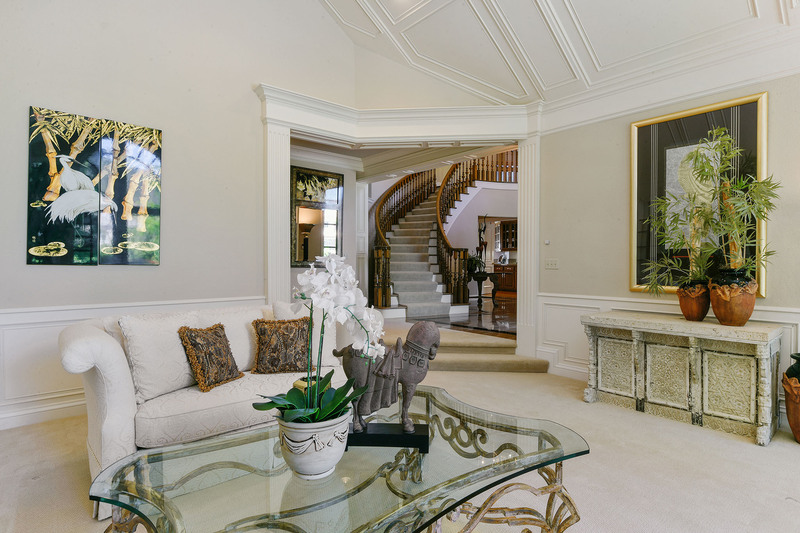 Step down into the formal living room that features decorative millwork and wainscot and a soaring vaulted ceiling. 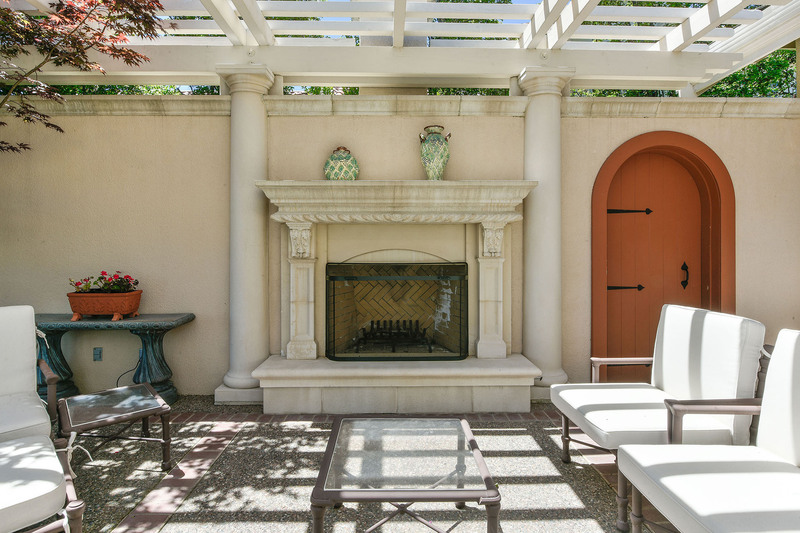 A masonry wood-burning fireplace is opposite a wall of palladium windows that frame a spectacular view of the Mt. 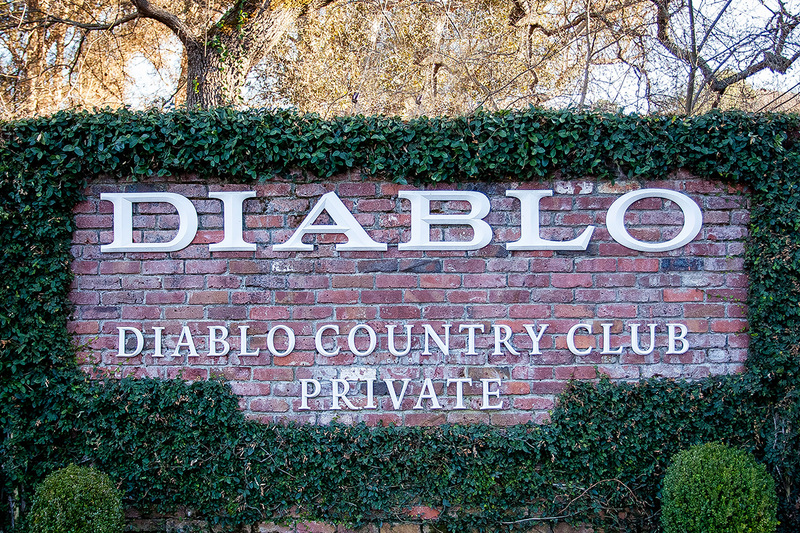 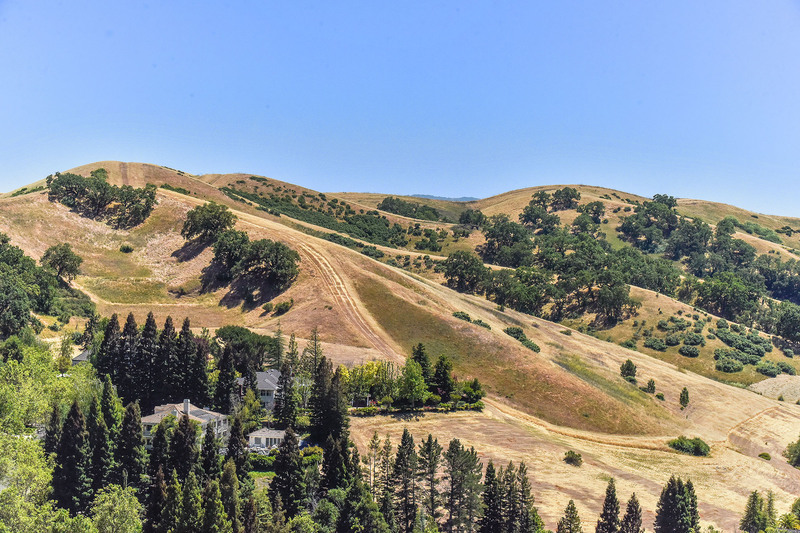 Diablo hills. 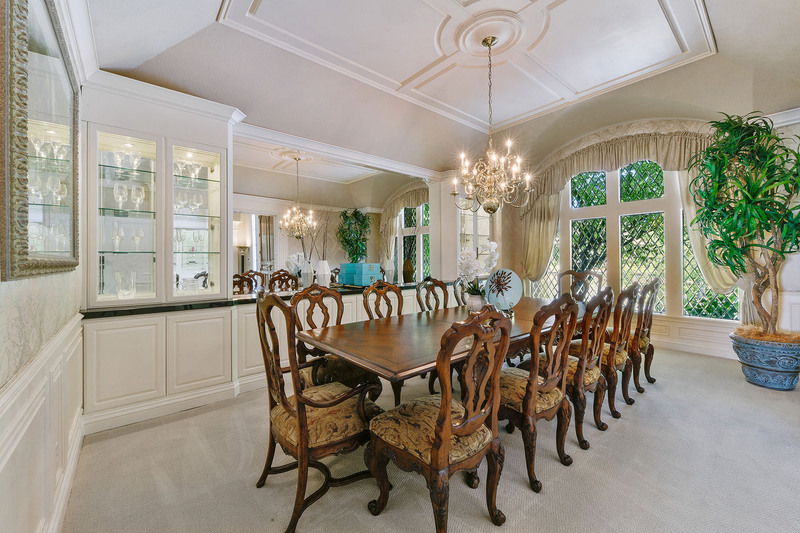 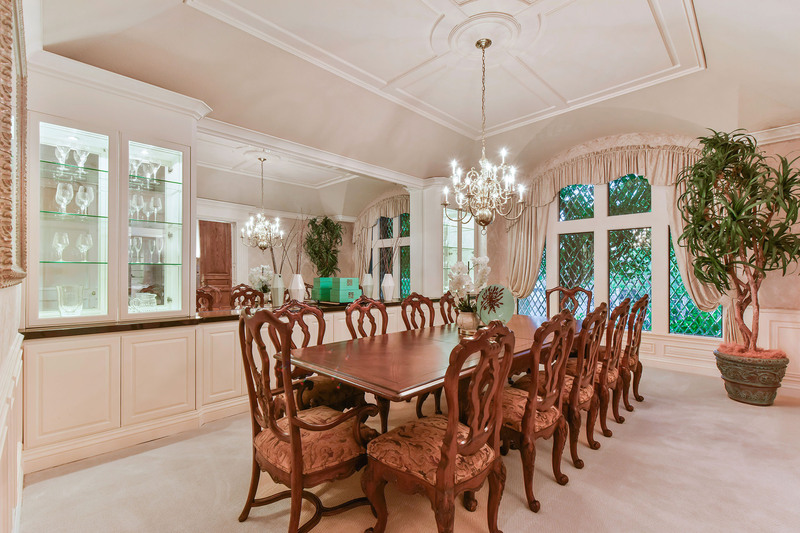 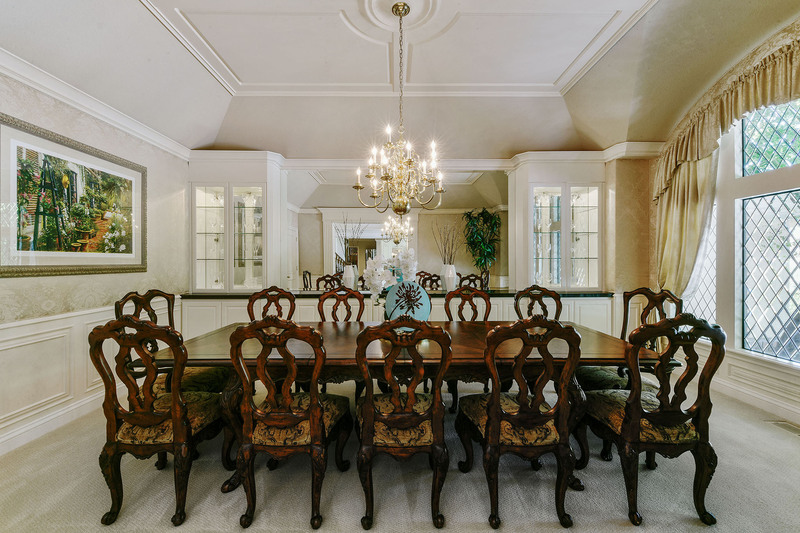 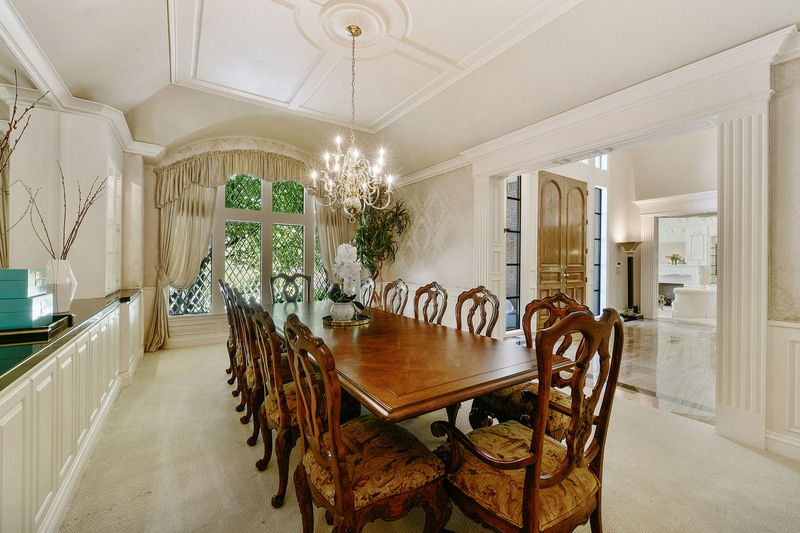 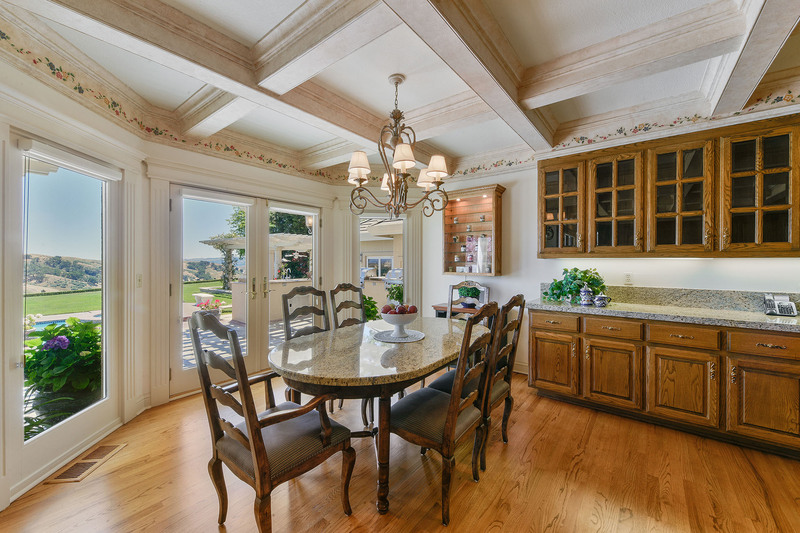 The opulent formal dining room is adorned with a tray ceilings, built-in cabinetry and buffet, padded wall coverings, and wainscot. 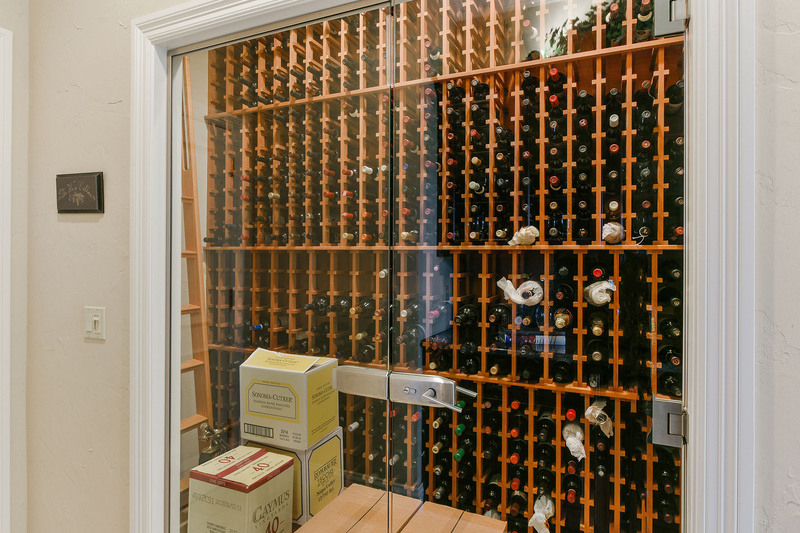 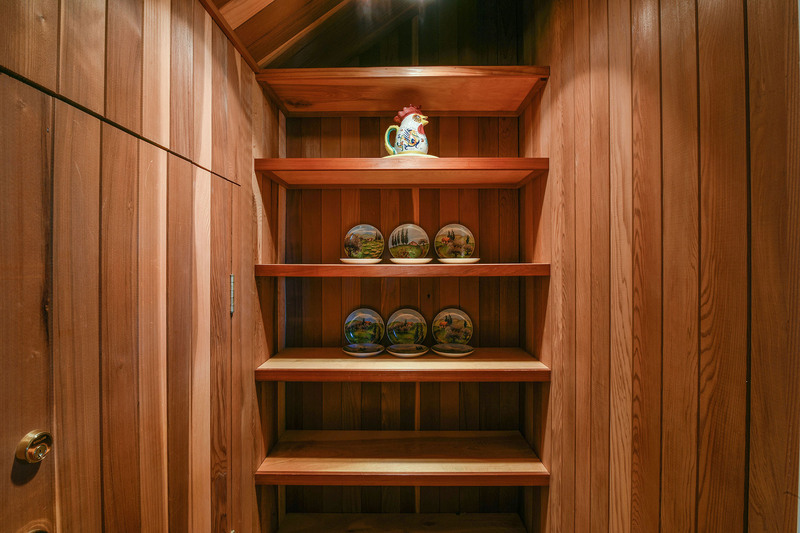 A temperature-controlled wine cellar can accommodate a substantial collection of more than 1,000 bottles. 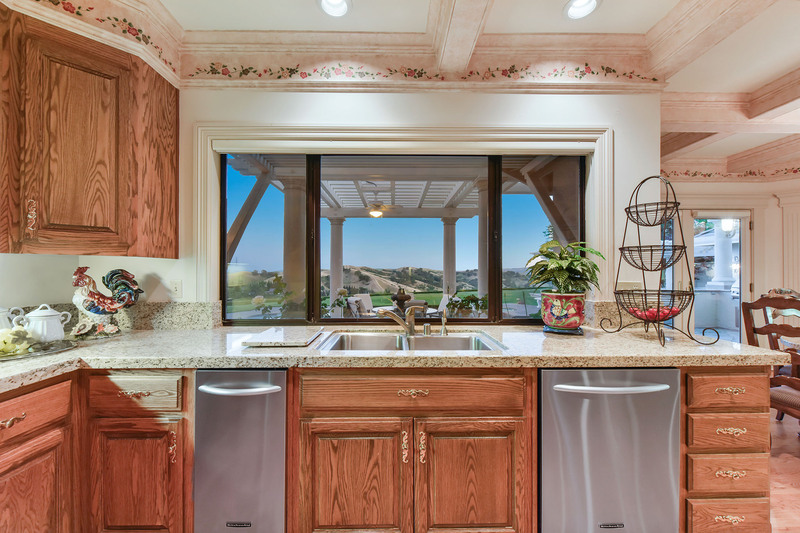 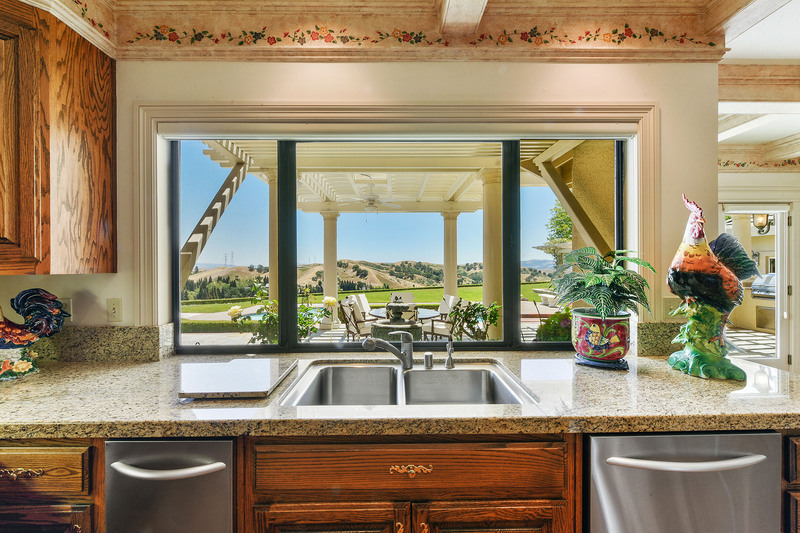 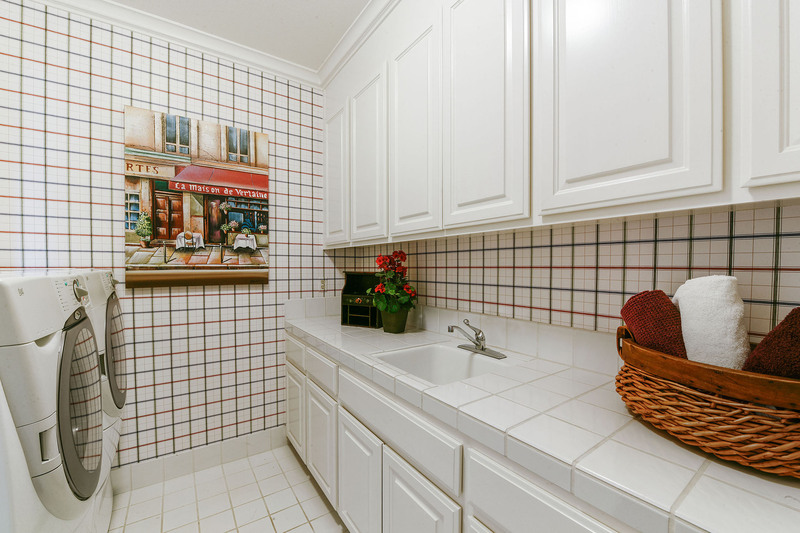 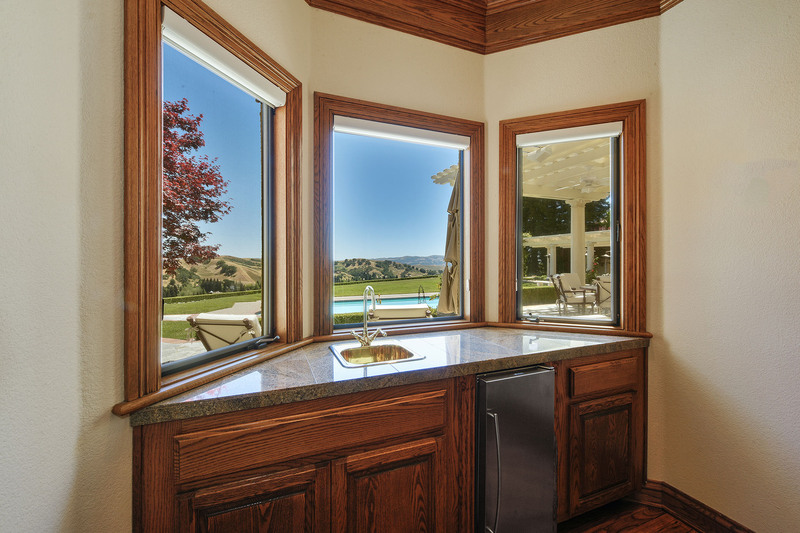 The chef’s kitchen has everything including a view from the kitchen sink! 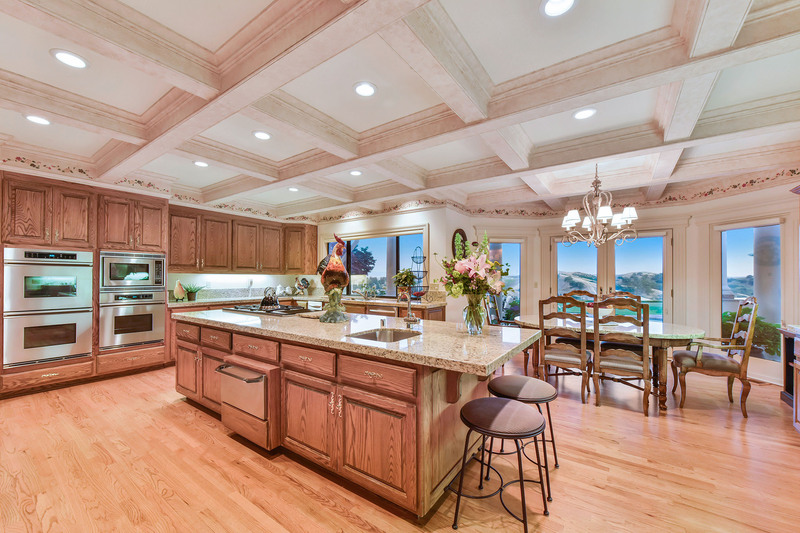 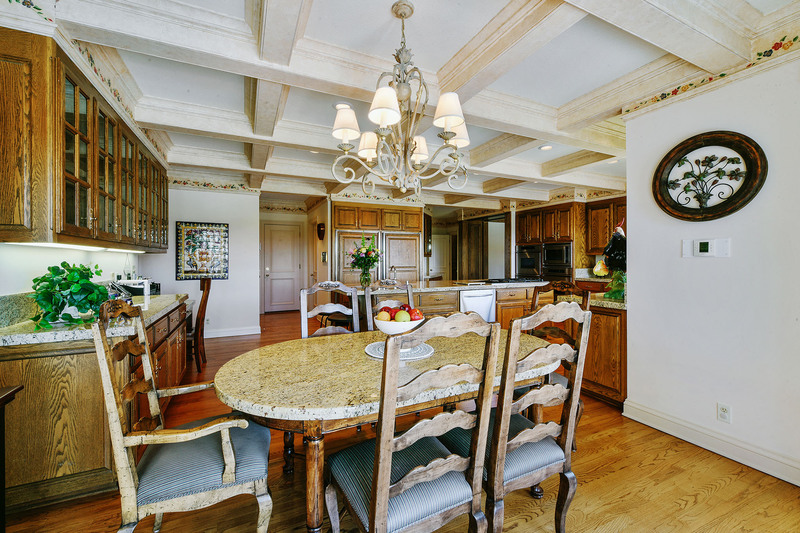 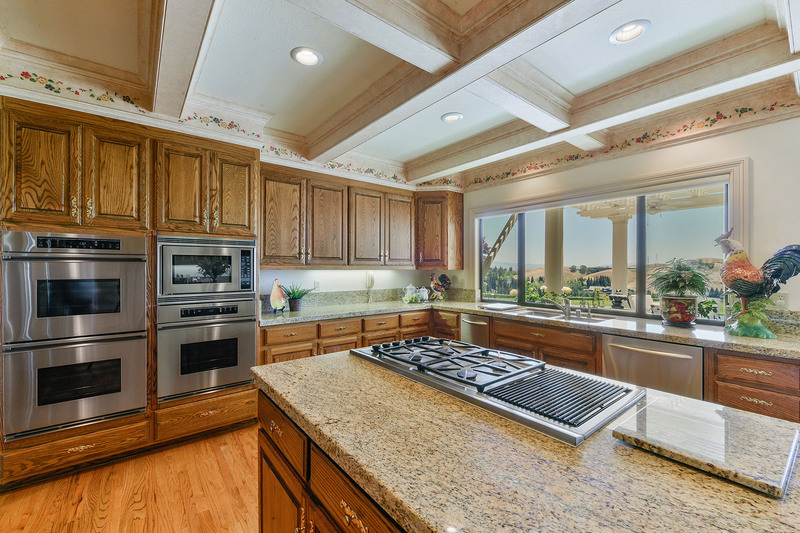 Well appointed for multiple cooks, the kitchen features a painted box-beam ceiling, polished oak cabinetry, granite slab counters, and a massive island/breakfast bar with prep sink. 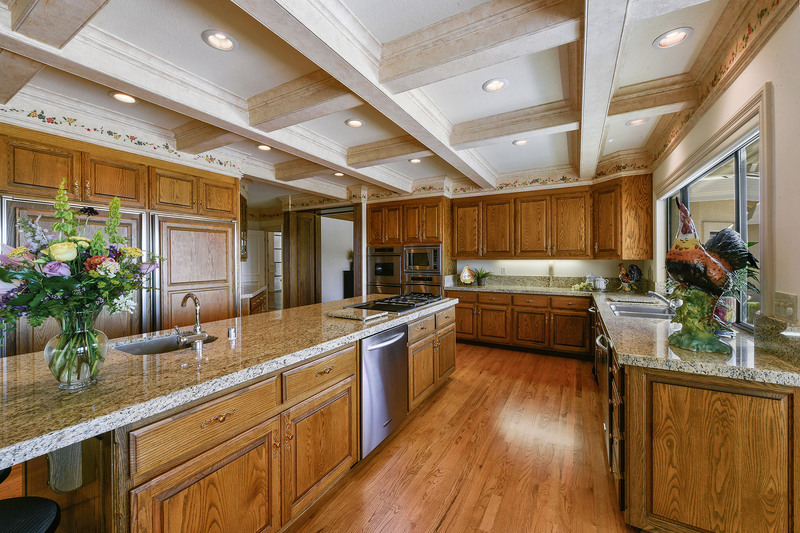 Prepare a feast or a late night snack on the Dacor combination gas and electric cook top, three Dacor ovens, two KitchenAid dishwashers, and a SubZero double door wood paneled refrigerator. 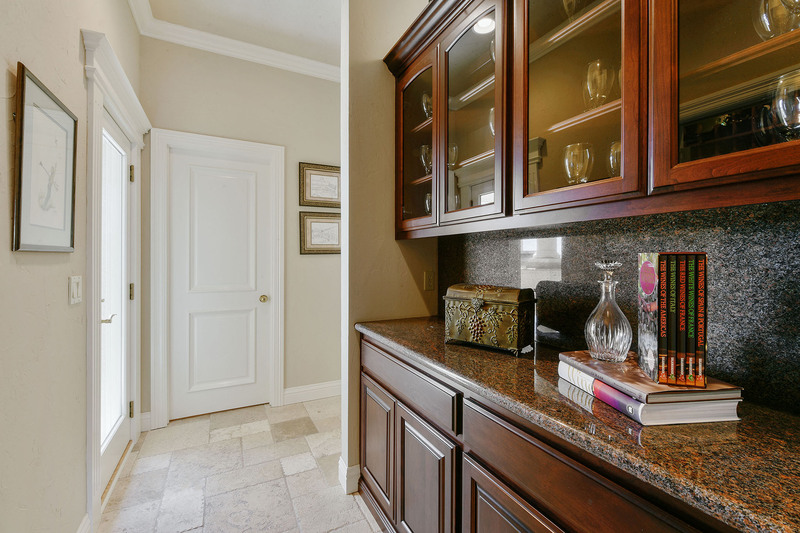 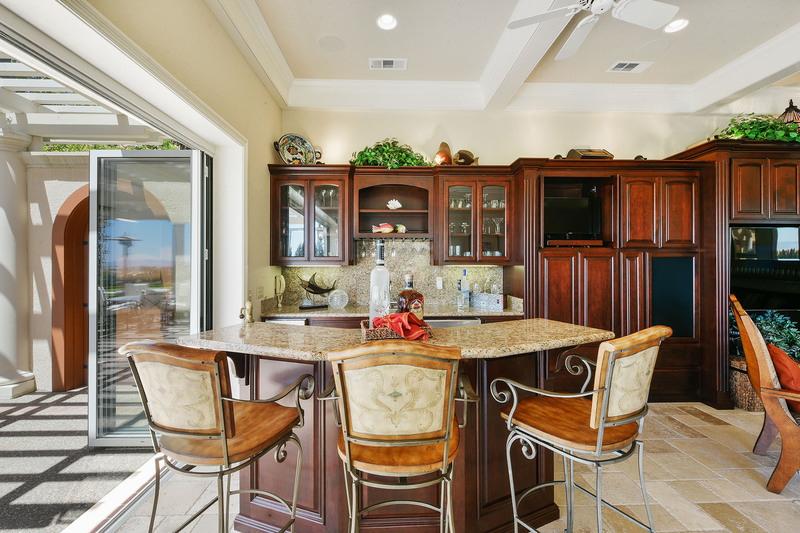 There is an abundance of counter space including a built-in workstation and buffet, and cabinetry including glass door display cabinetry. 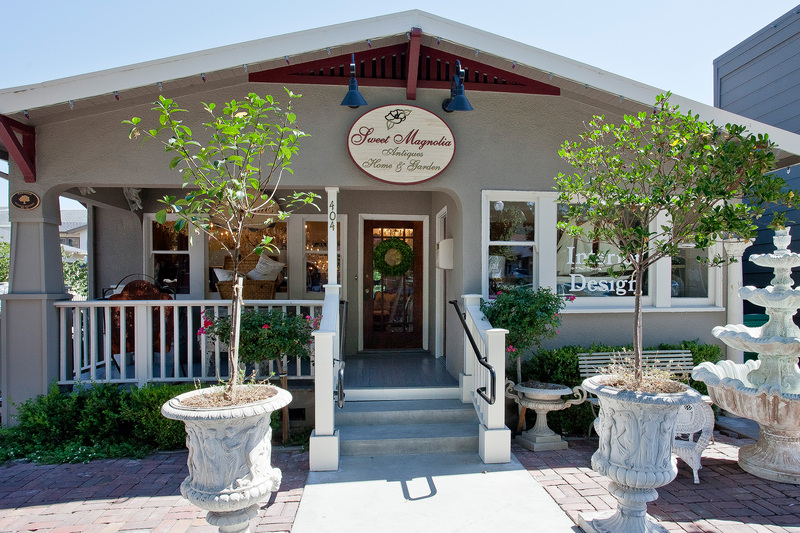 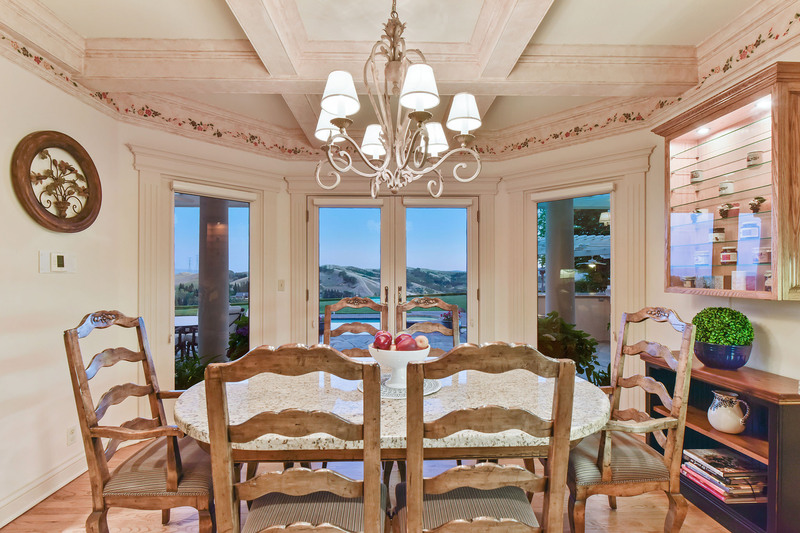 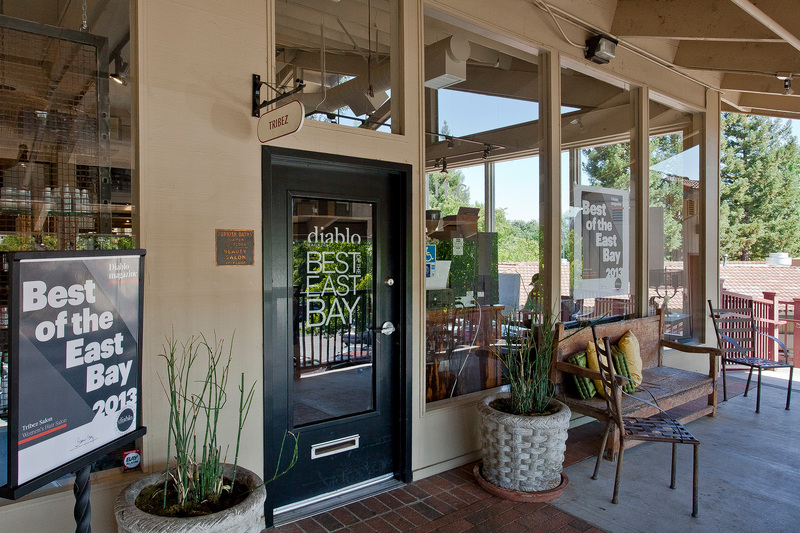 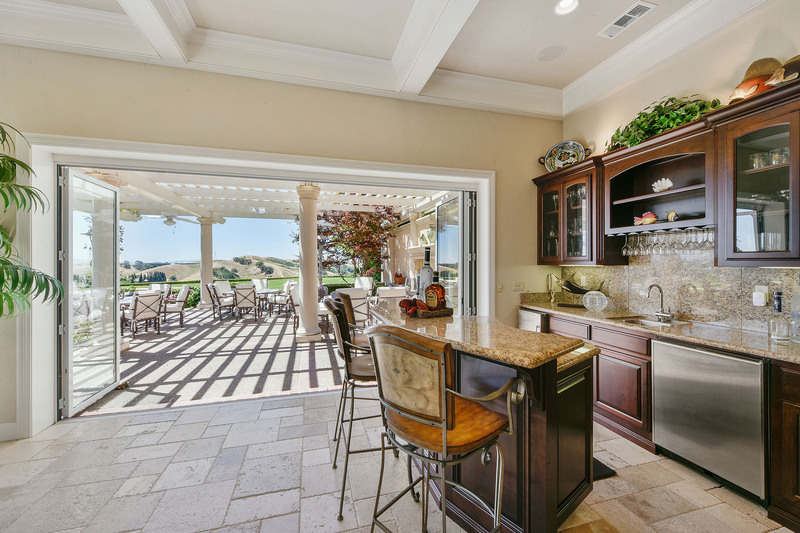 An adjacent casual dining nook features French doors that open onto the patio. 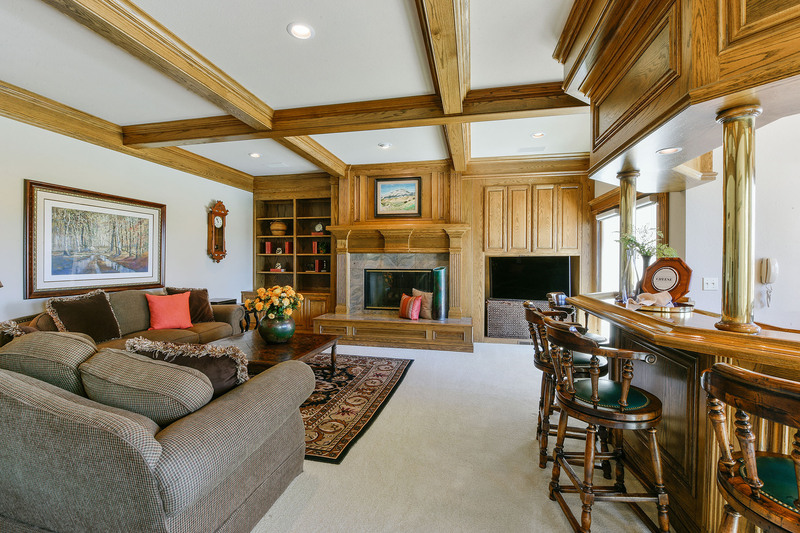 Step down into the expansive family room that also features a box beam ceiling, rich oak paneled walls, fireplace with marble surround and oak mantel, wand walk-around wet bar. 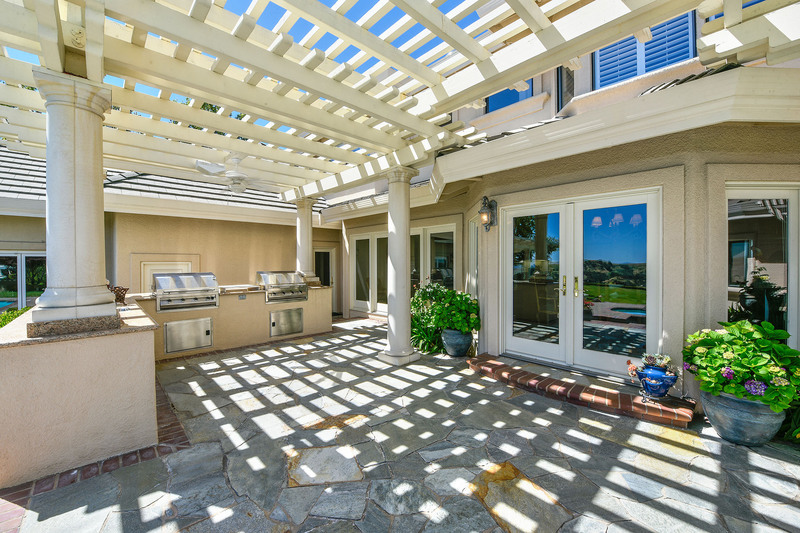 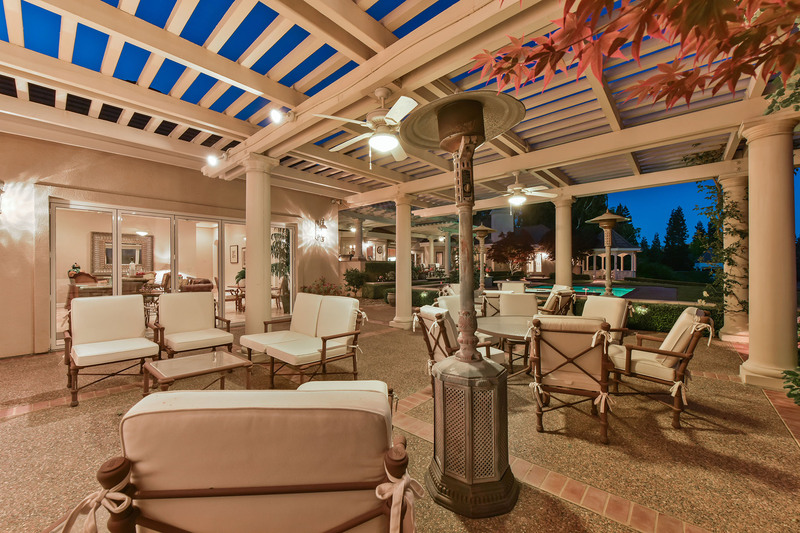 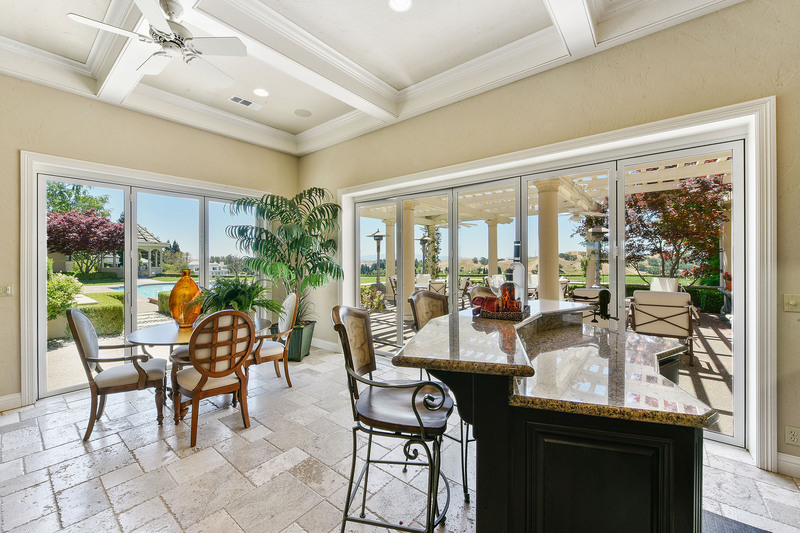 Two sets of French doors extend the entertaining space out onto the patios and poolside. 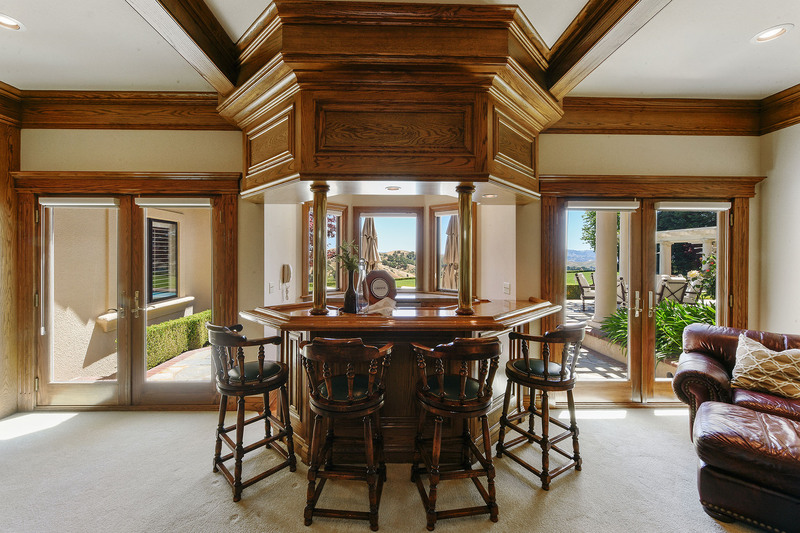 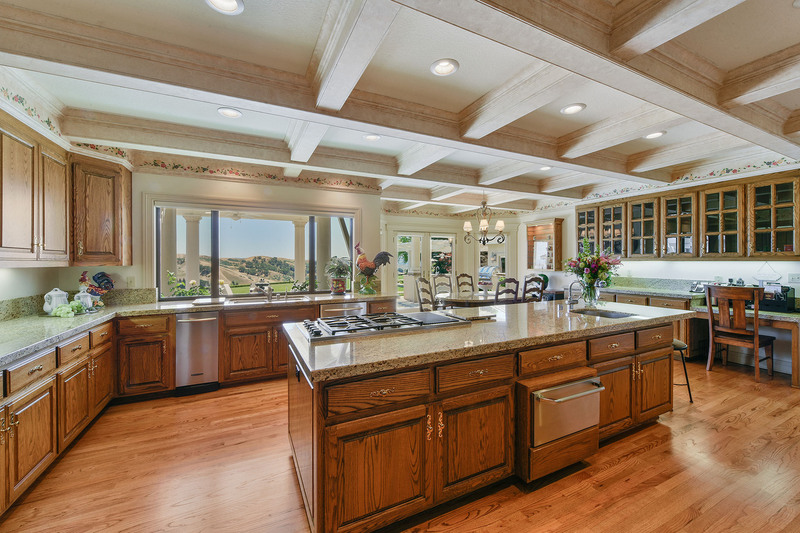 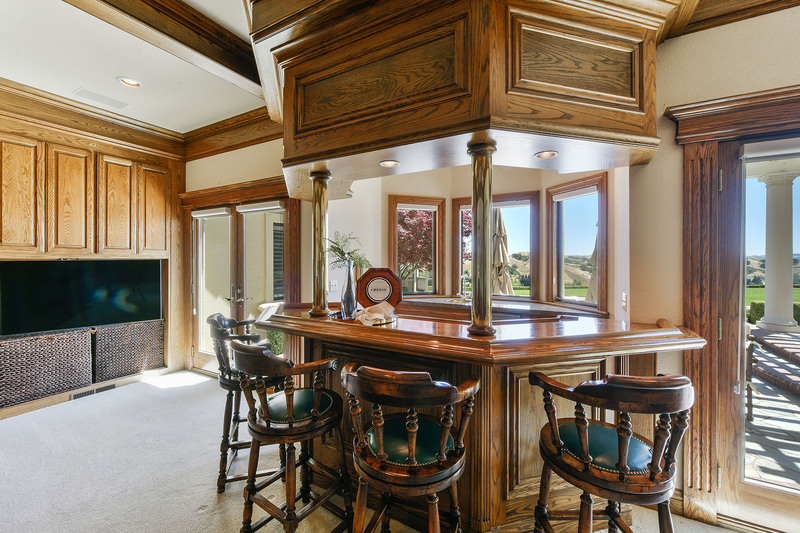 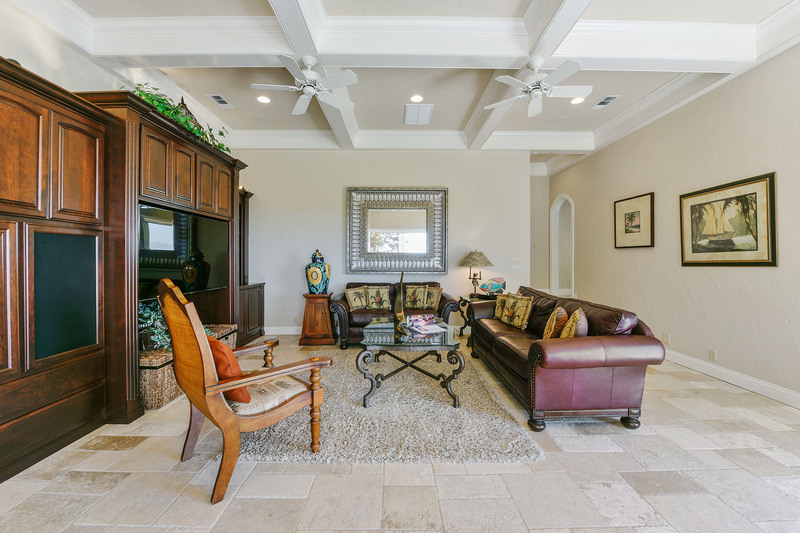 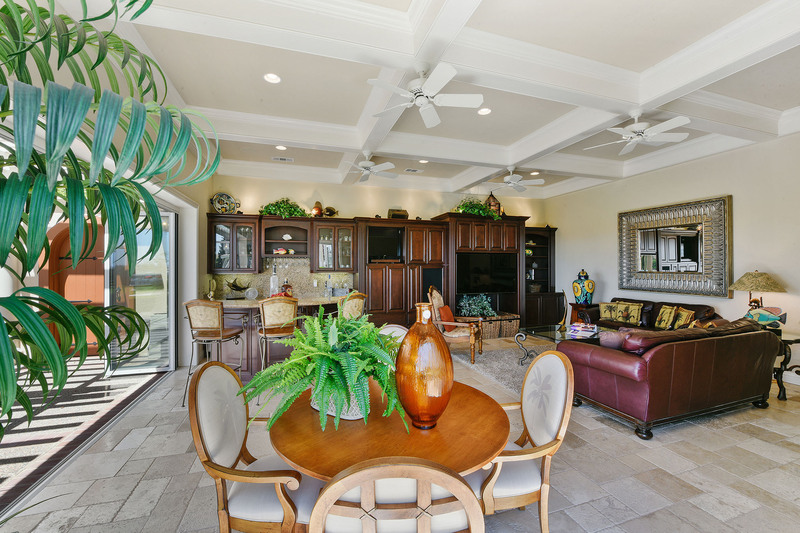 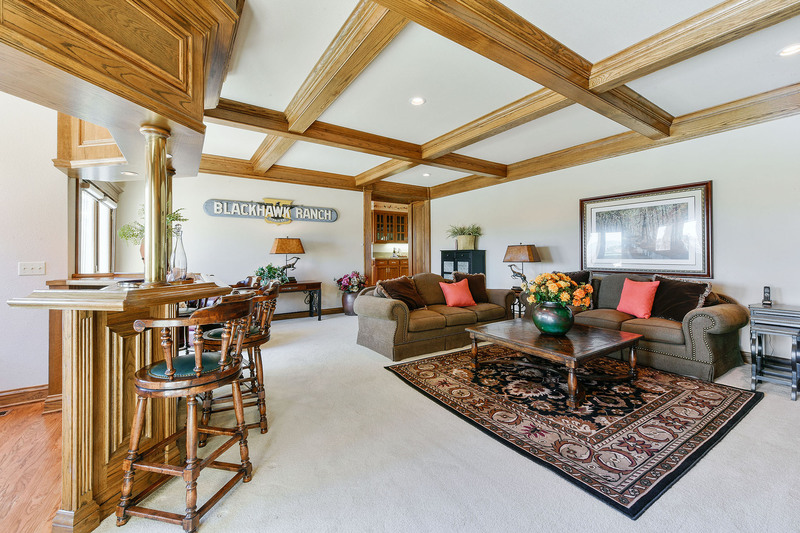 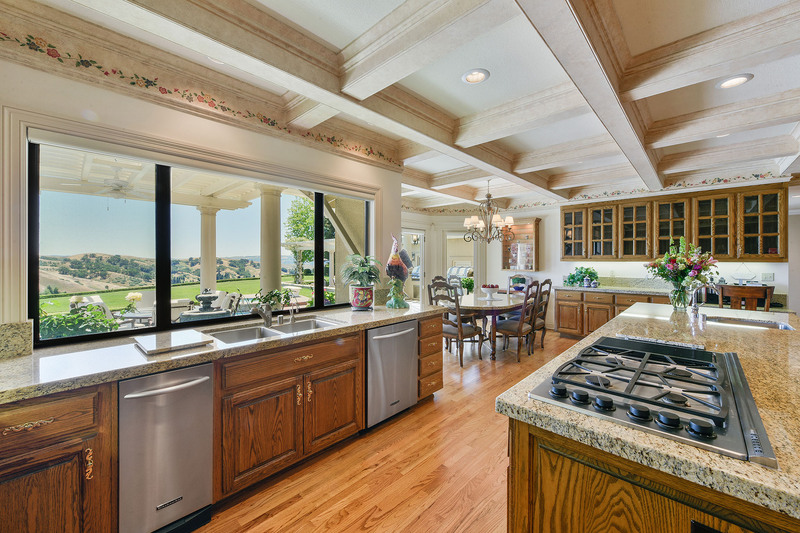 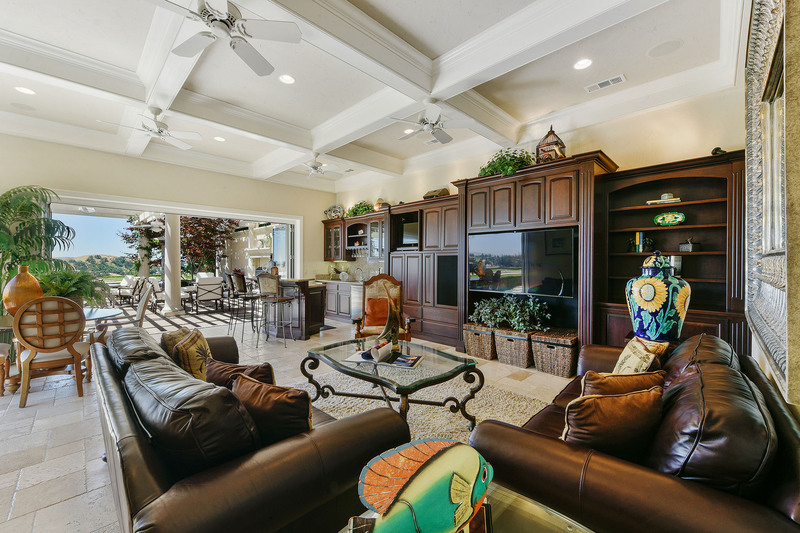 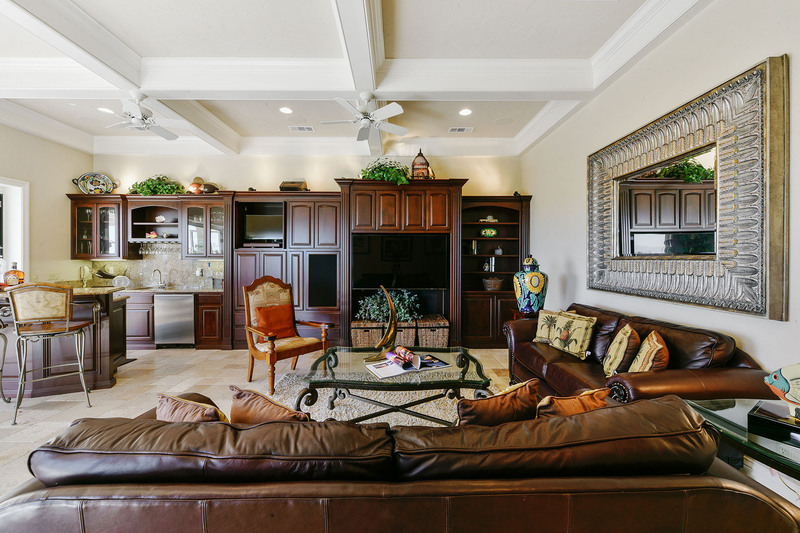 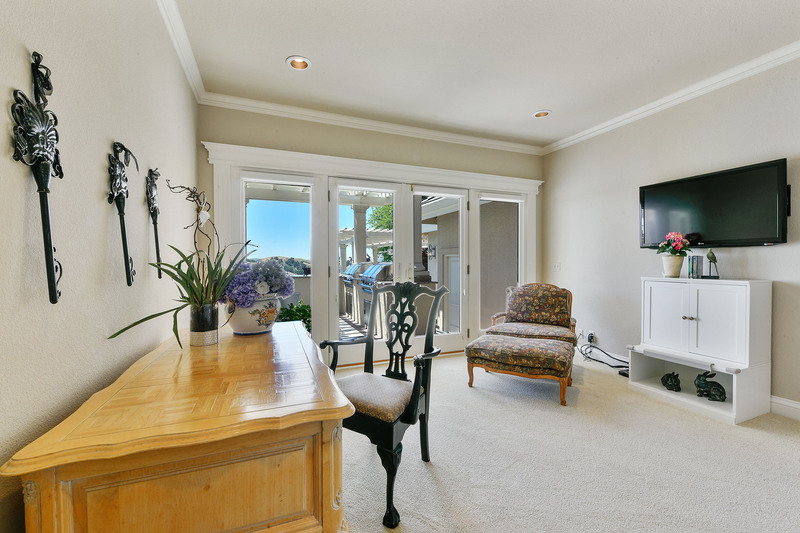 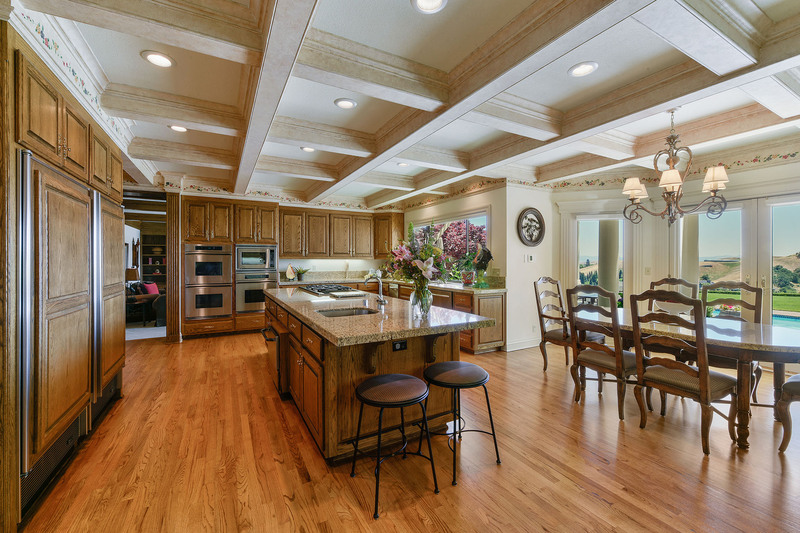 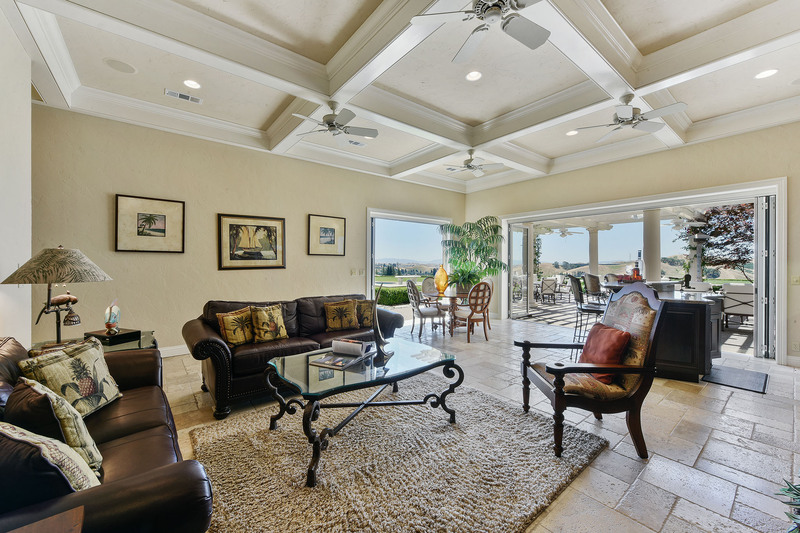 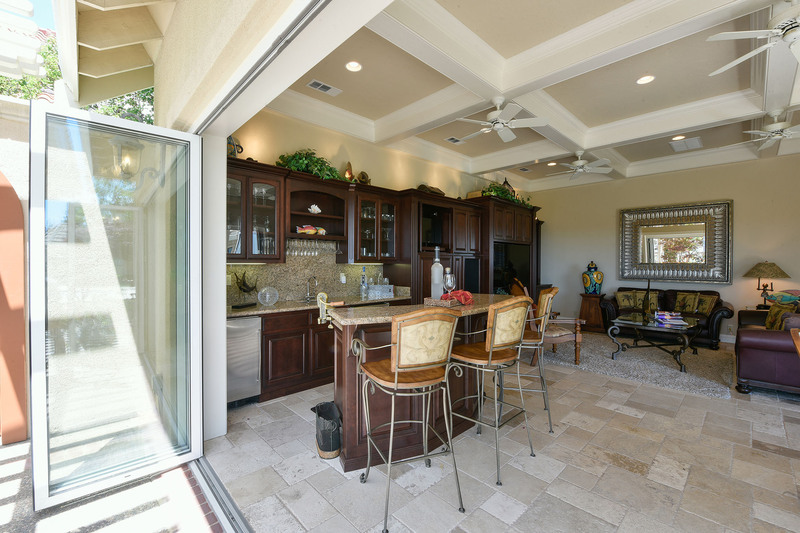 An additional “Patio Room” features a wall of built-in entertainment center, another walk-around wet bar with counter seating, box beam ceiling, and travertine floor. 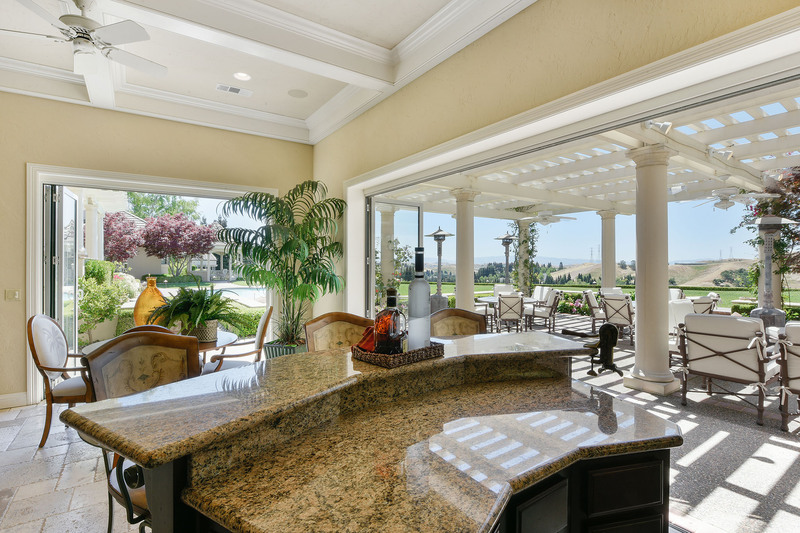 An accordion glass door opens the wall for a seamless flow to the outdoor covered pavilion and dining venue with a fireplace and more amazing views. 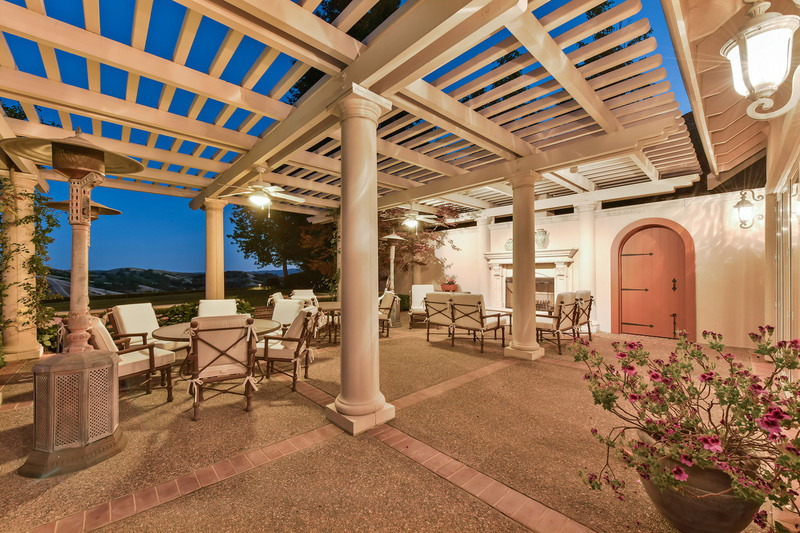 A second outdoor pavilion includes two-built-in barbecues with counters and a dining area. 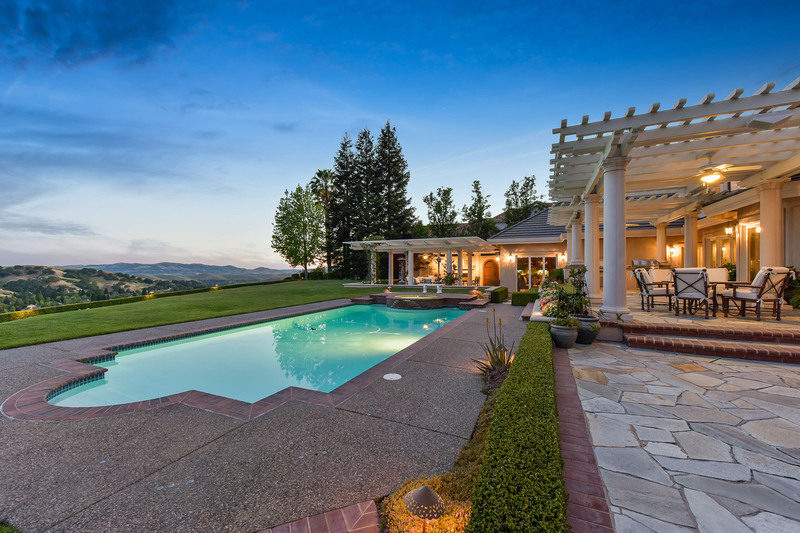 Meanwhile, lush lawns and manicured landscaping wrap around the pool, spa and gazebo all boasting unobstructed views of the surrounding hillsides. 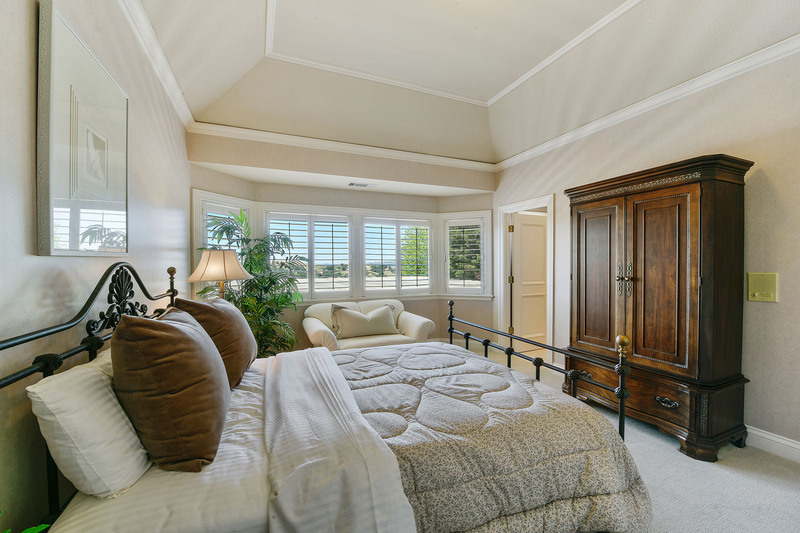 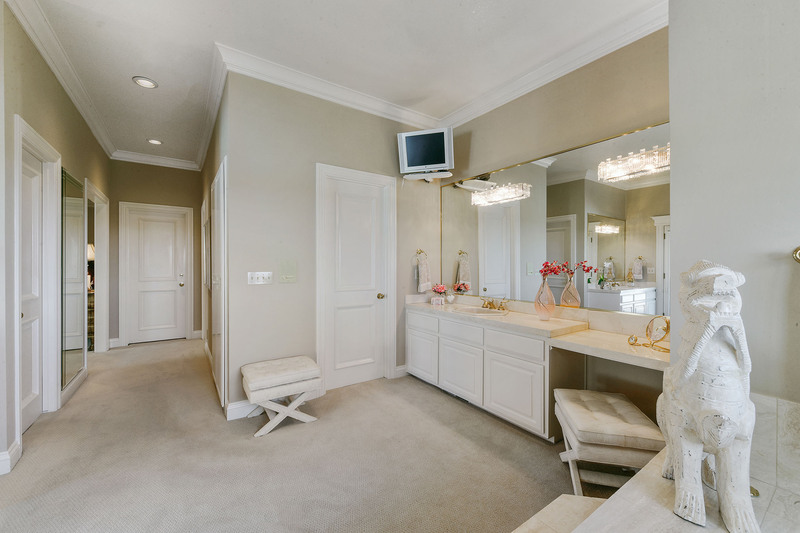 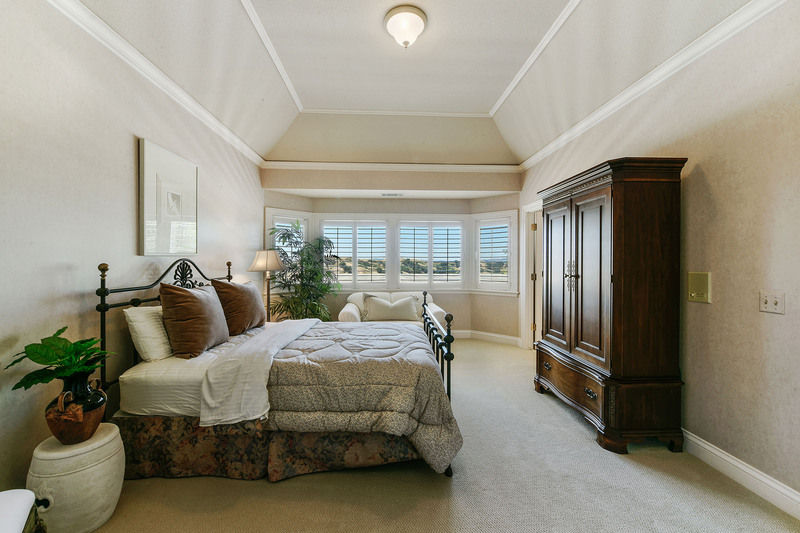 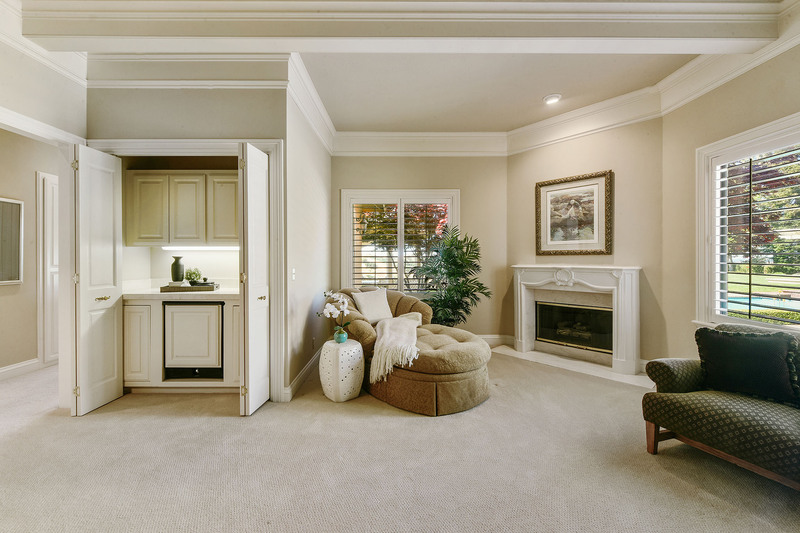 The luxurious master bedroom suite features a double door entry with plush carpeting, cozy fireplace, built-in media cabinetry, spacious sitting area and wet bar with refrigerator. 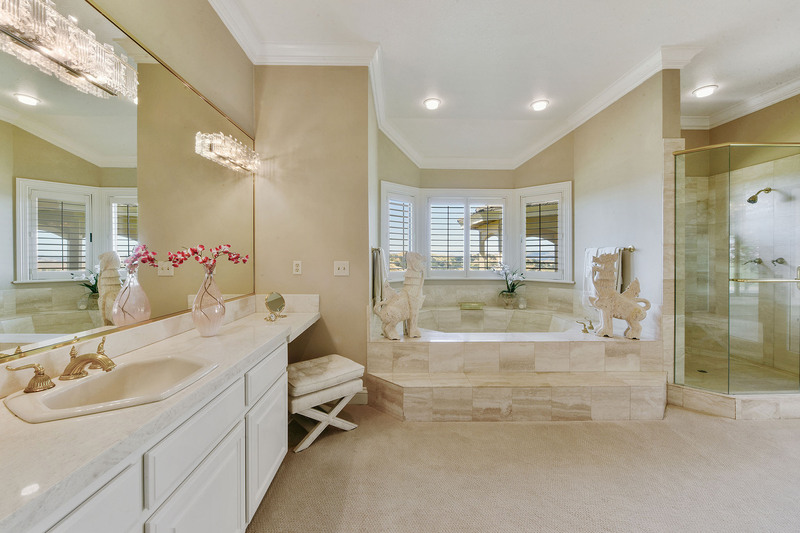 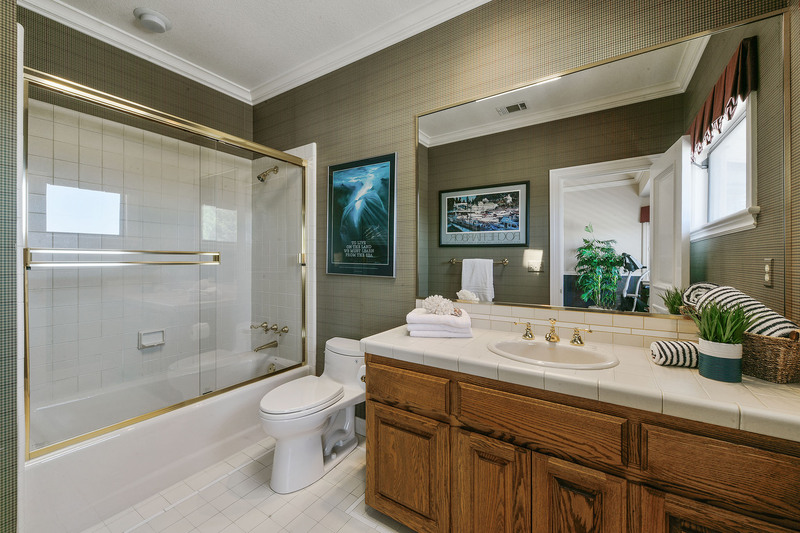 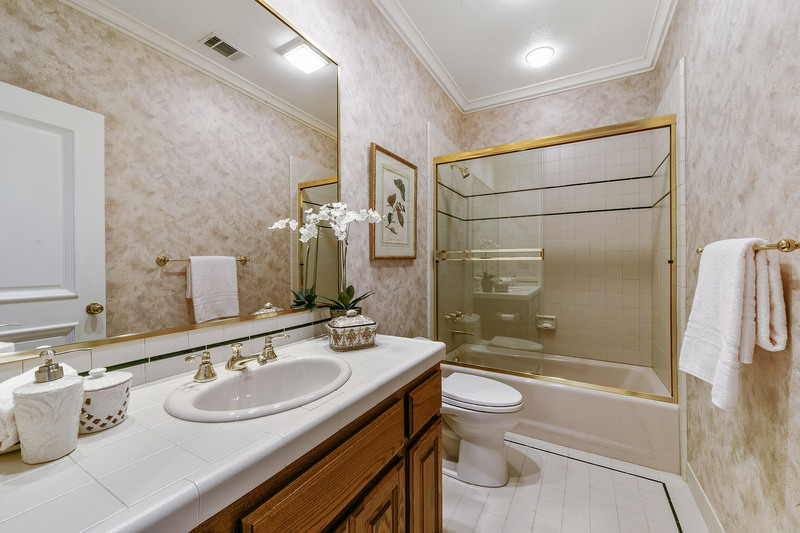 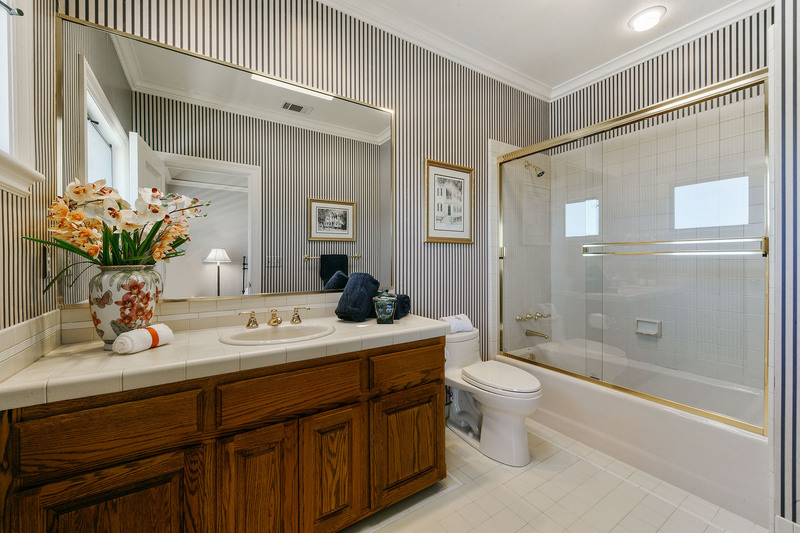 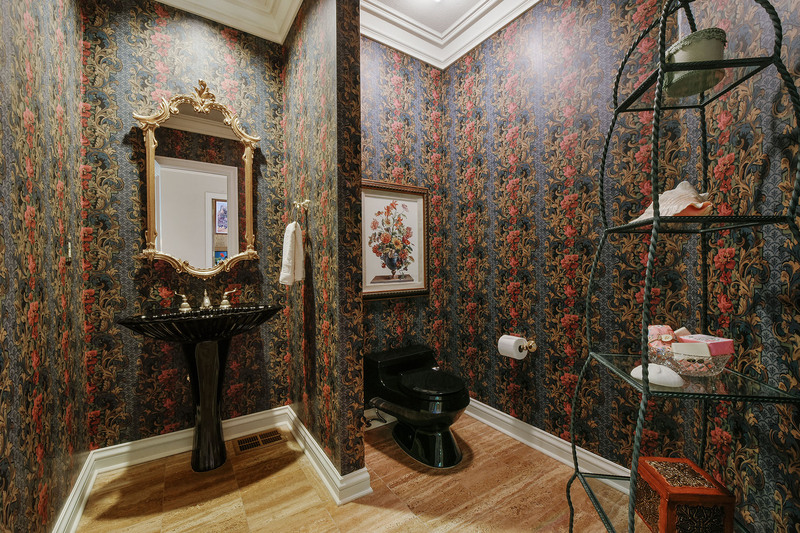 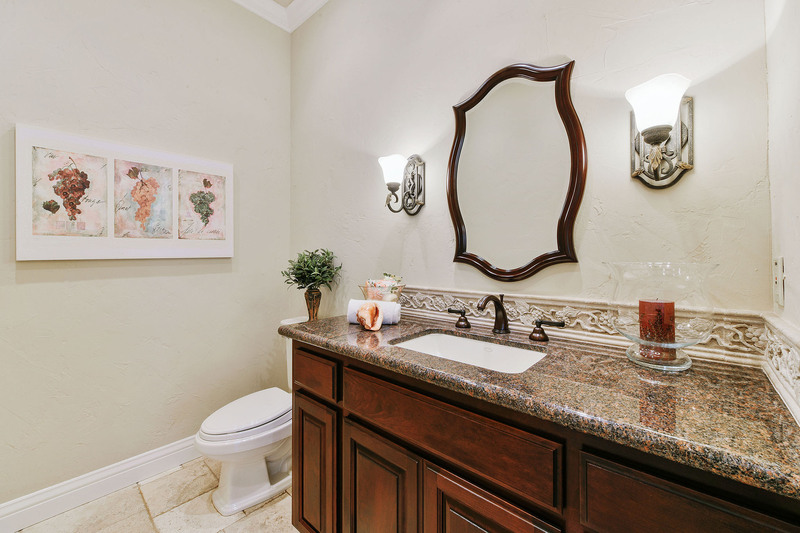 The master bathroom has its own private access to the pool and features a sunken Roman-style marble jetted tub, dual vanities, glass enclosed shower with dual shower heads, and two walk-in closets. 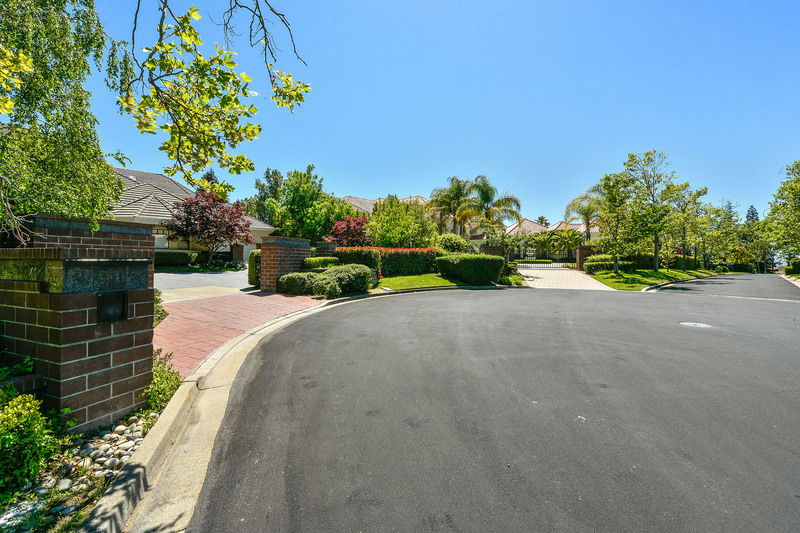 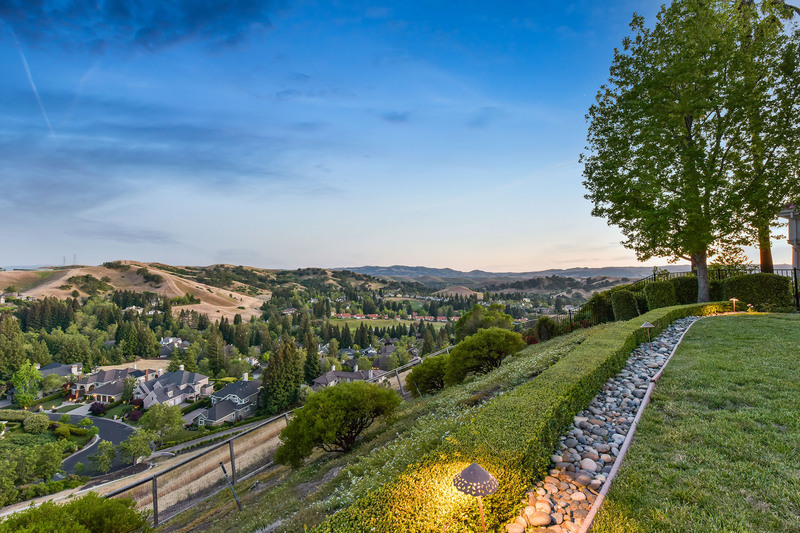 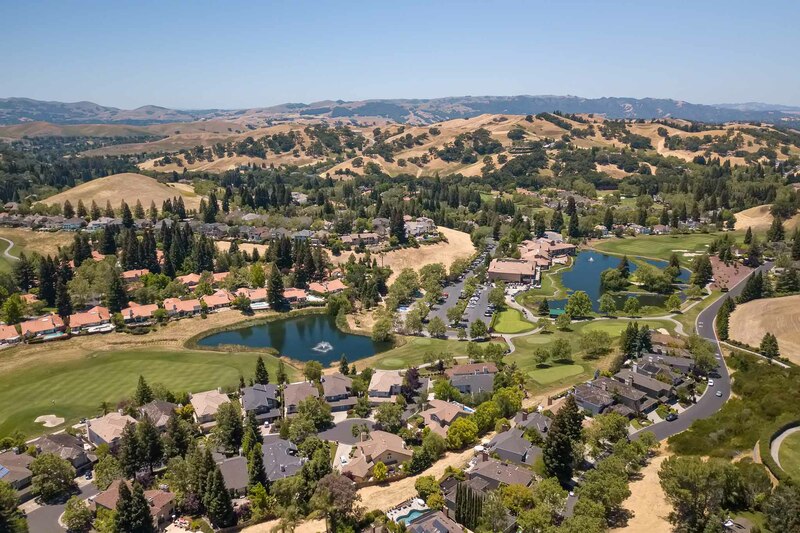 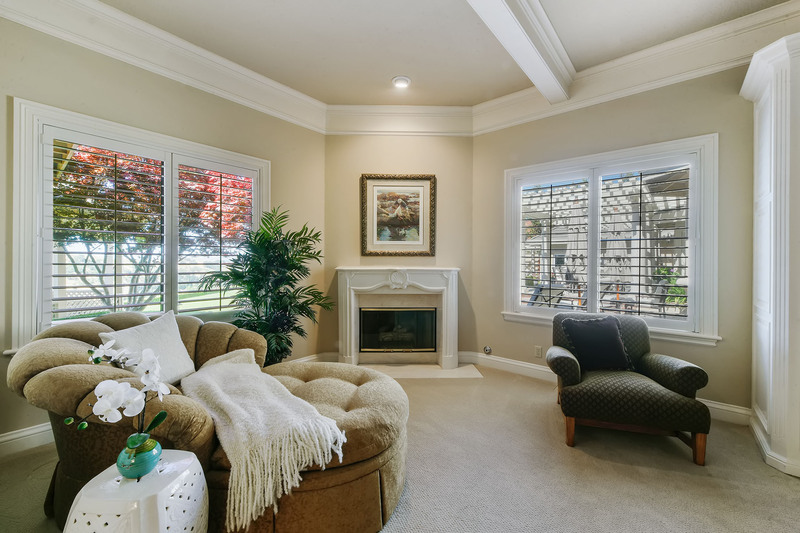 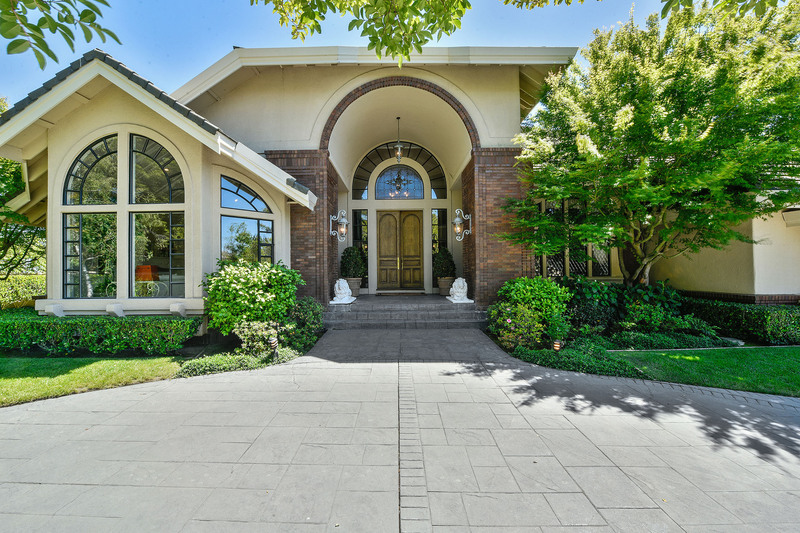 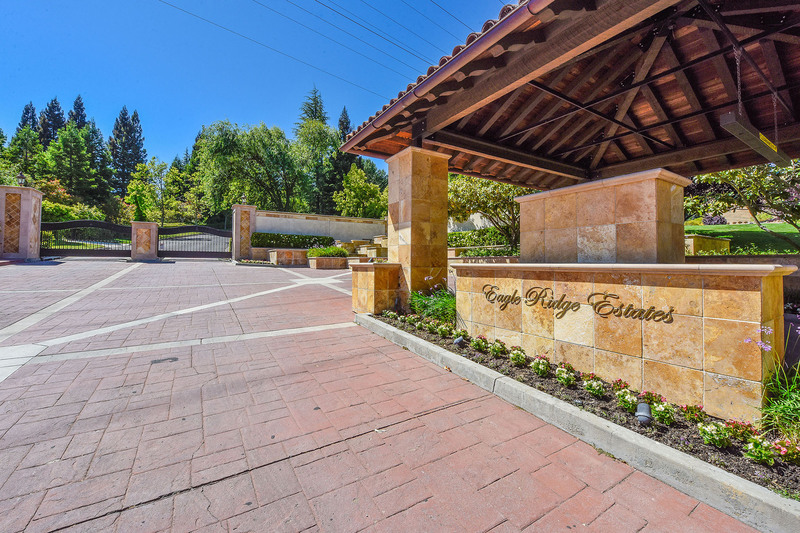 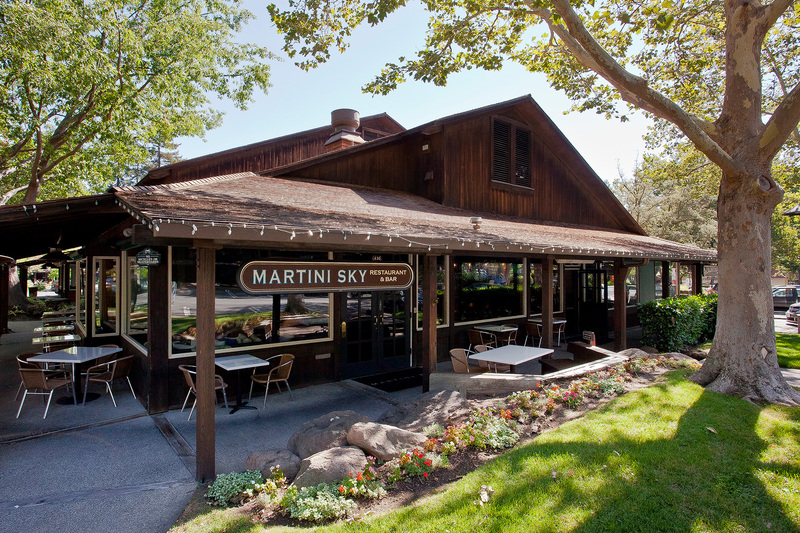 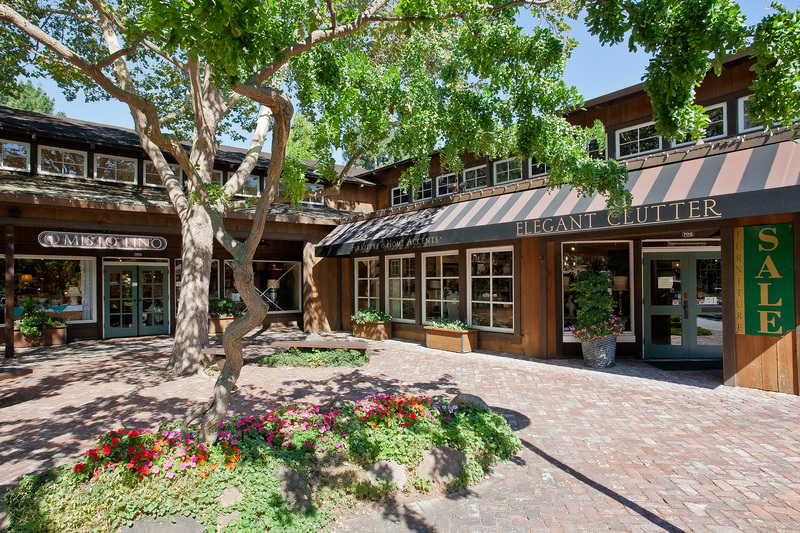 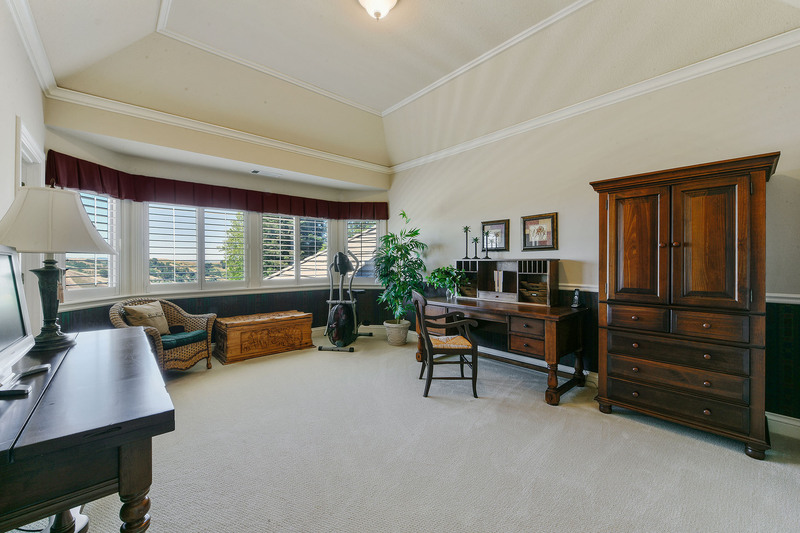 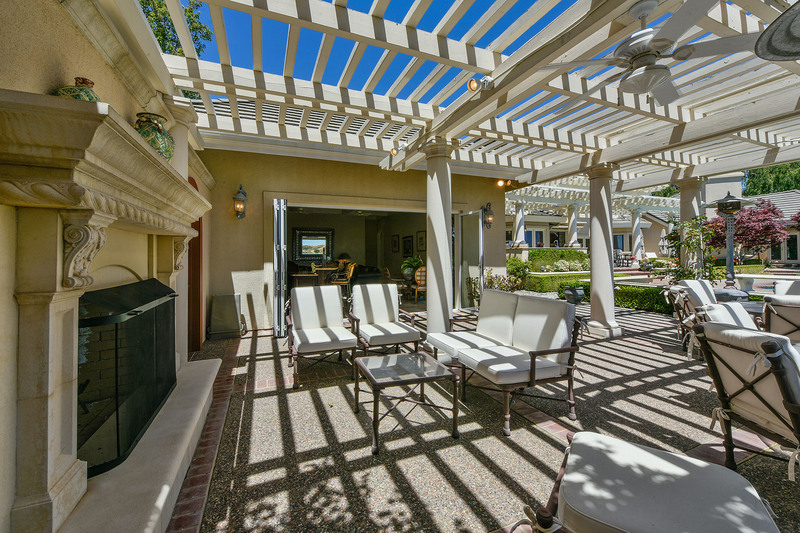 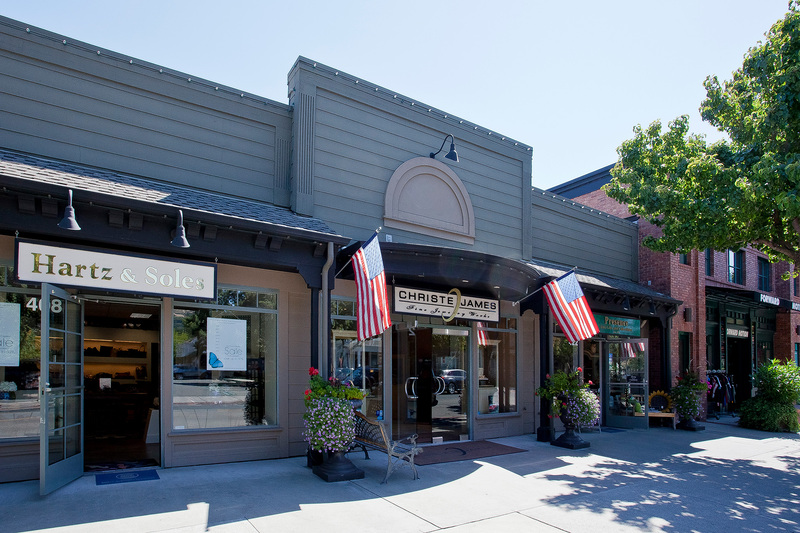 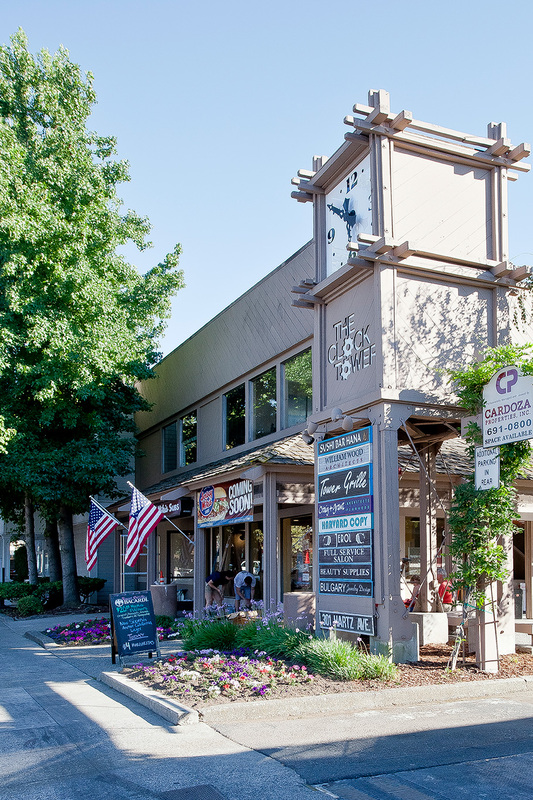 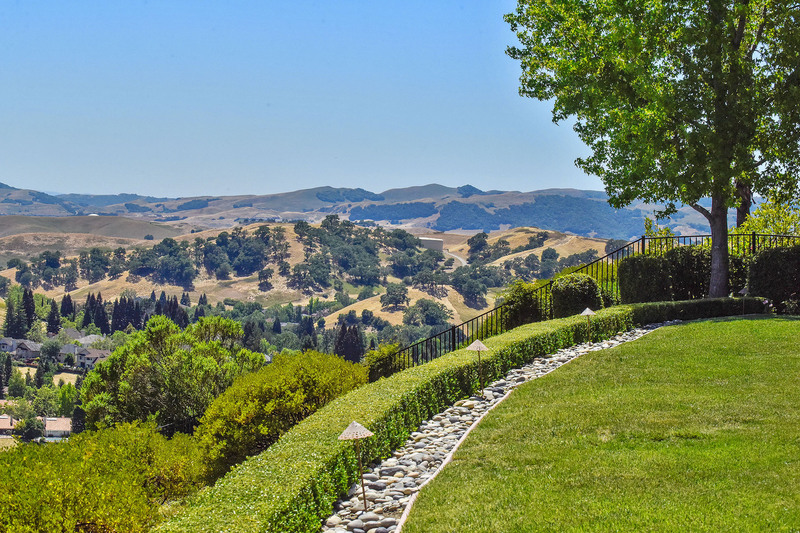 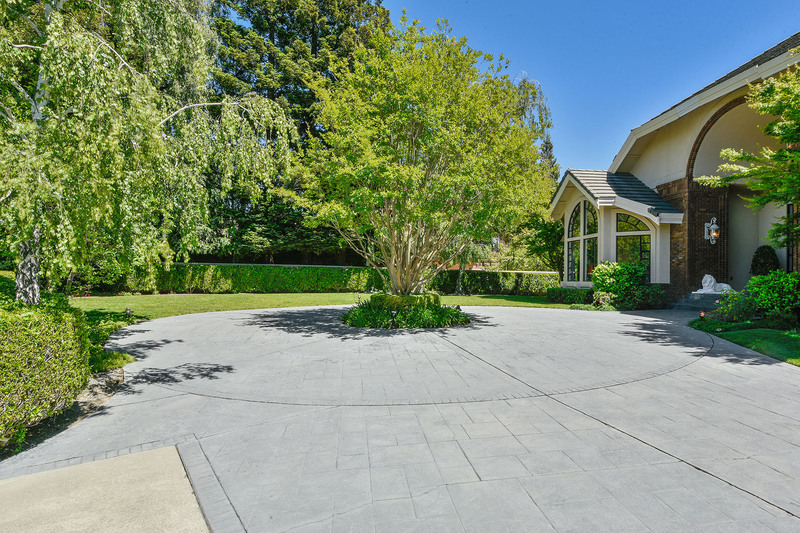 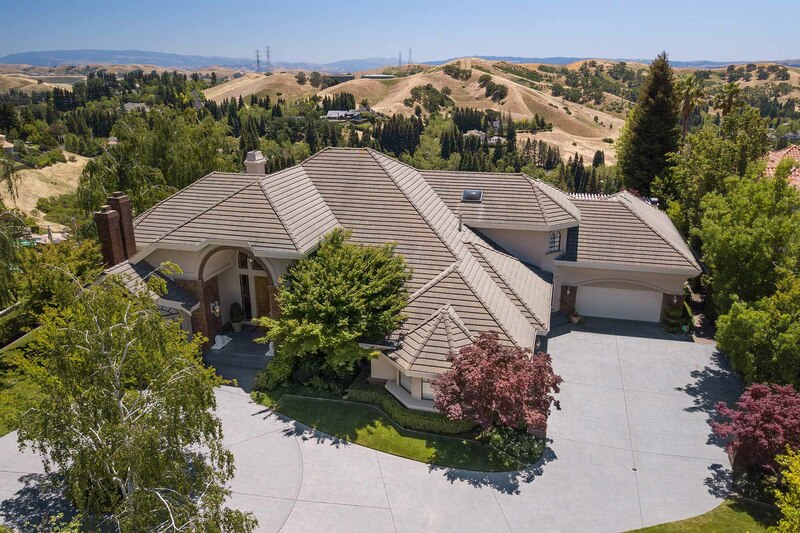 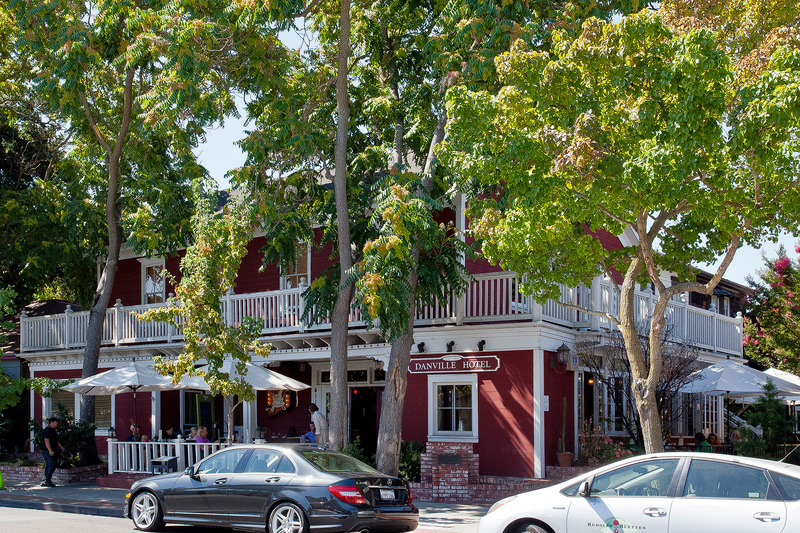 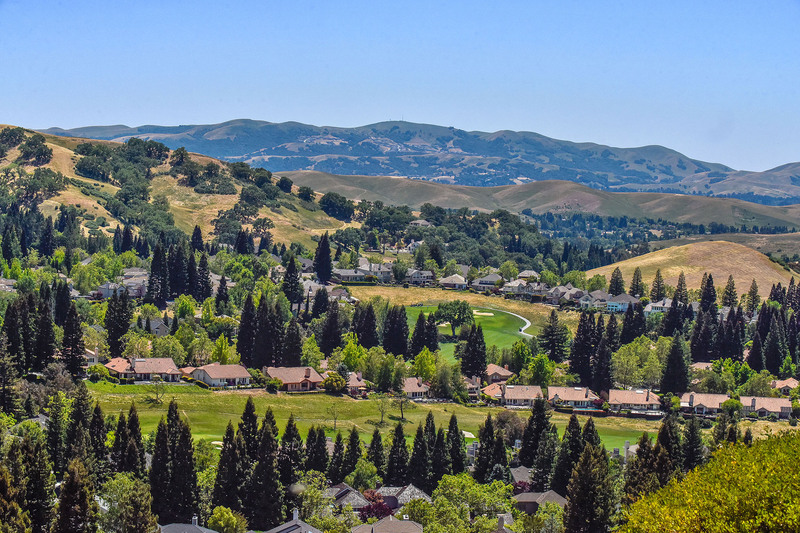 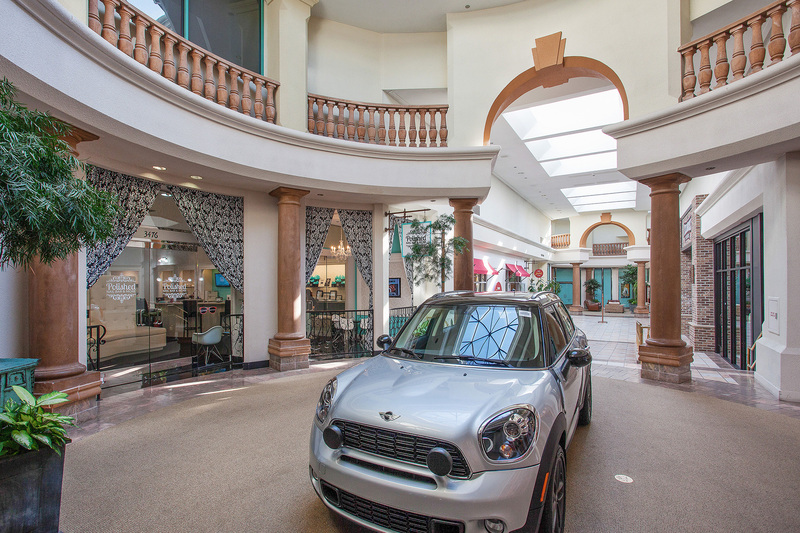 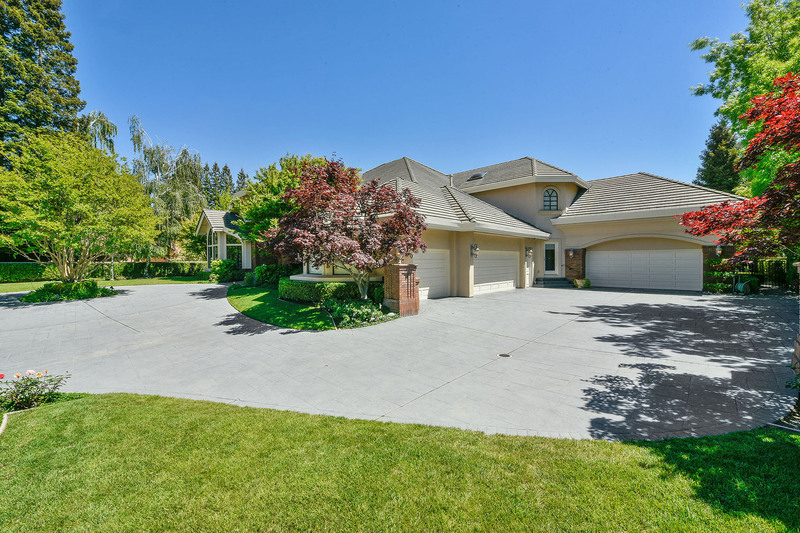 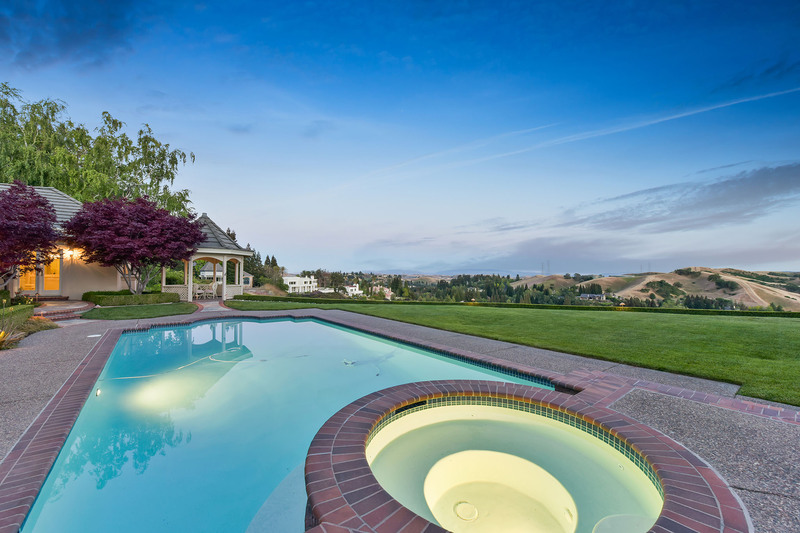 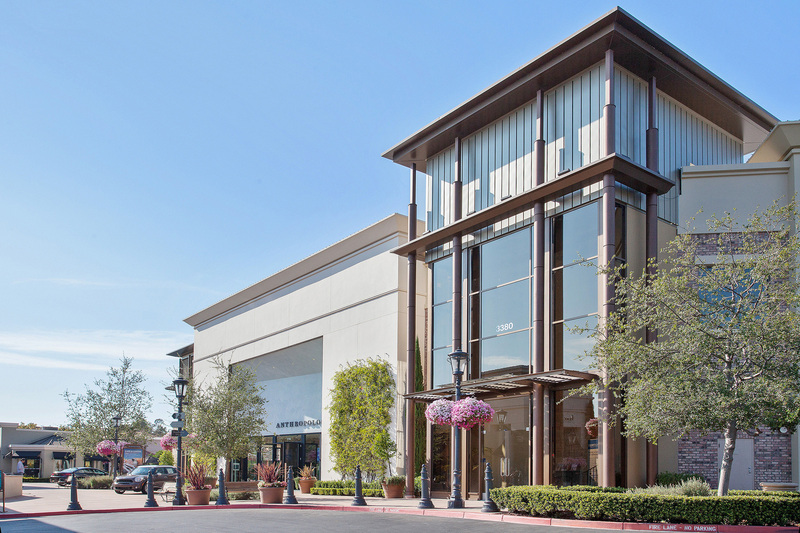 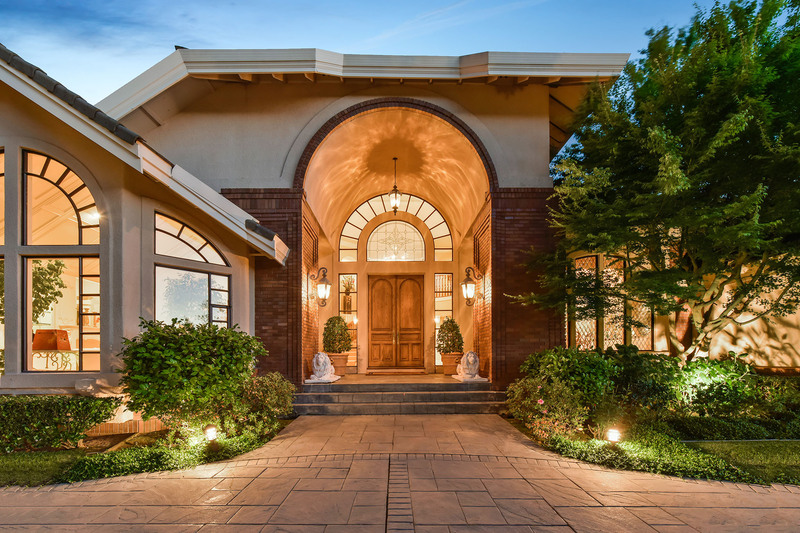 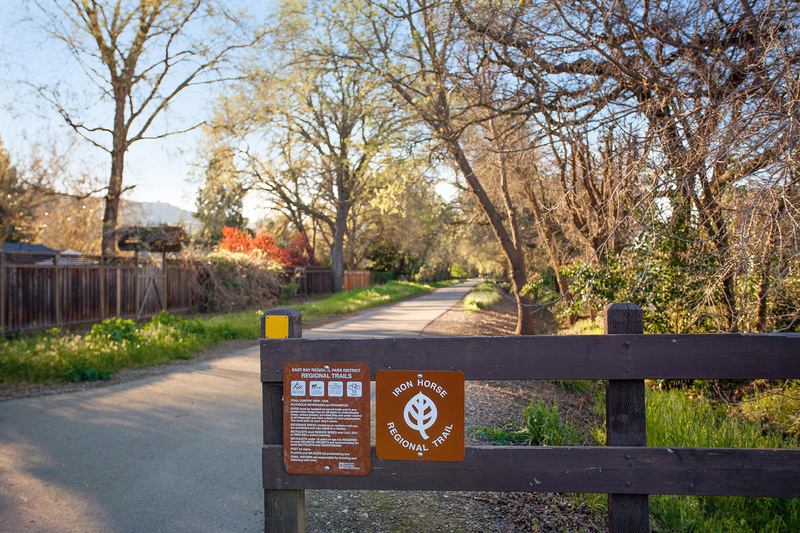 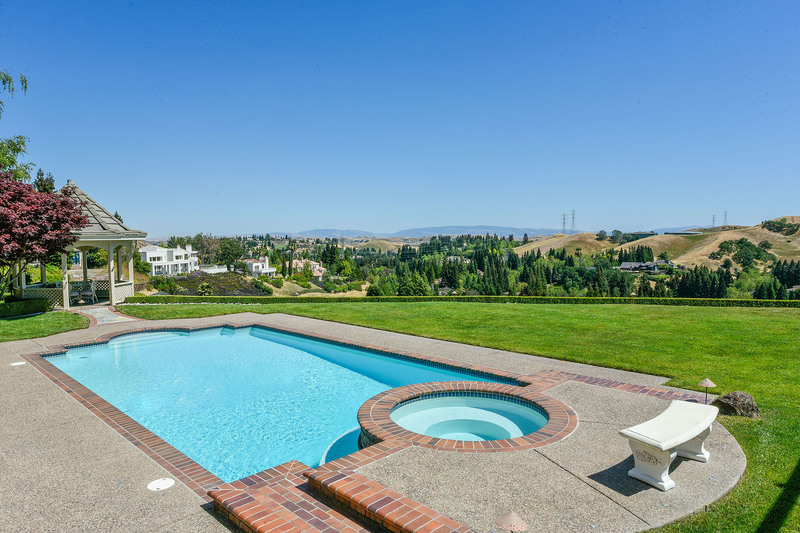 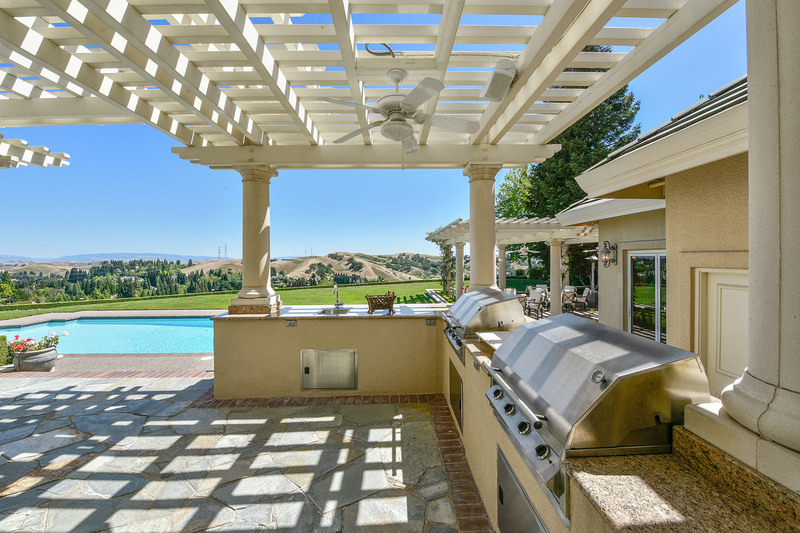 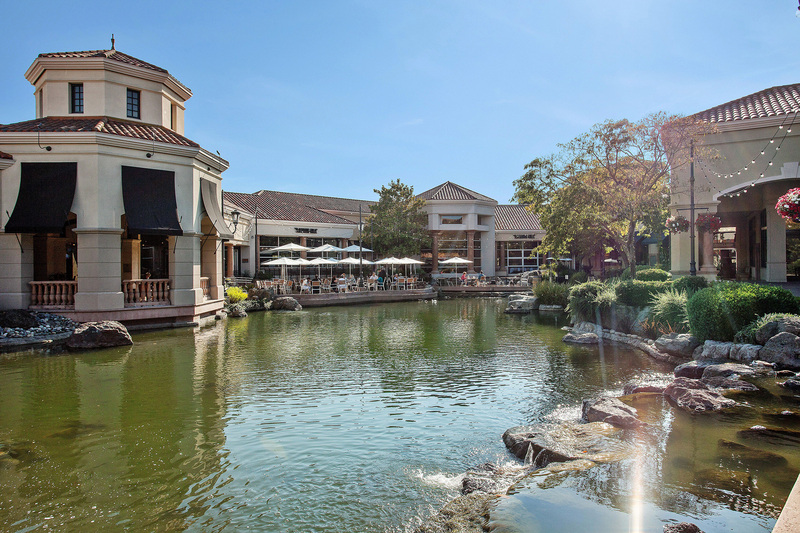 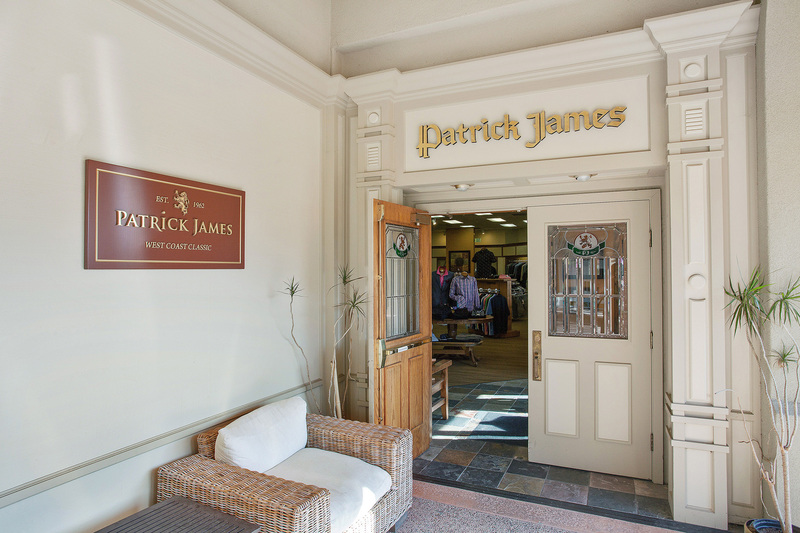 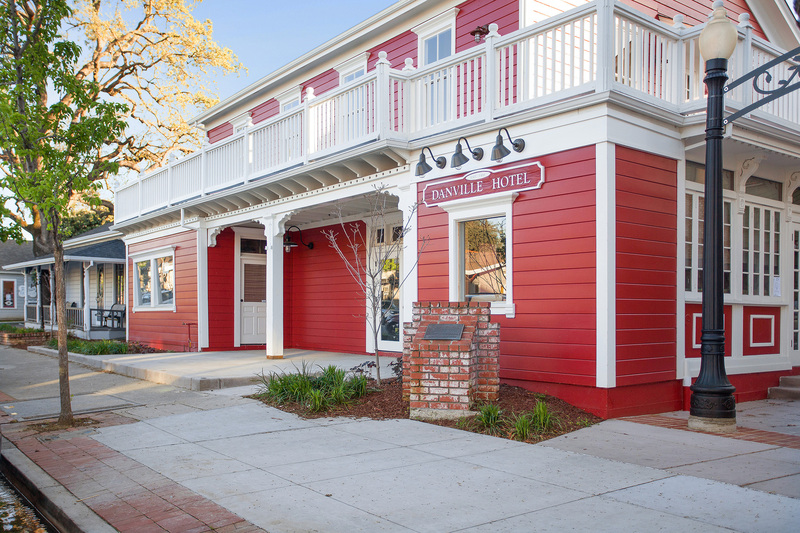 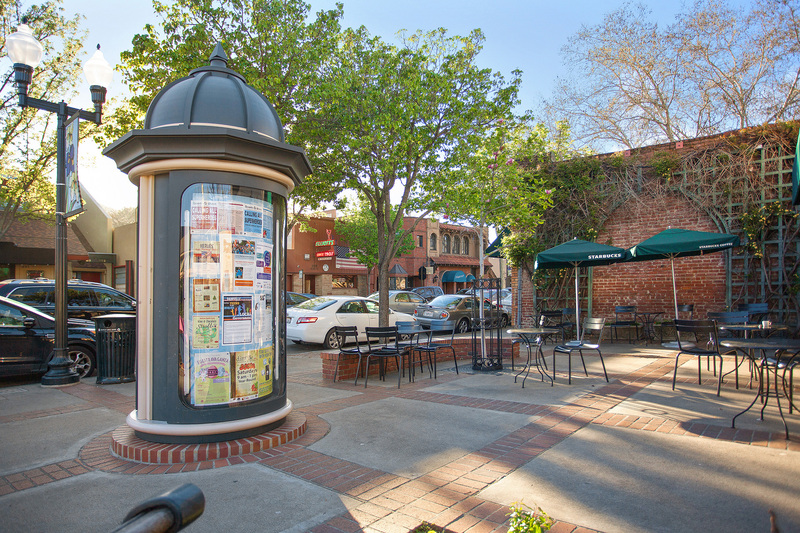 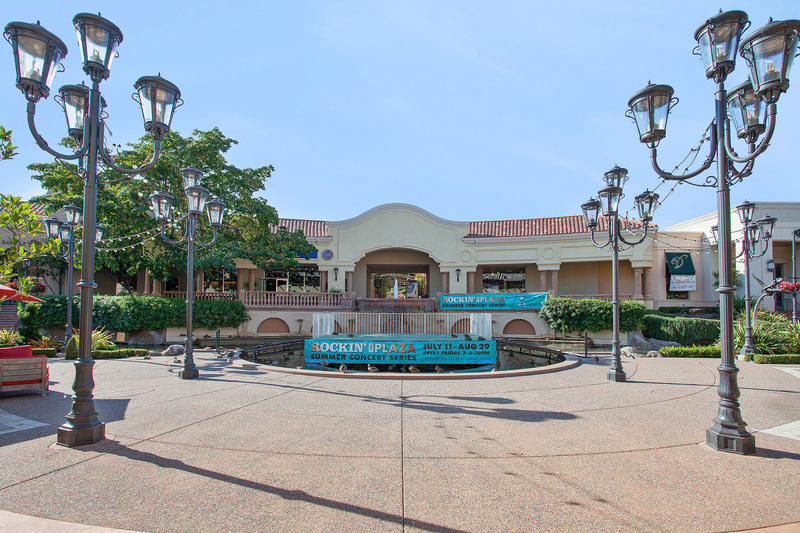 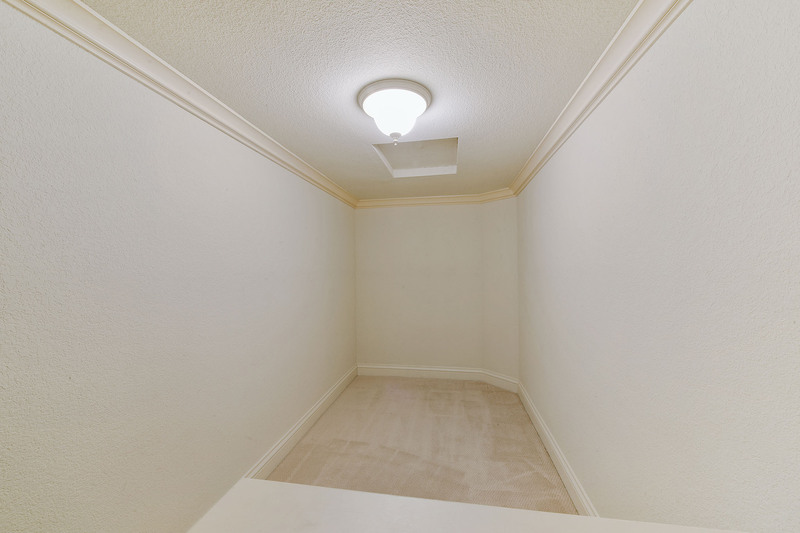 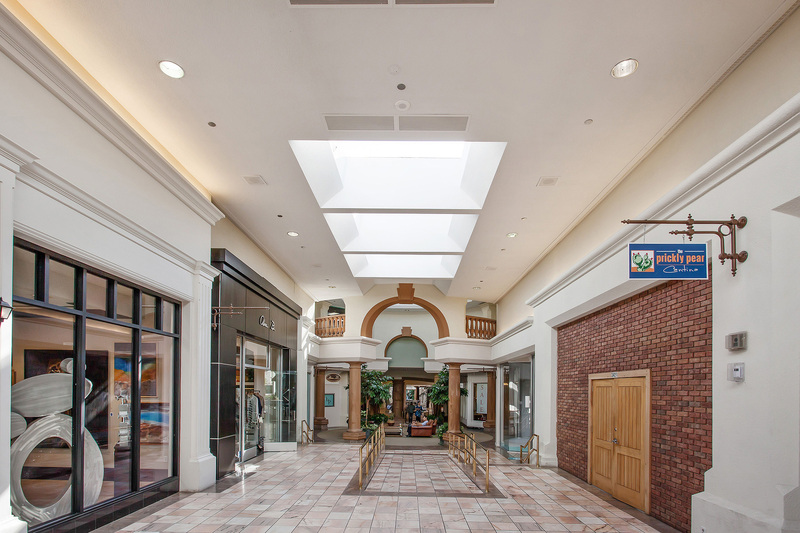 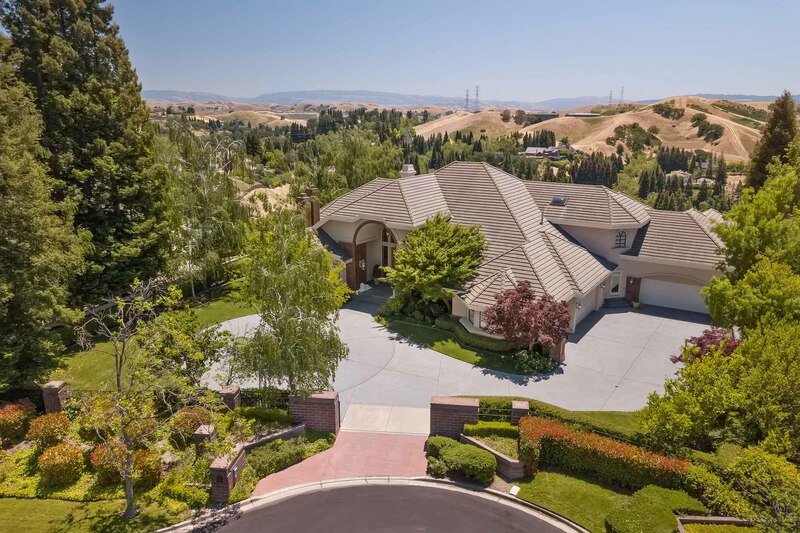 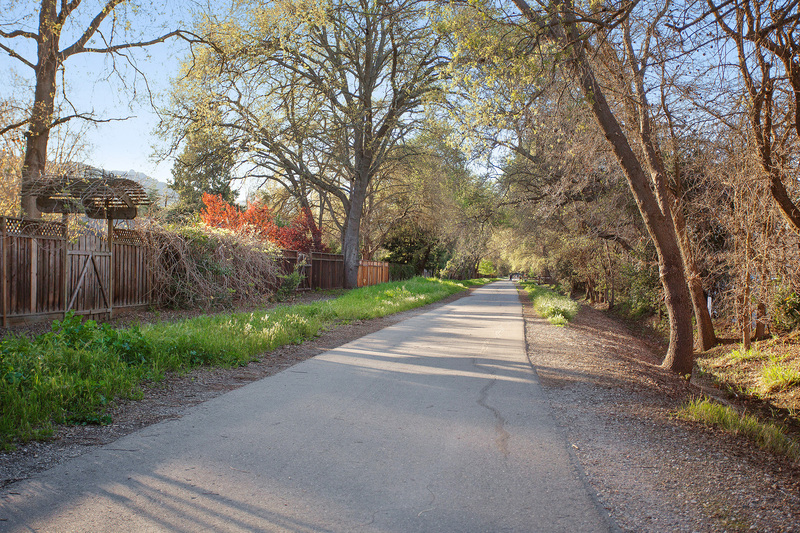 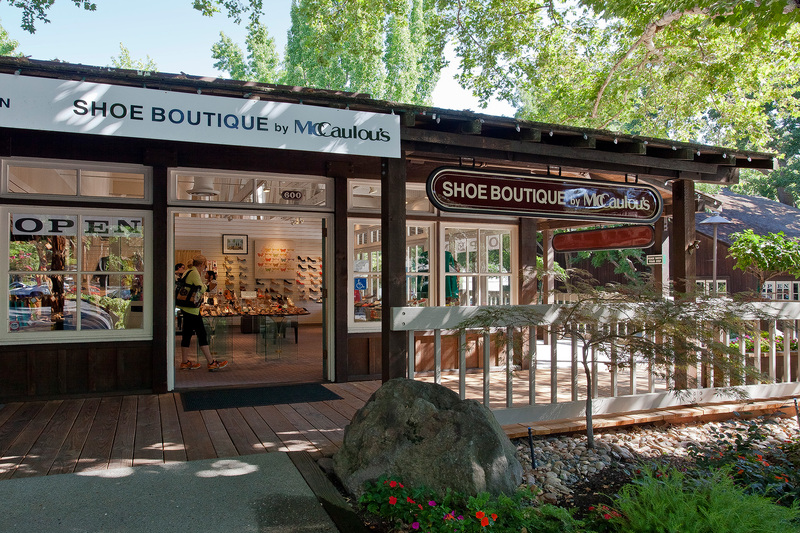 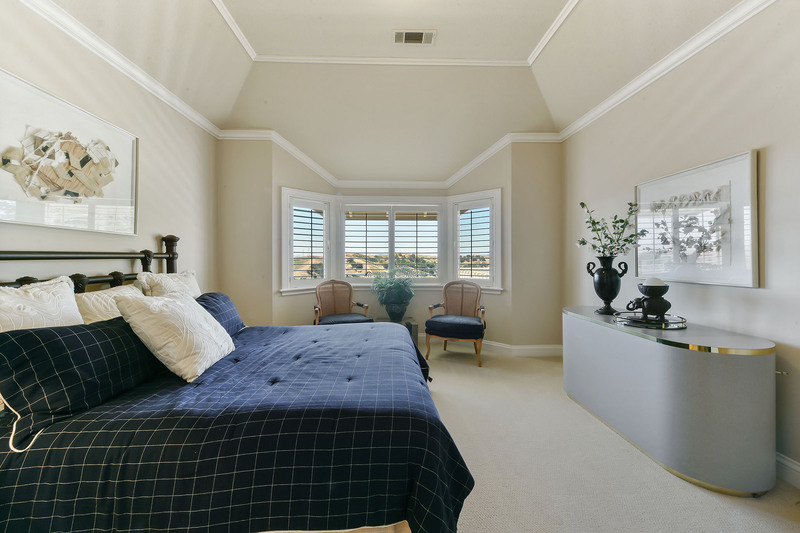 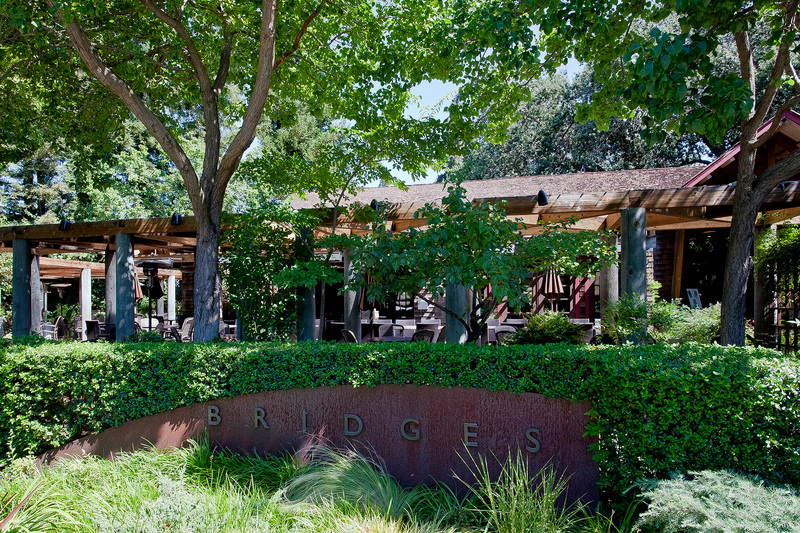 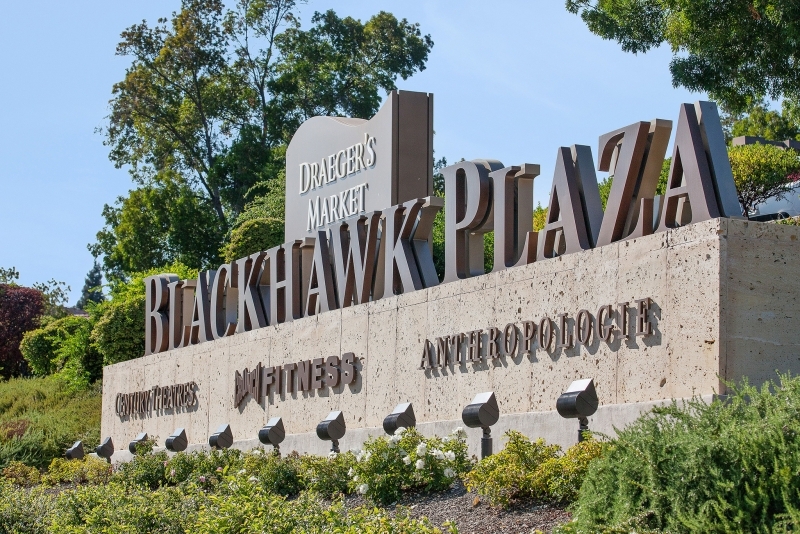 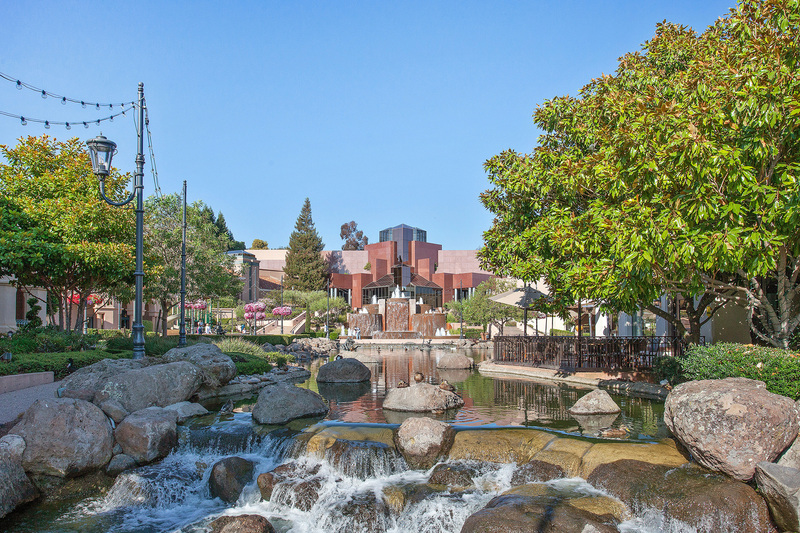 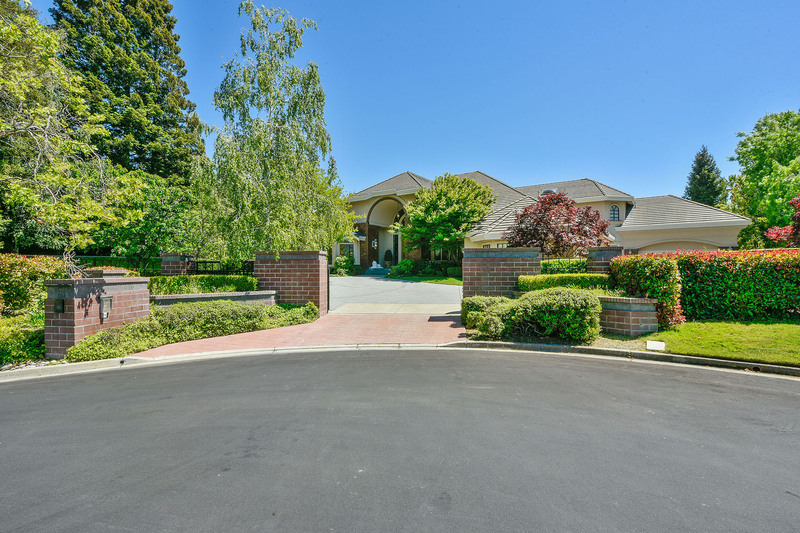 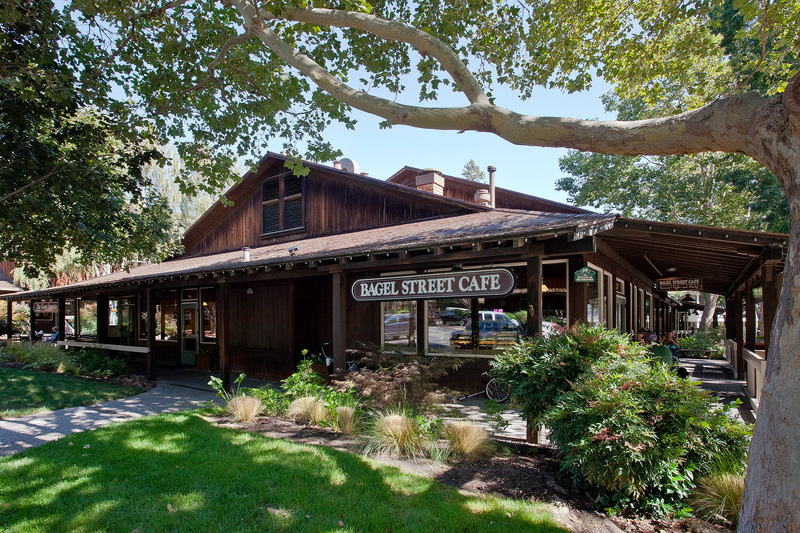 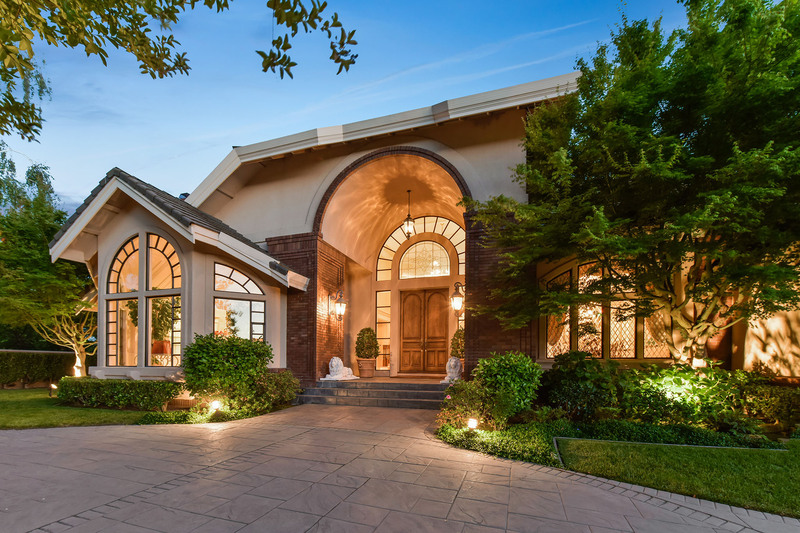 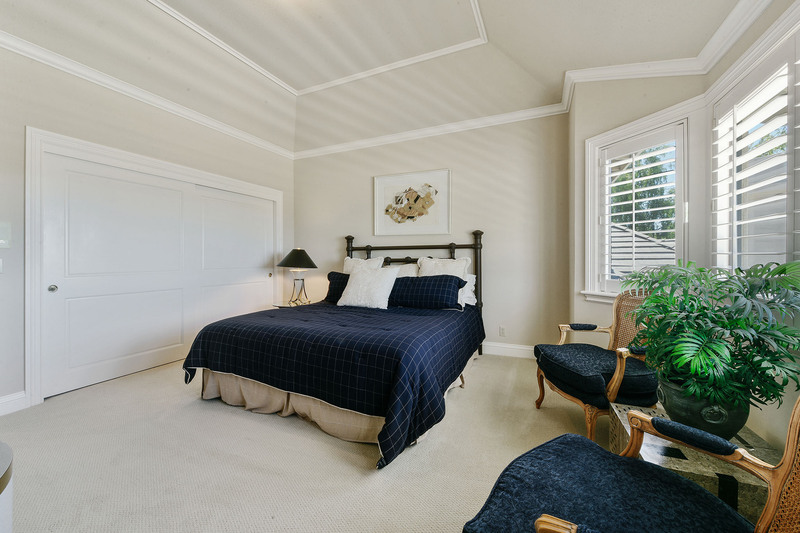 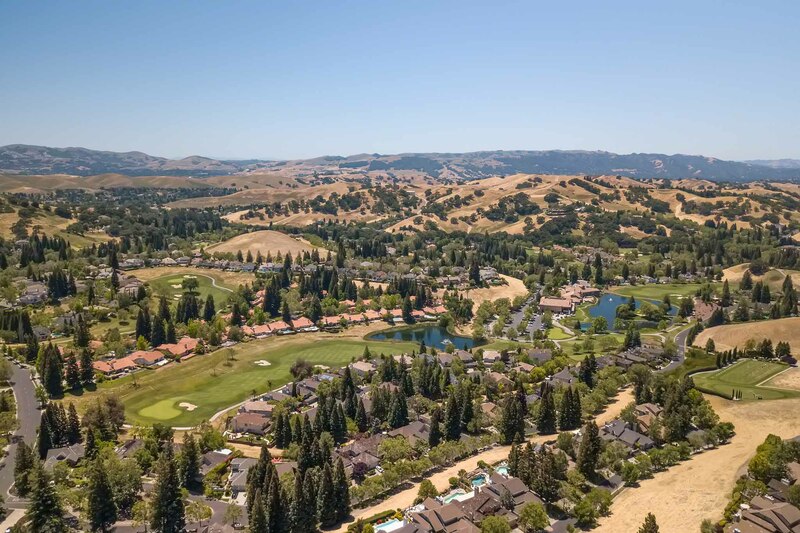 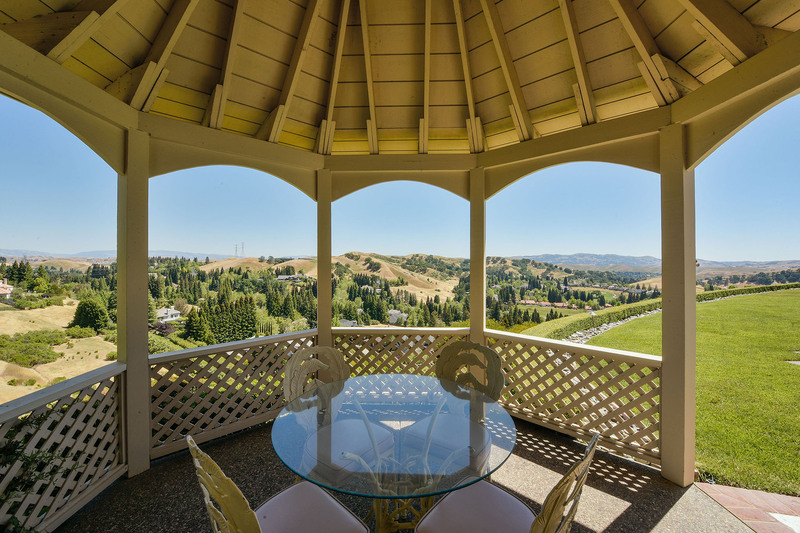 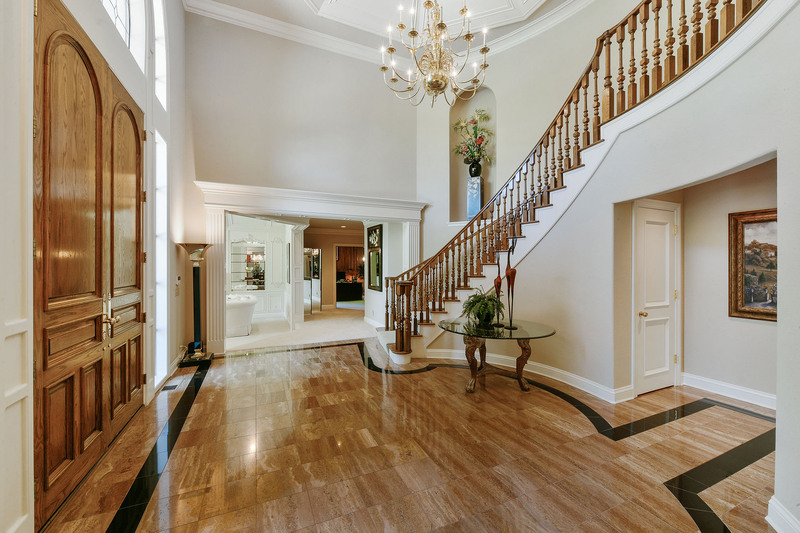 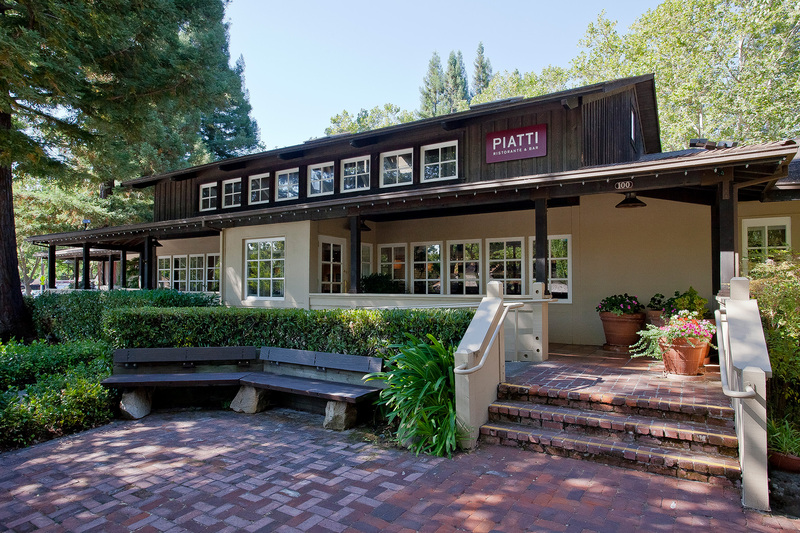 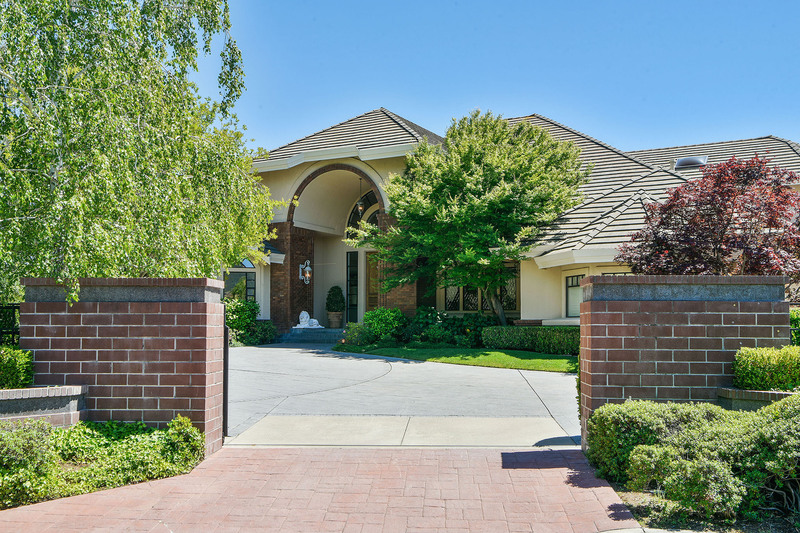 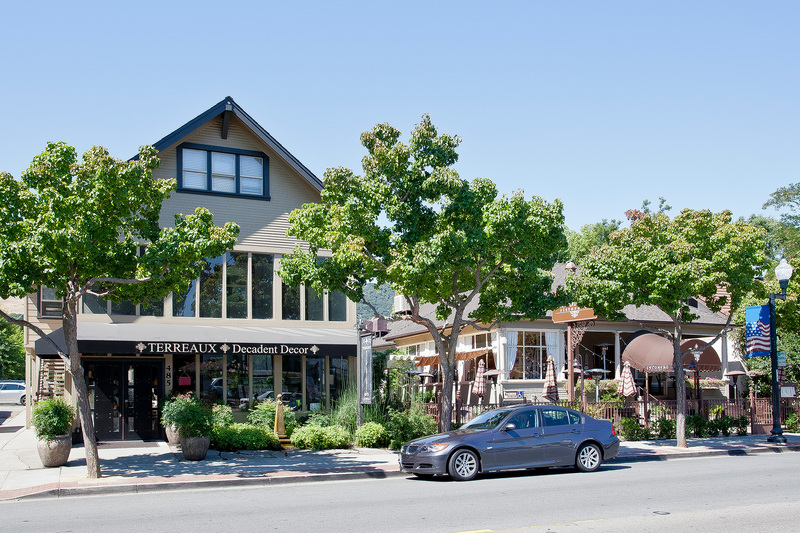 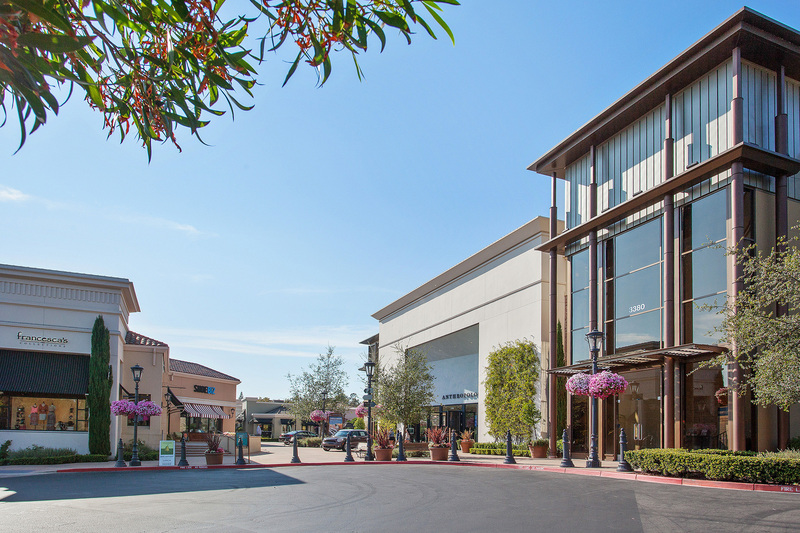 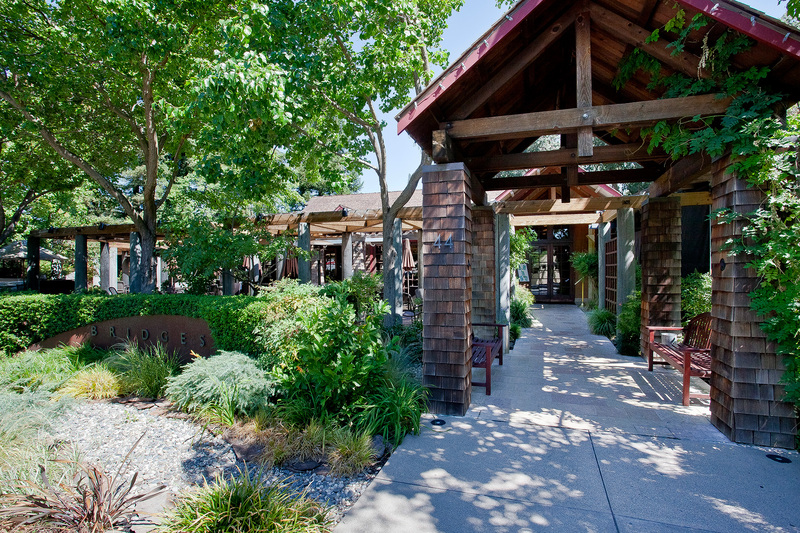 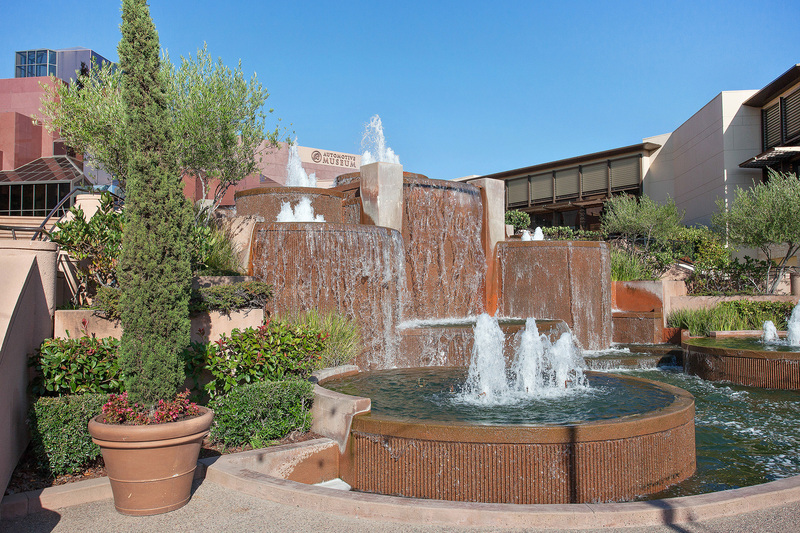 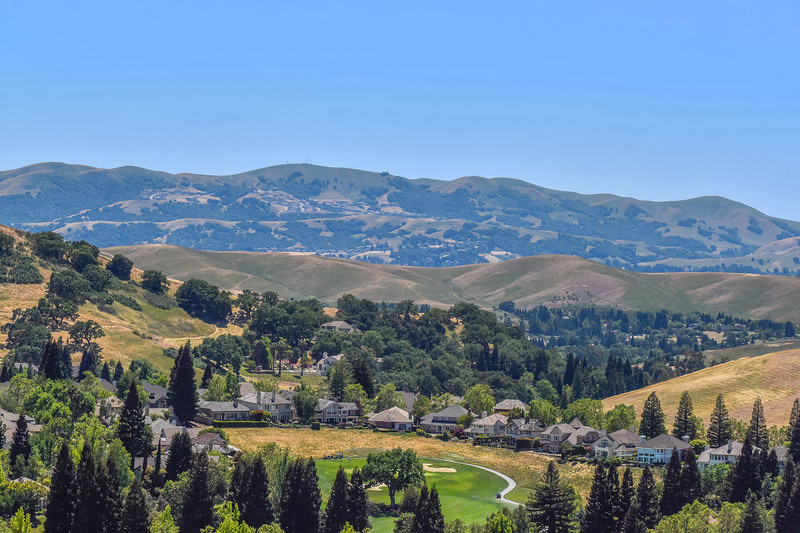 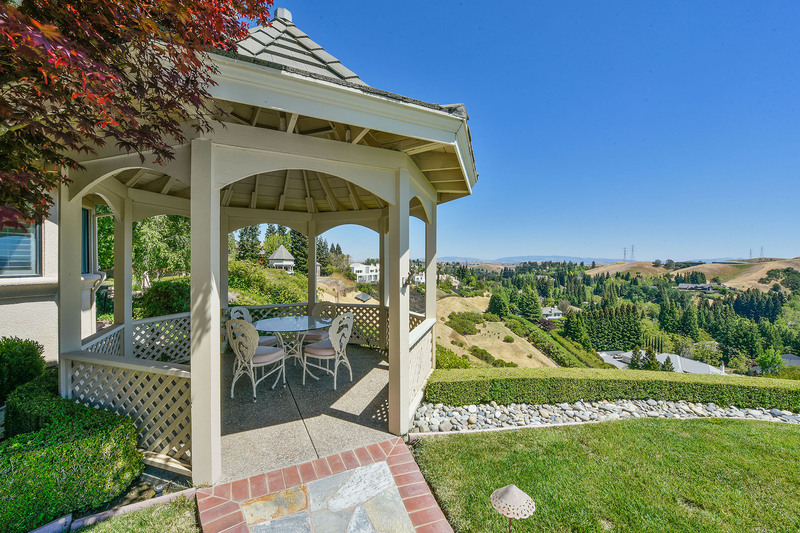 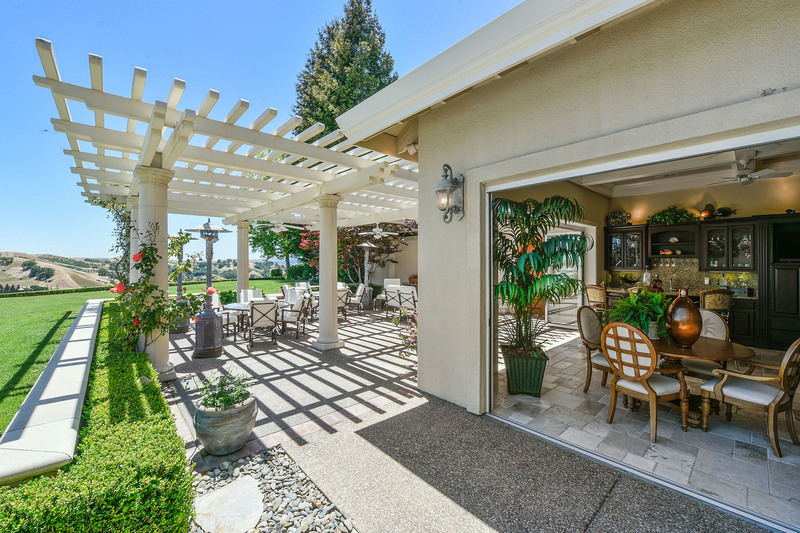 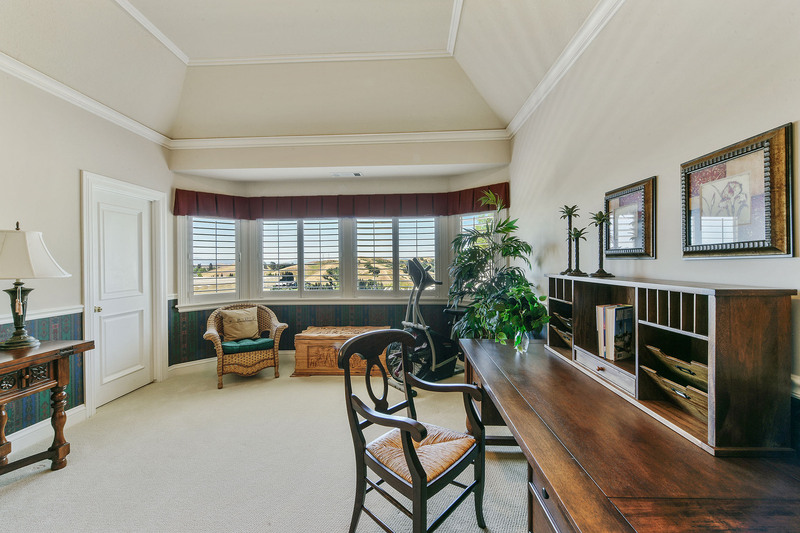 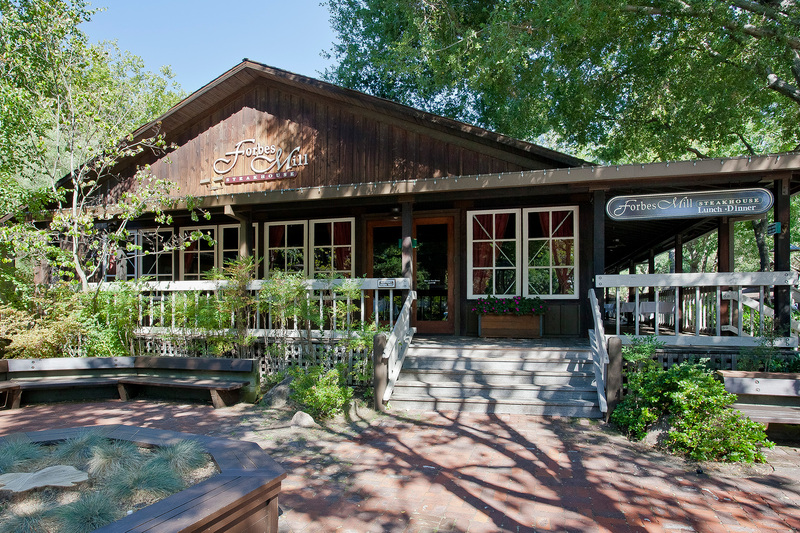 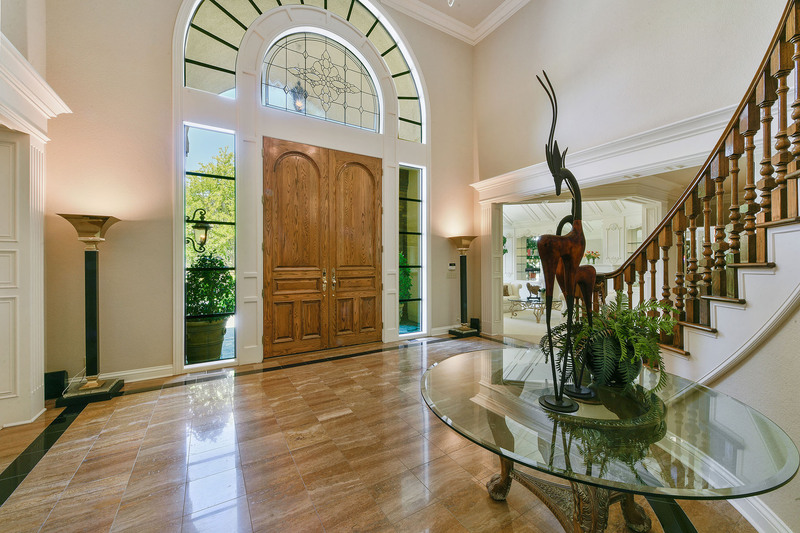 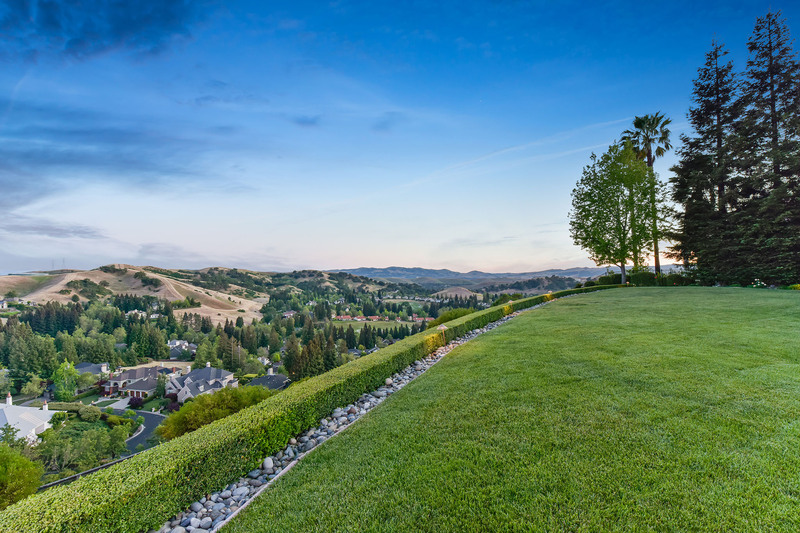 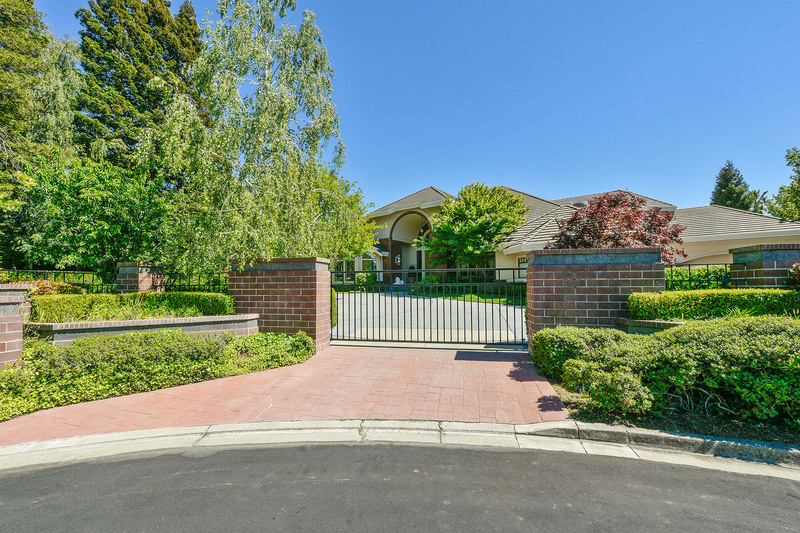 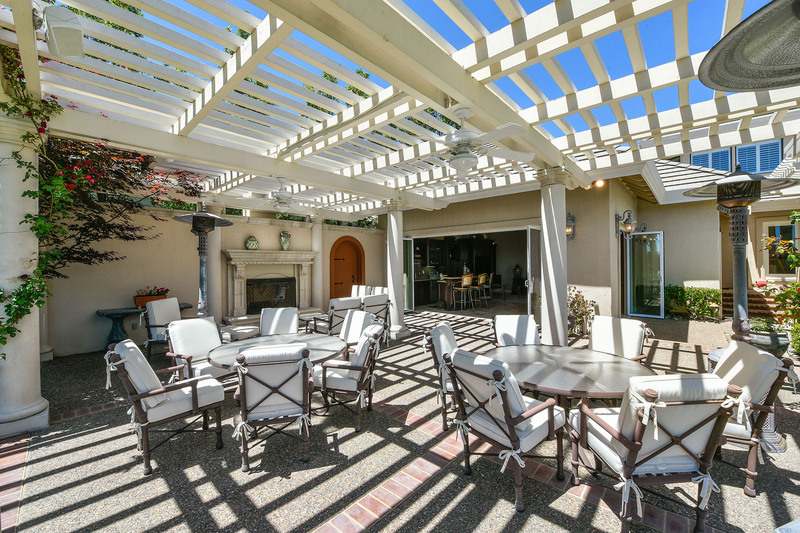 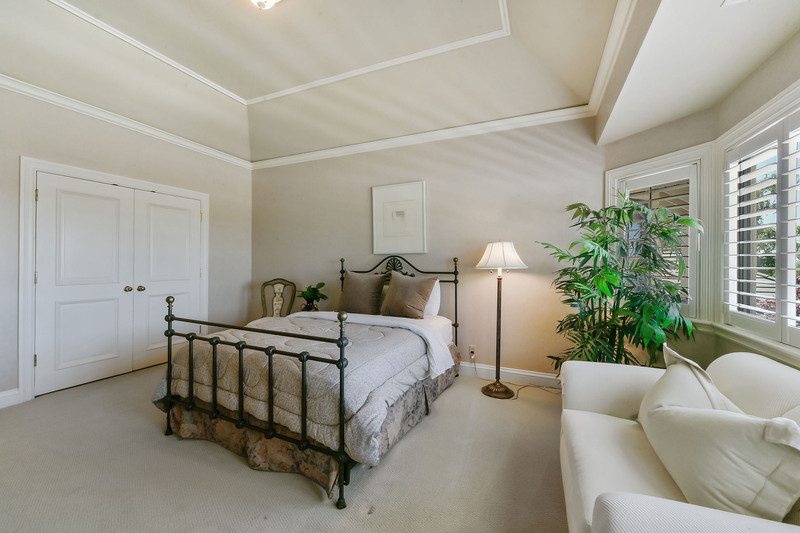 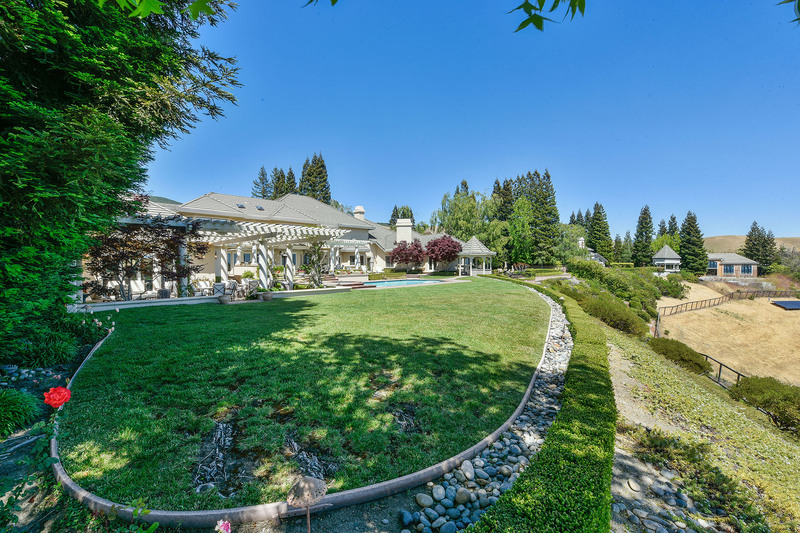 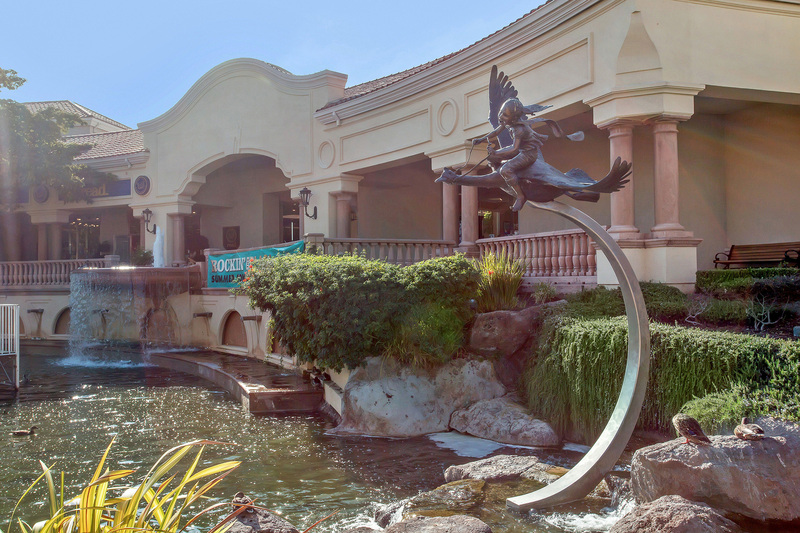 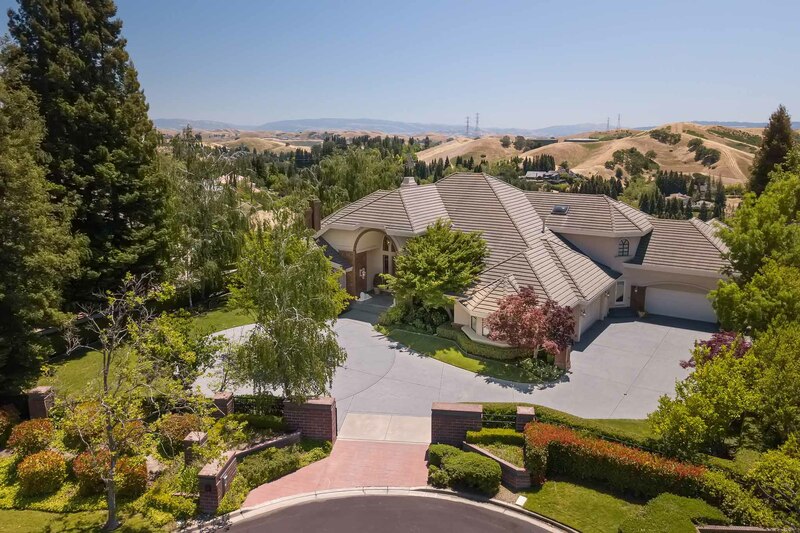 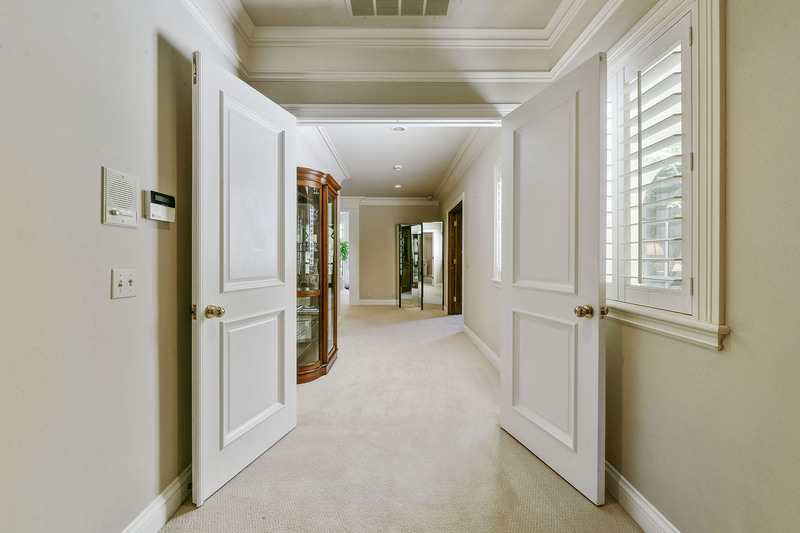 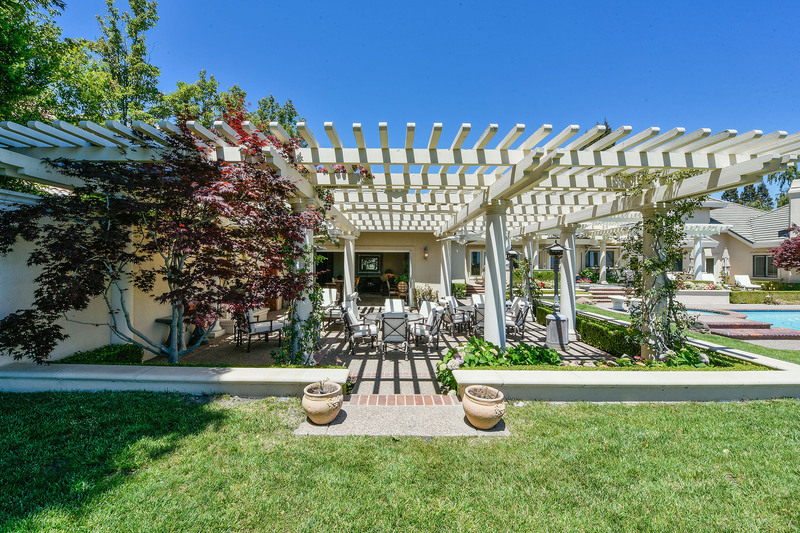 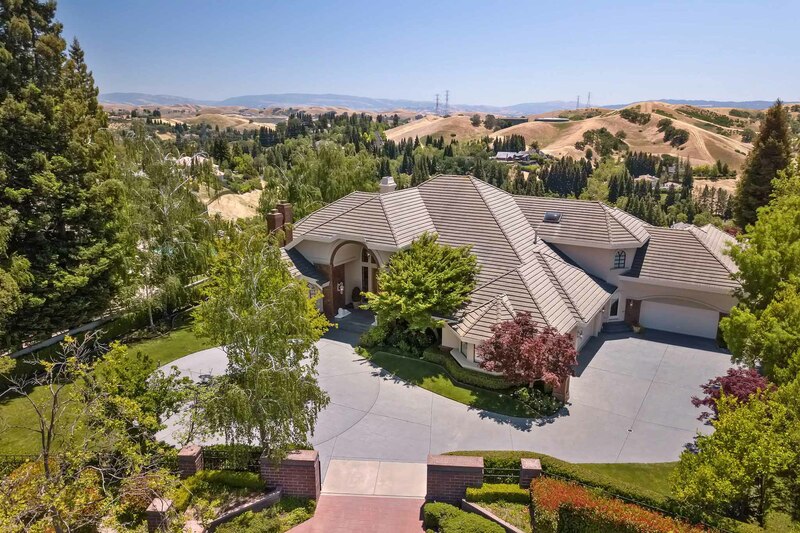 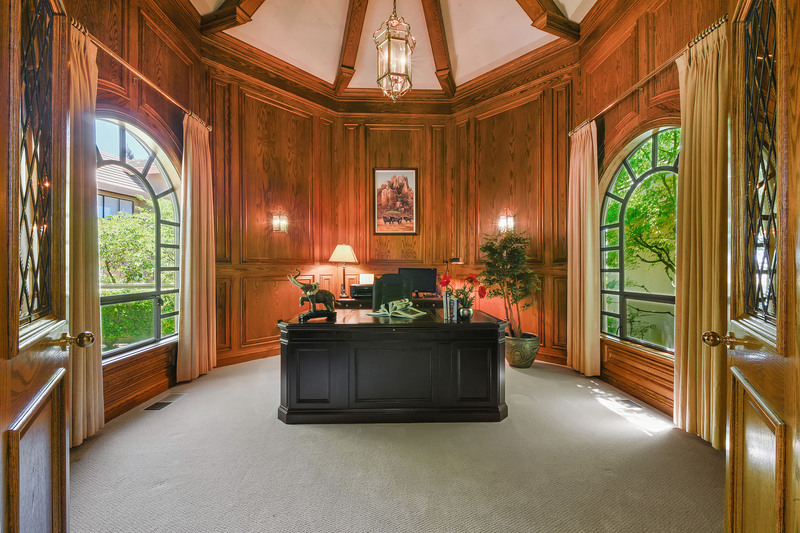 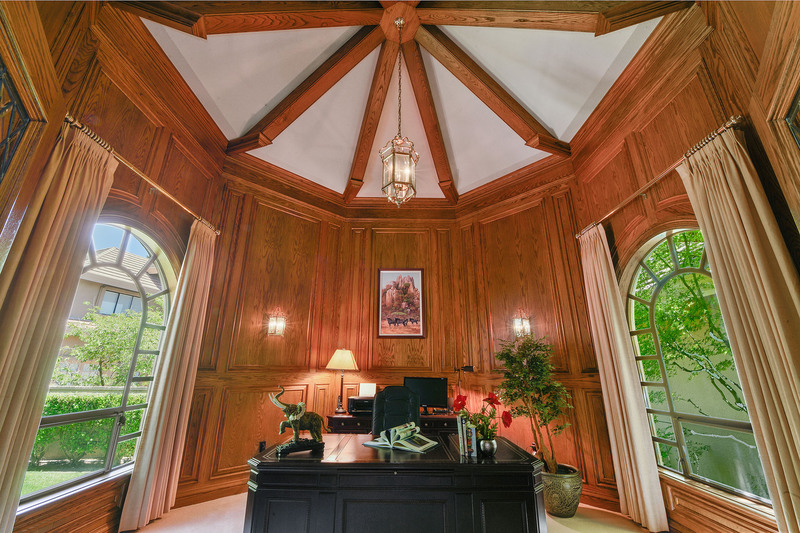 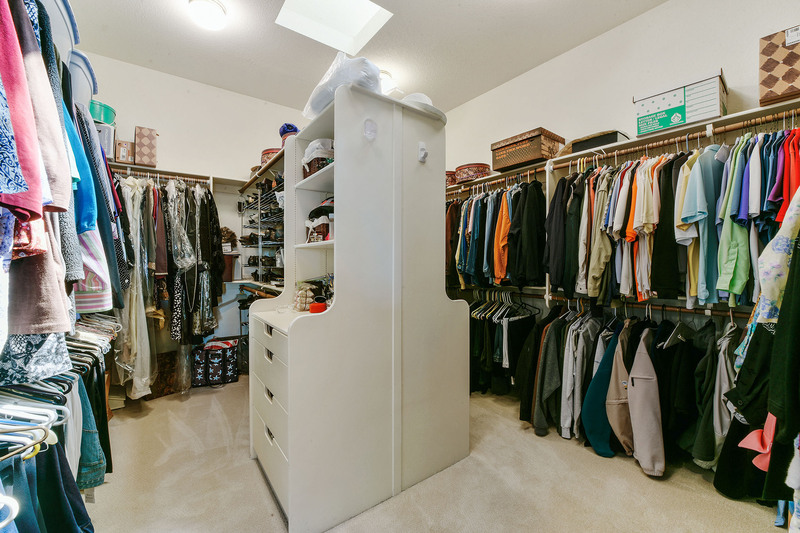 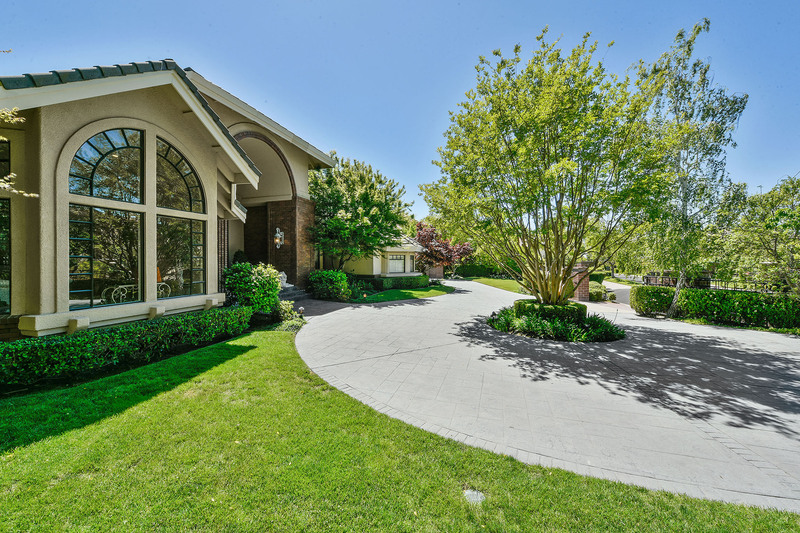 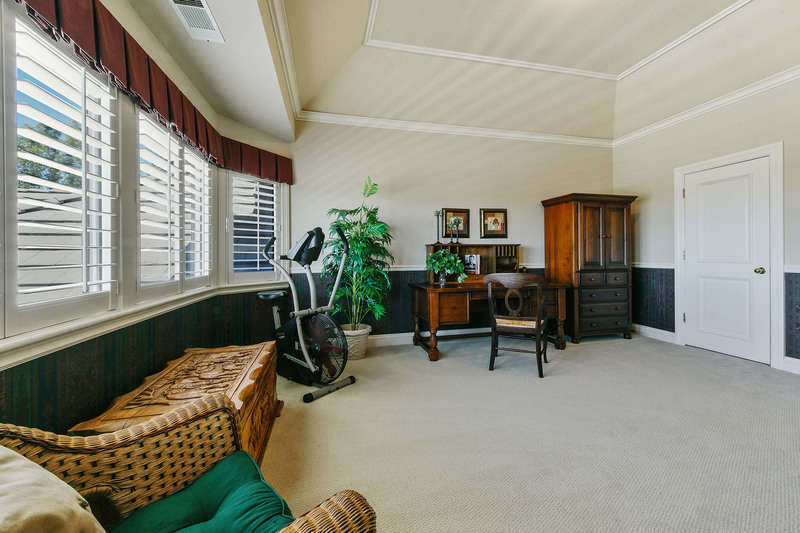 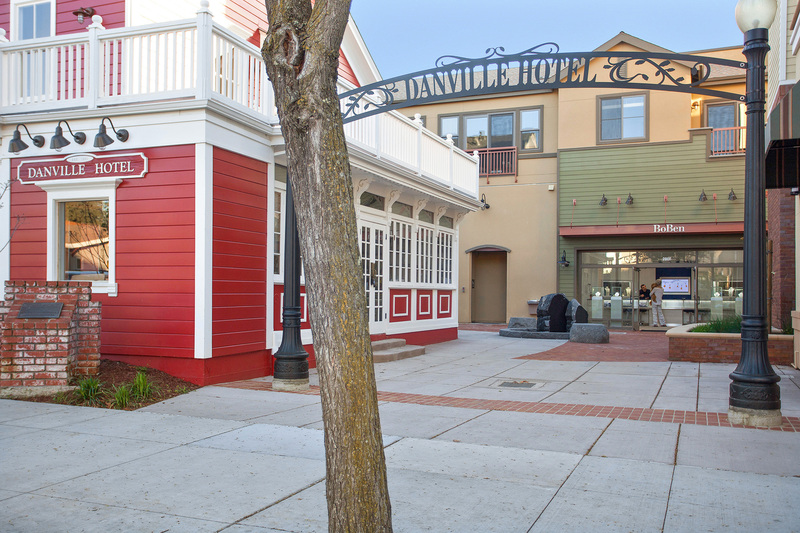 This private estate is located with easy access to shopping and dining at the Blackhawk Plaza and Tassajara Crossing in addition to downtown Danville. 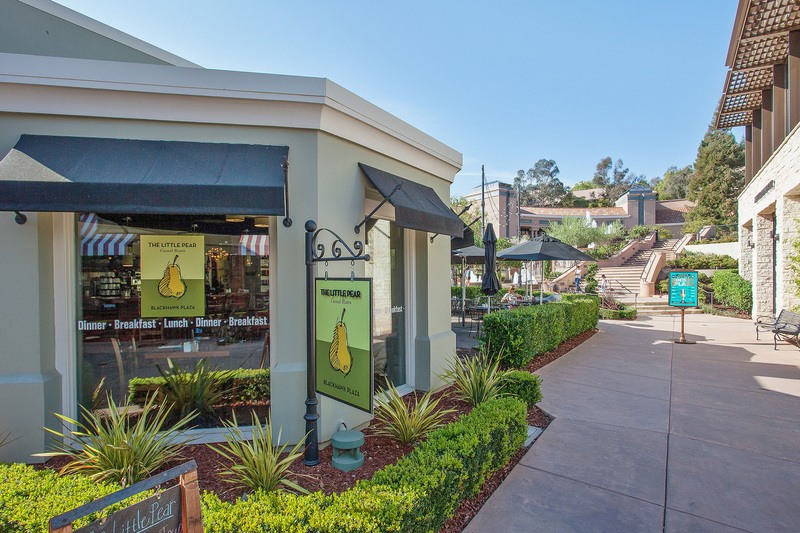 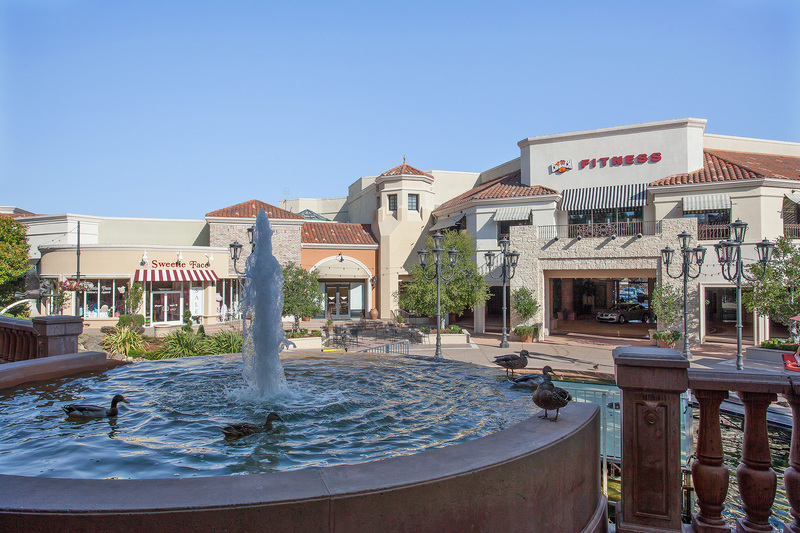 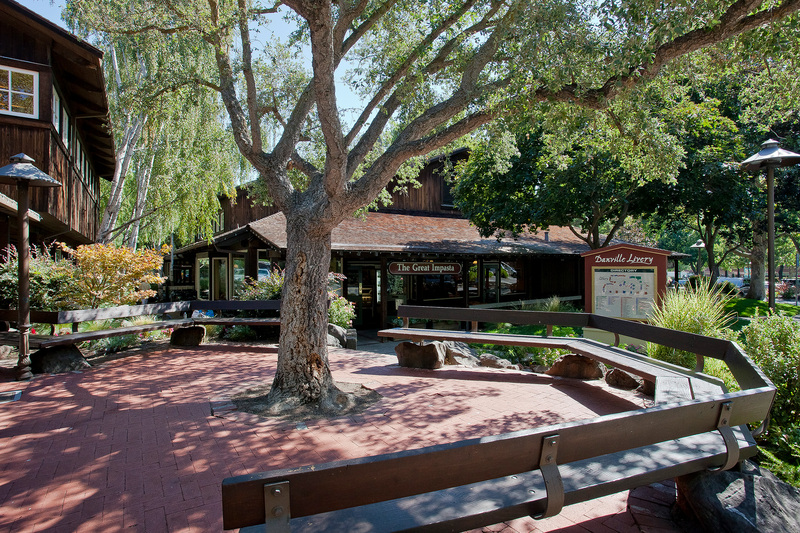 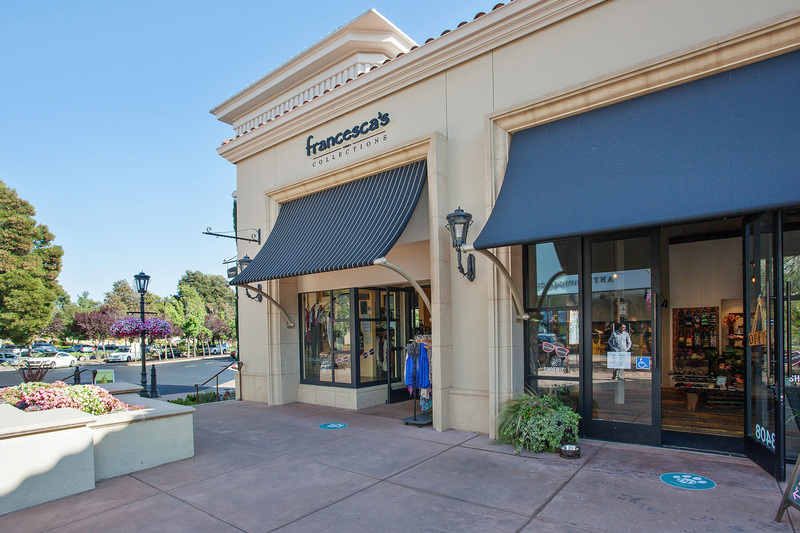 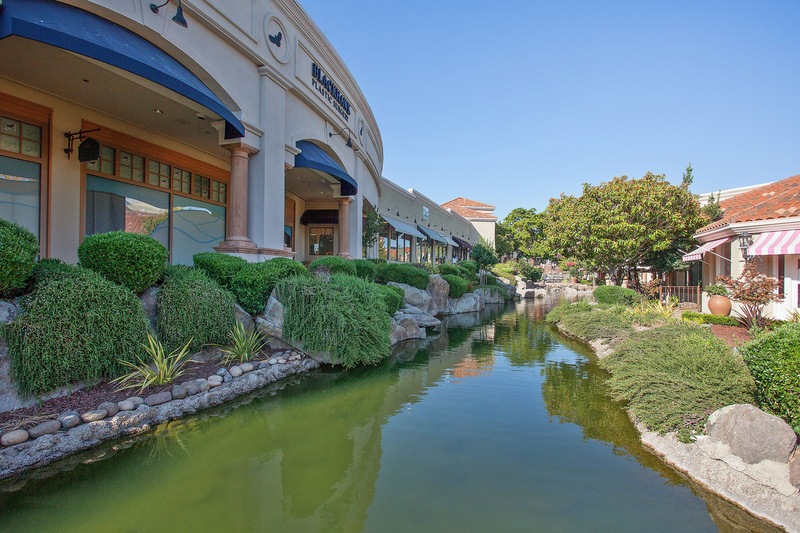 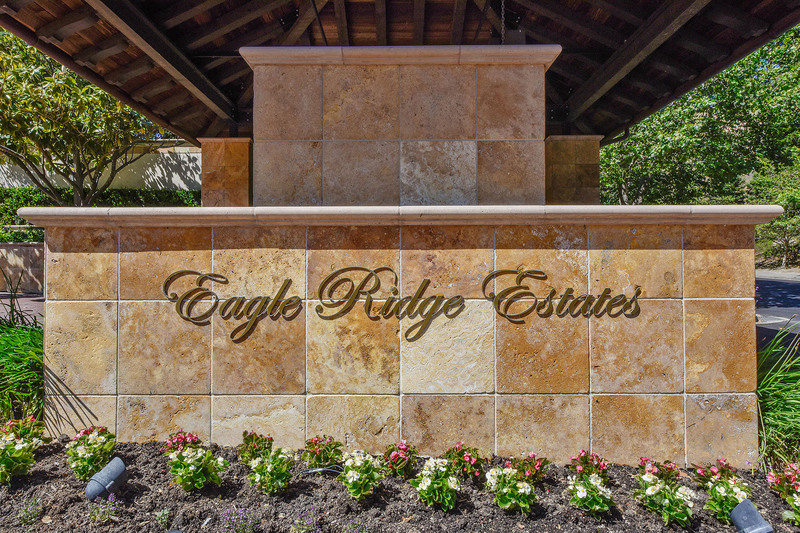 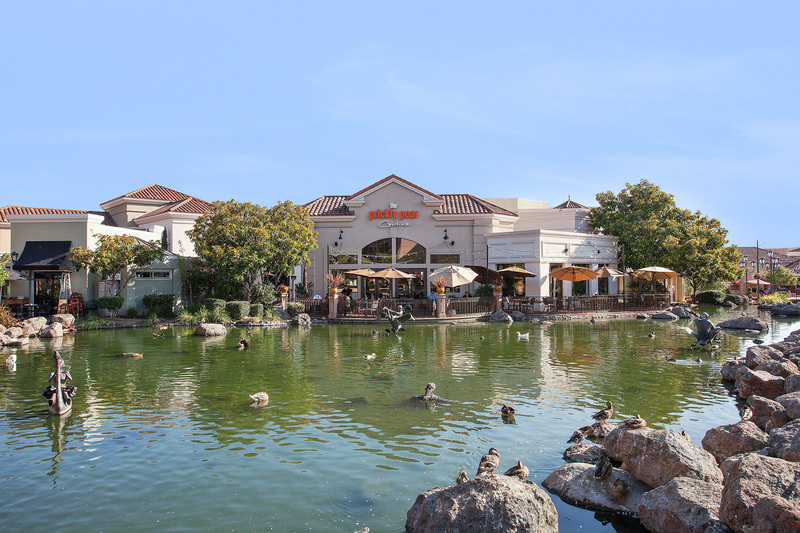 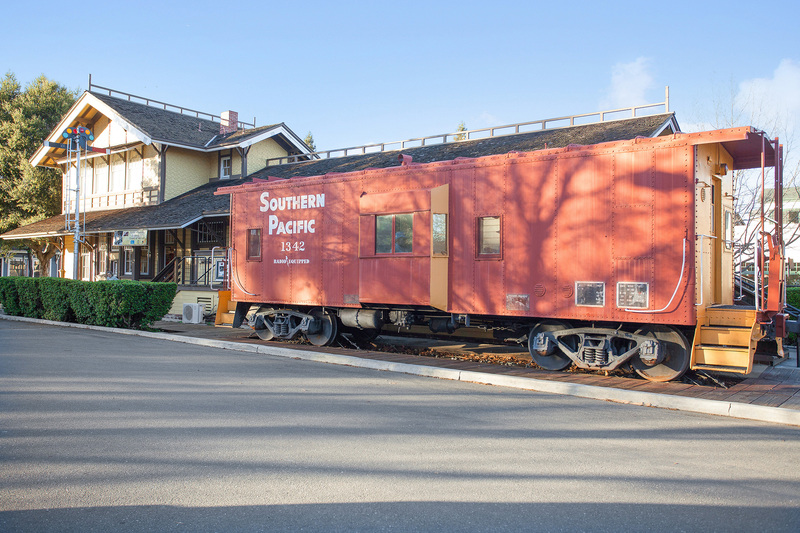 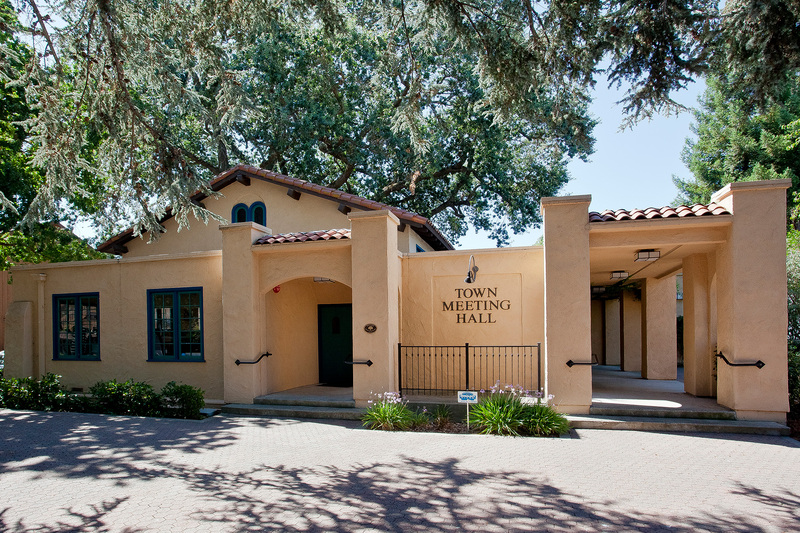 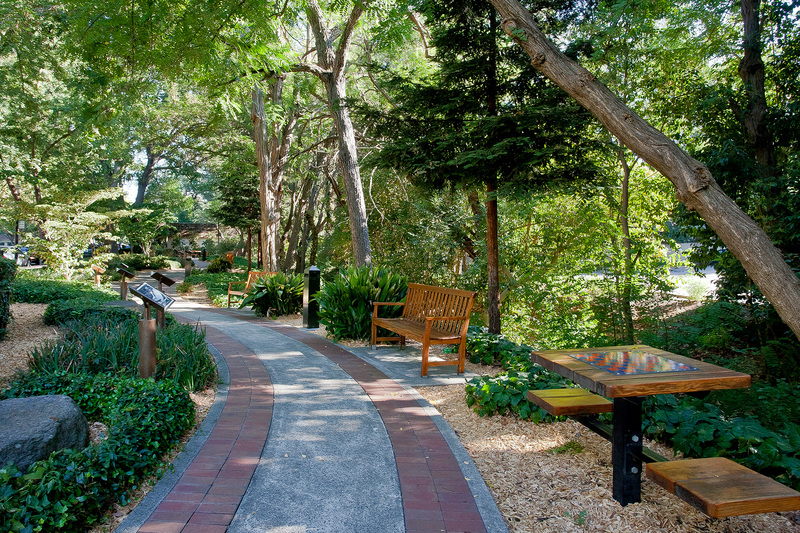 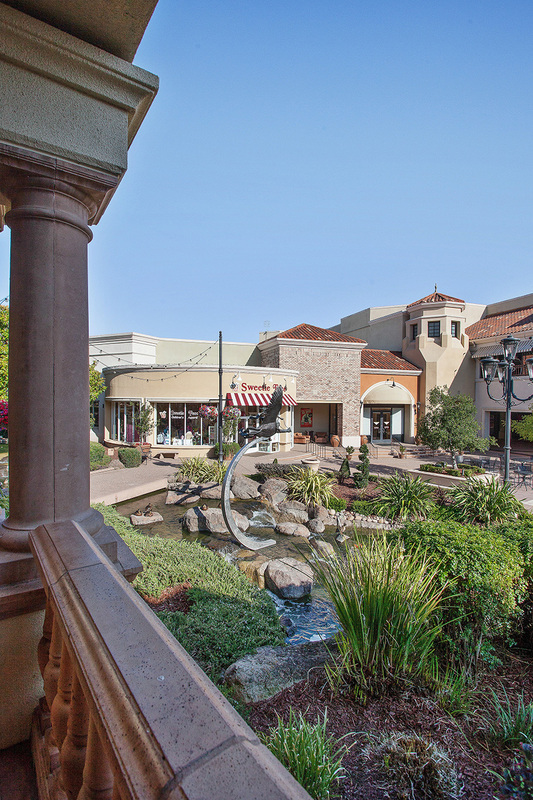 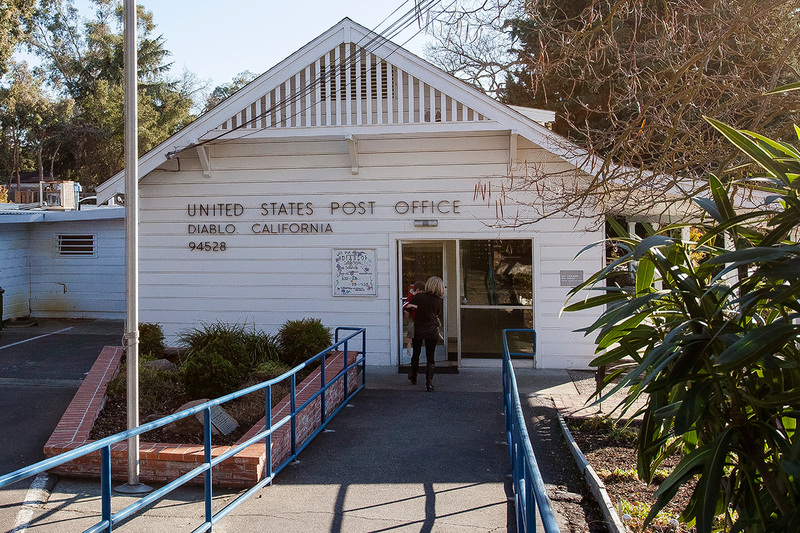 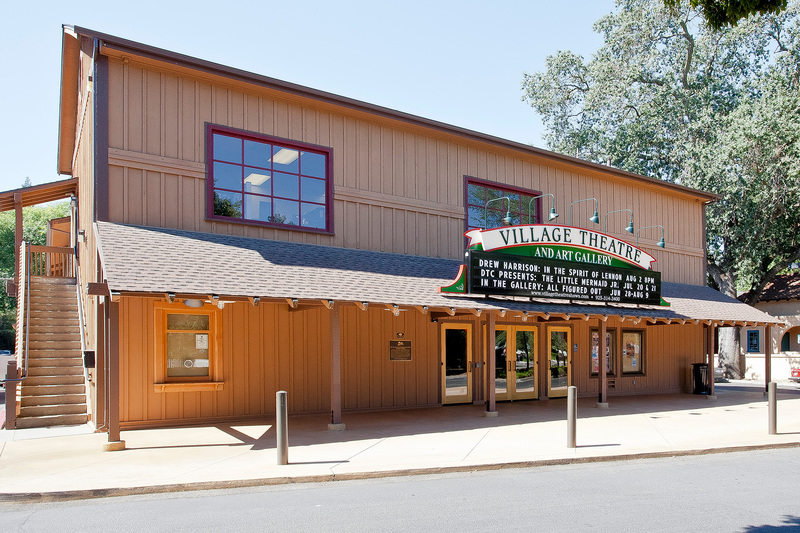 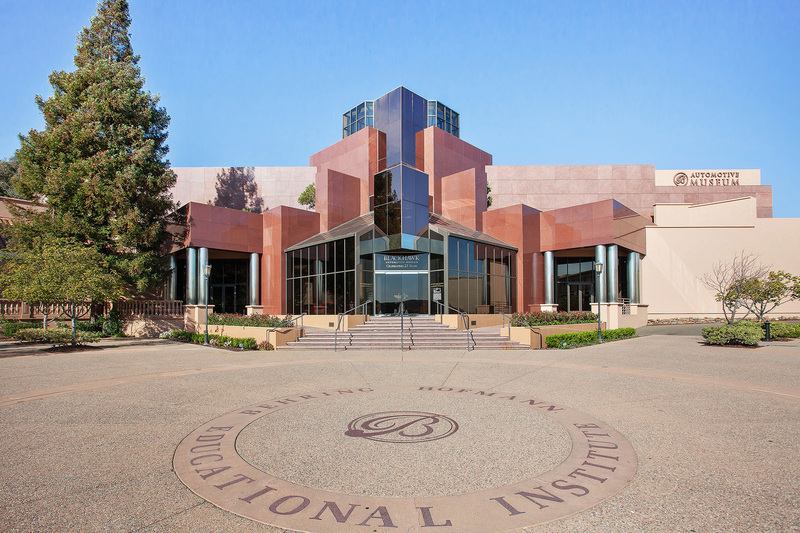 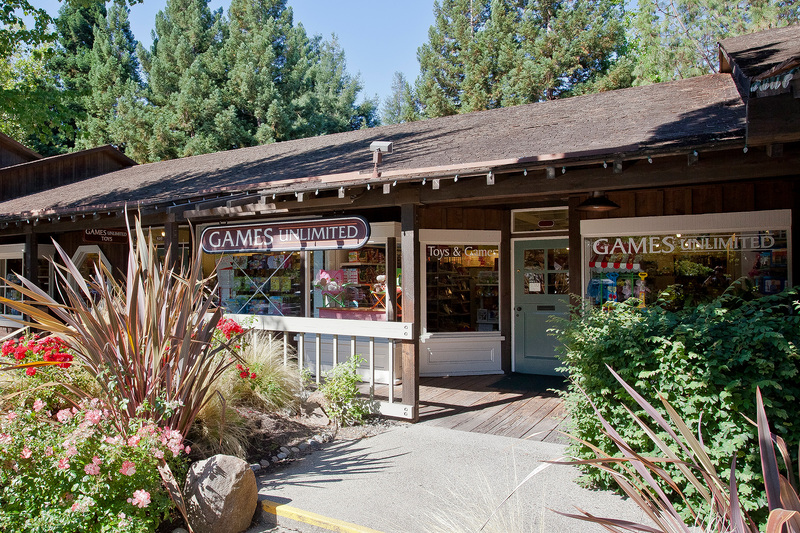 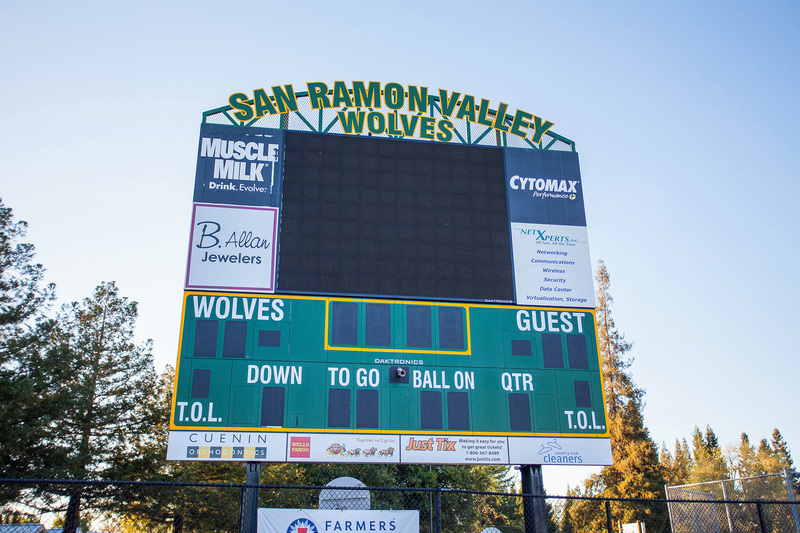 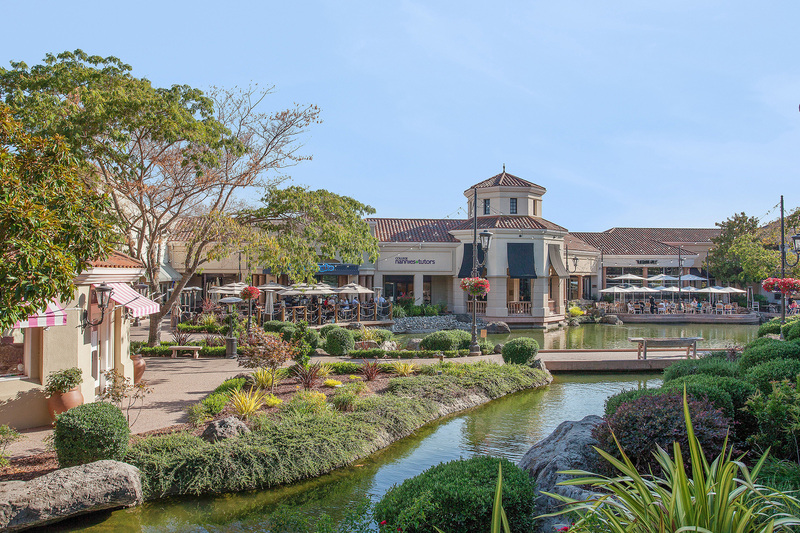 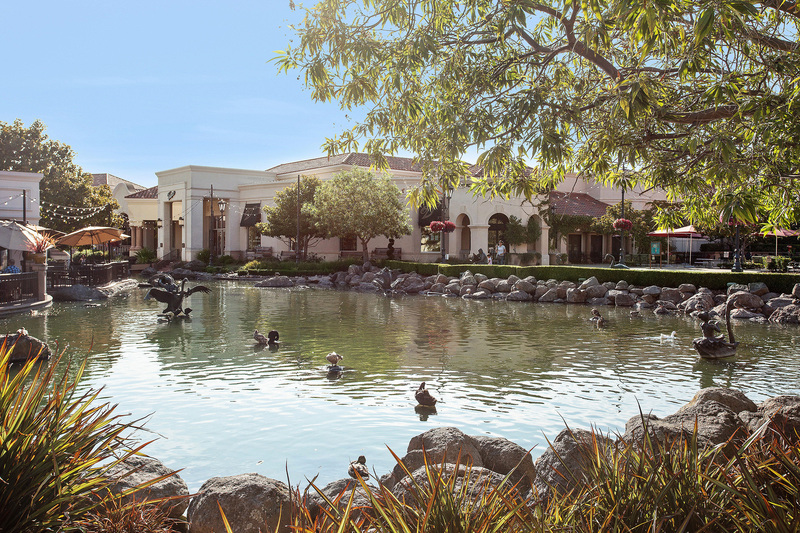 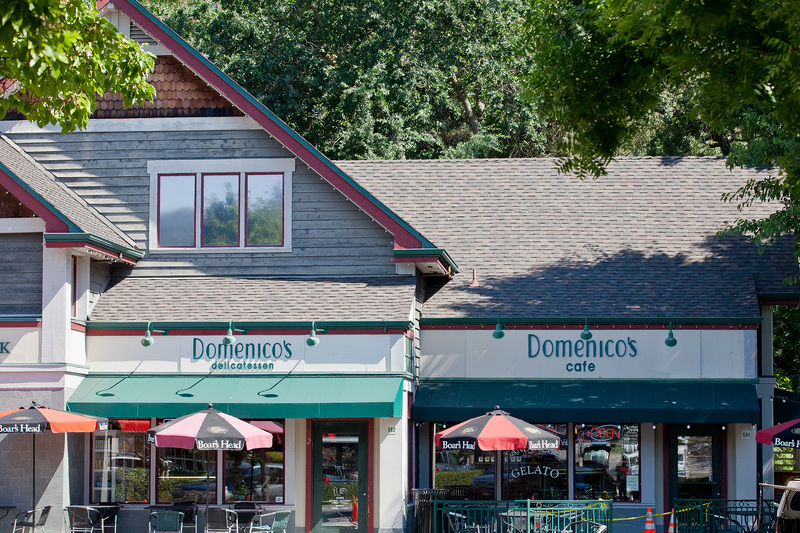 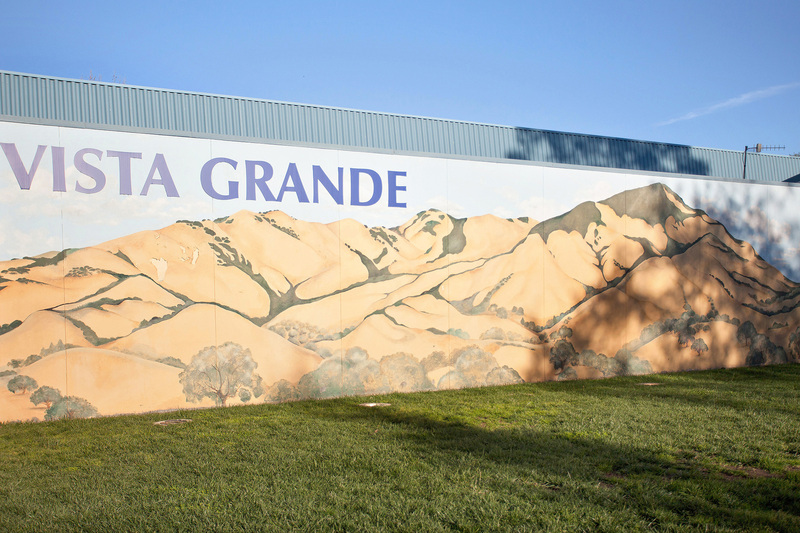 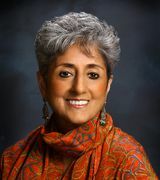 There is easy access to Highways 580/680 and the top-rated schools in the San Ramon Valley Unified School District.